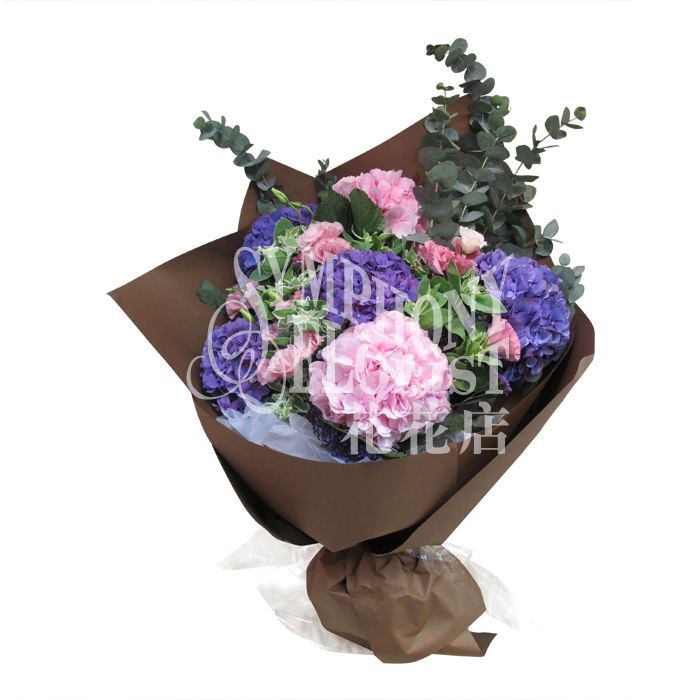 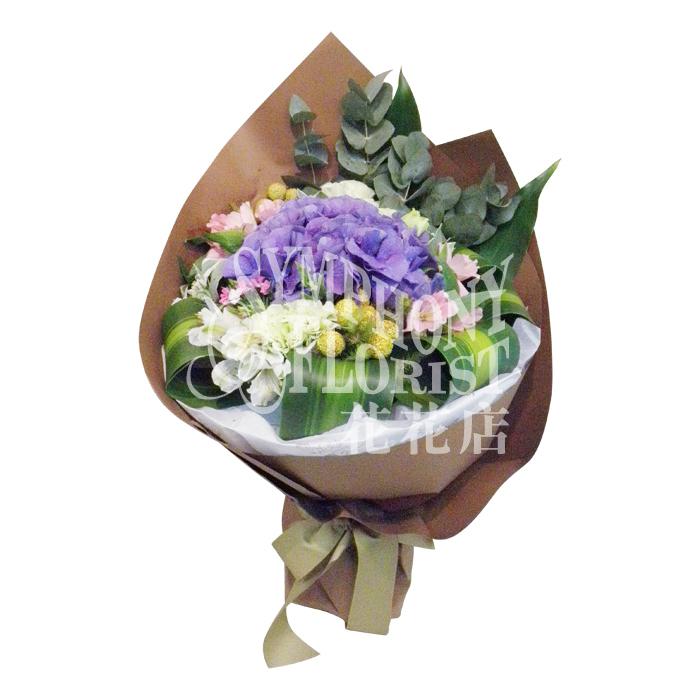 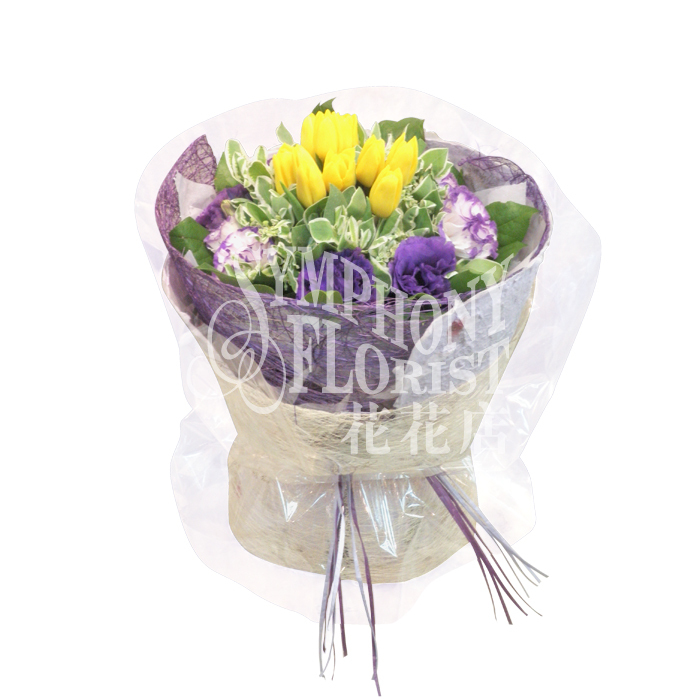 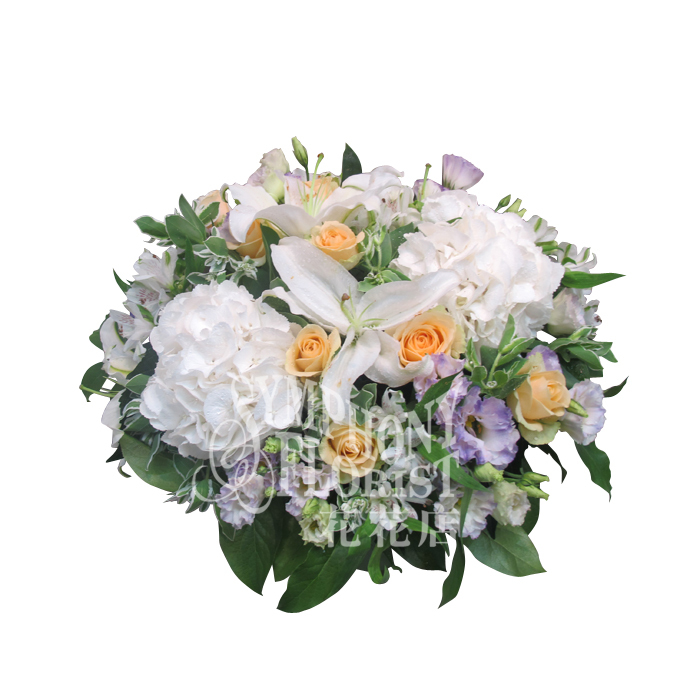 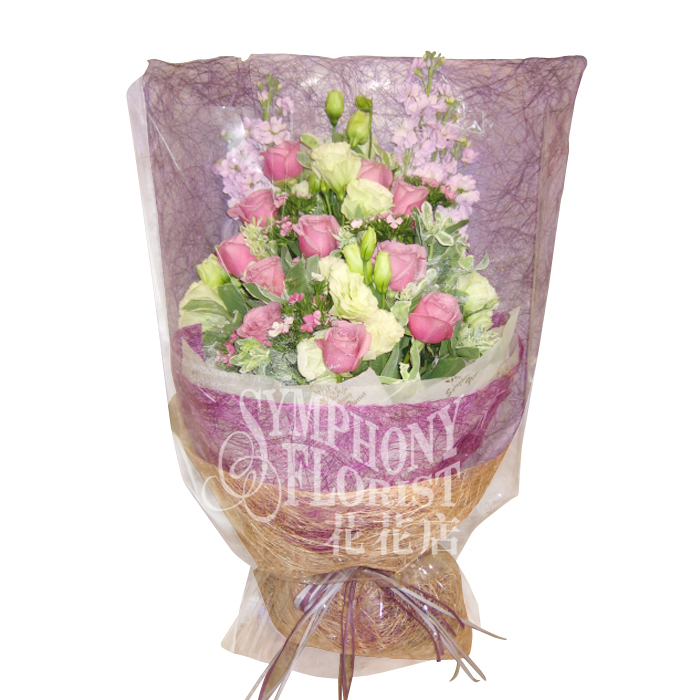 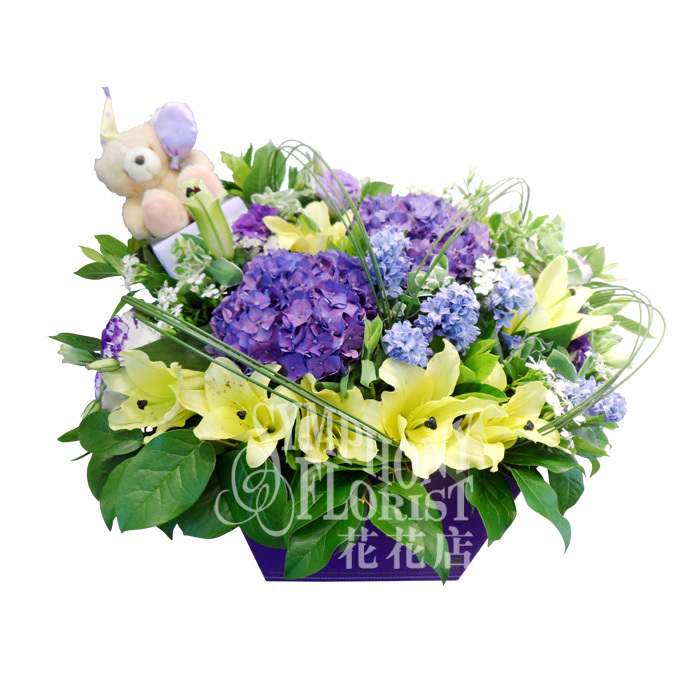 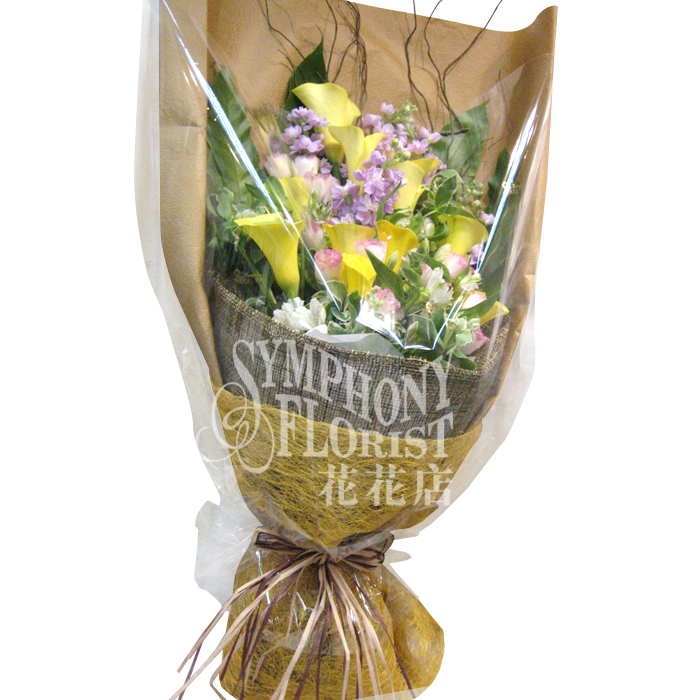 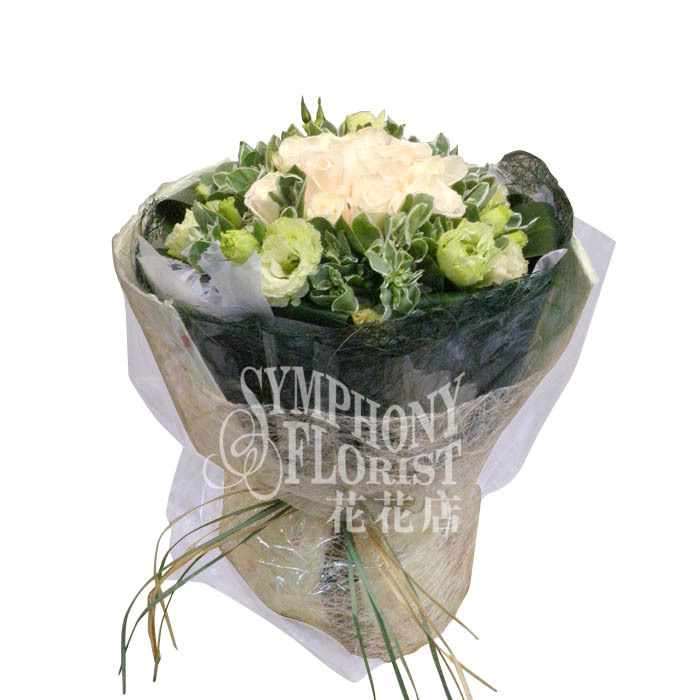 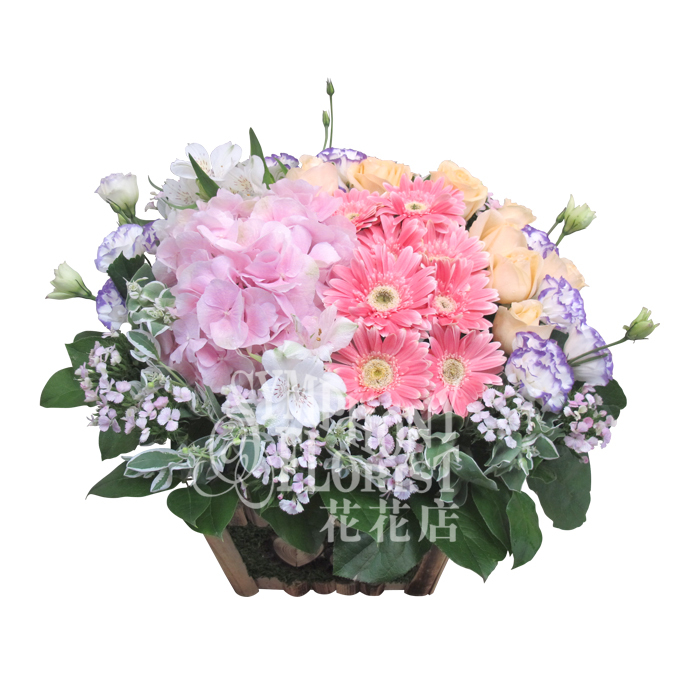 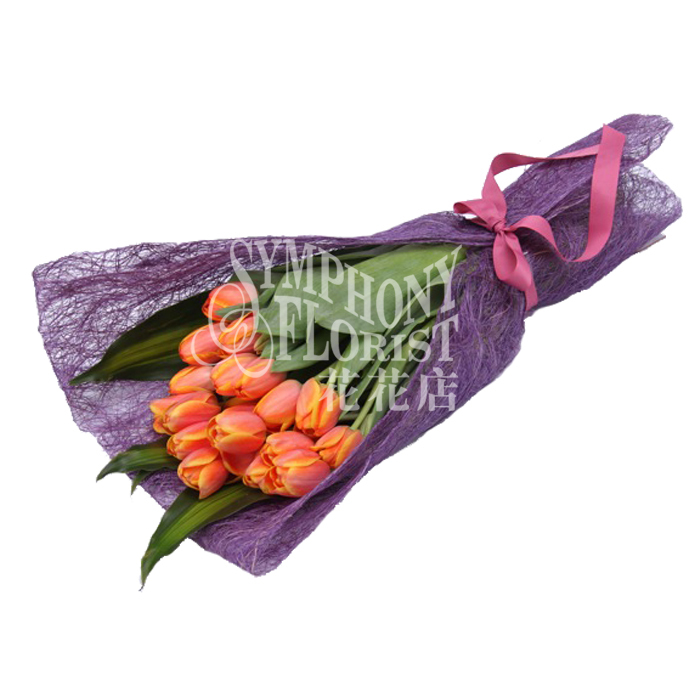 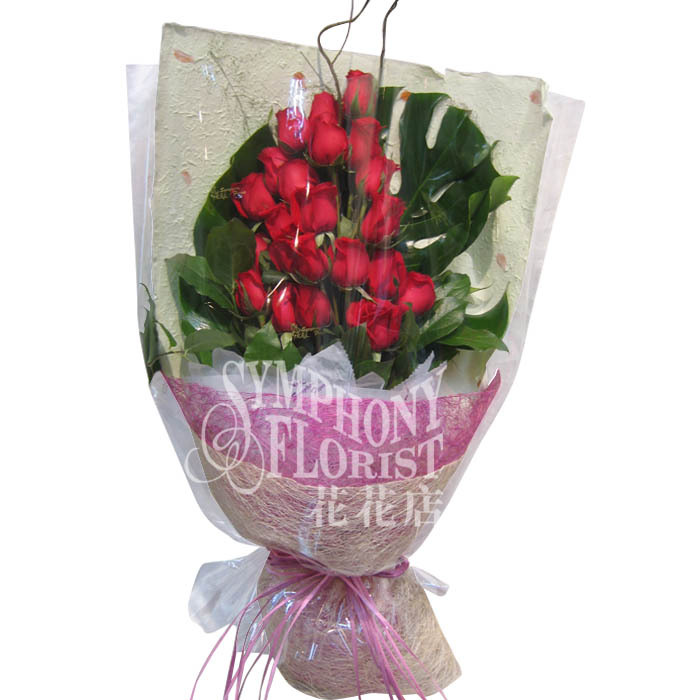 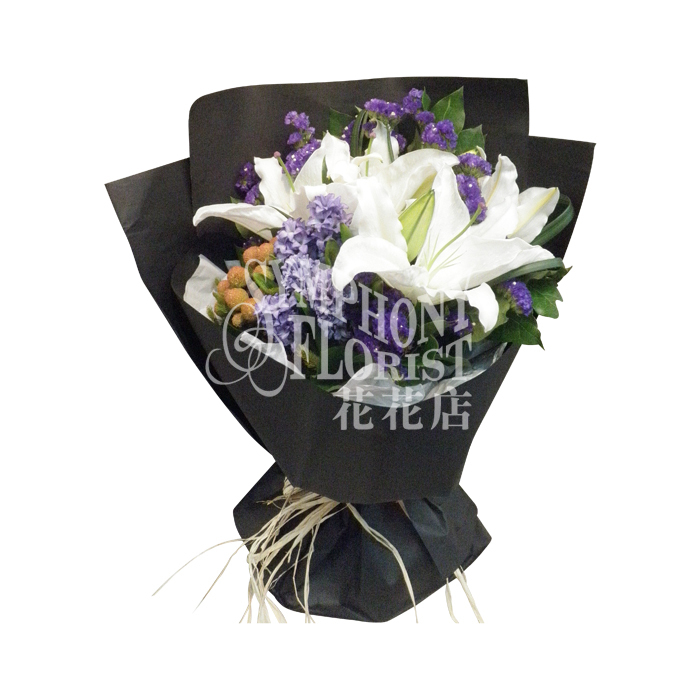 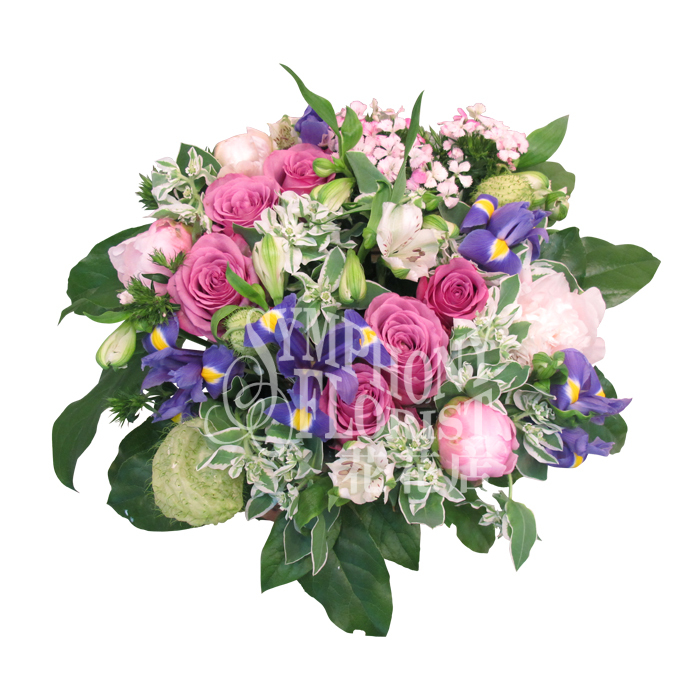 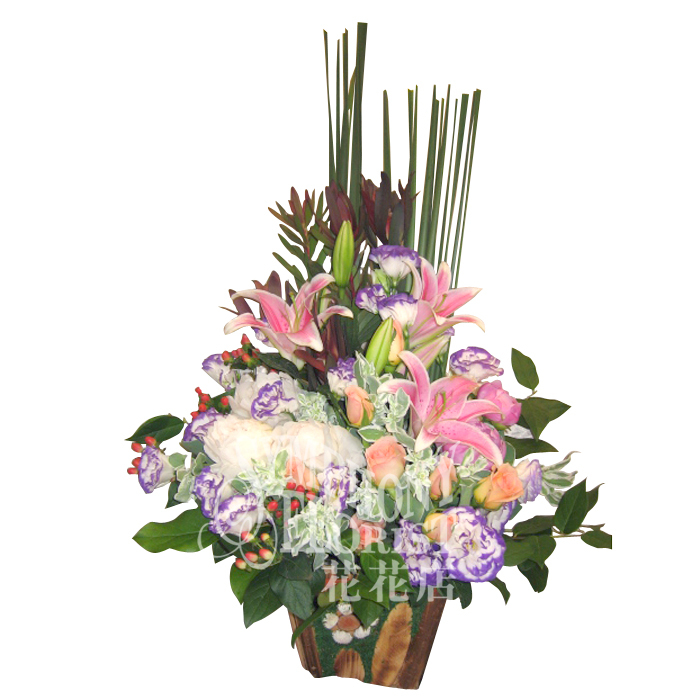 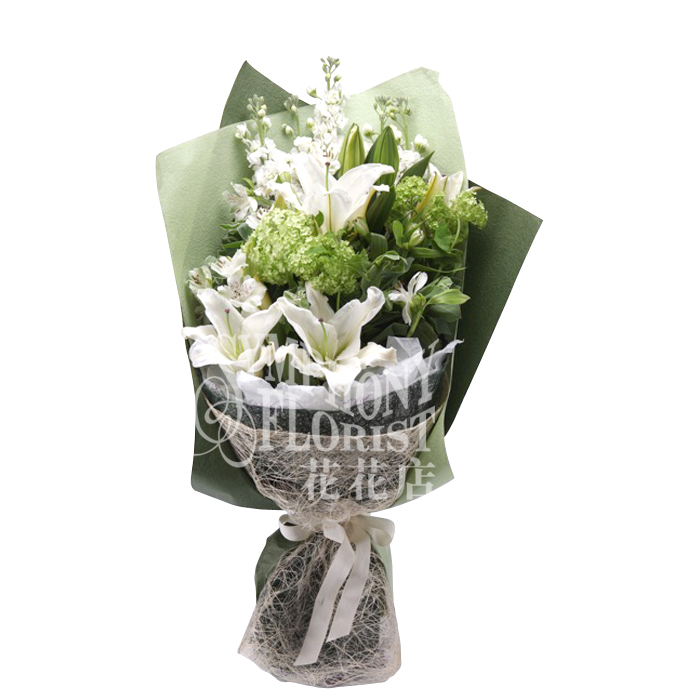 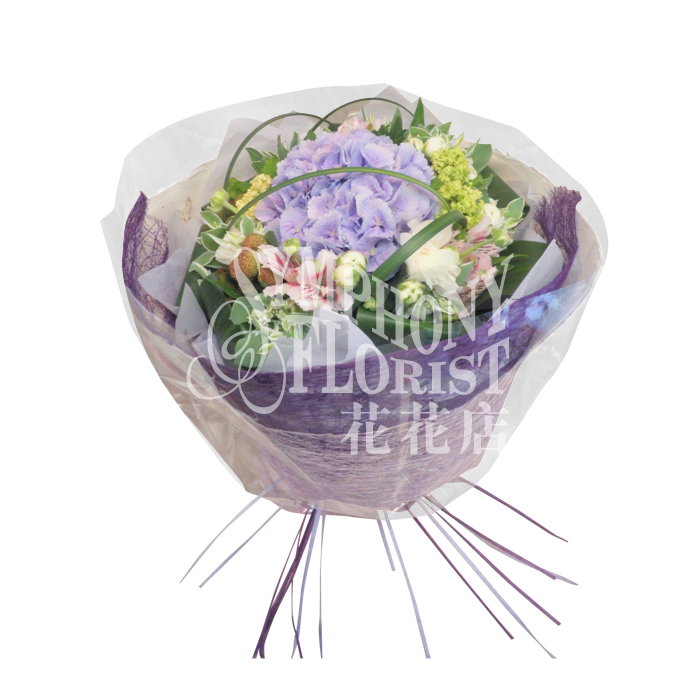 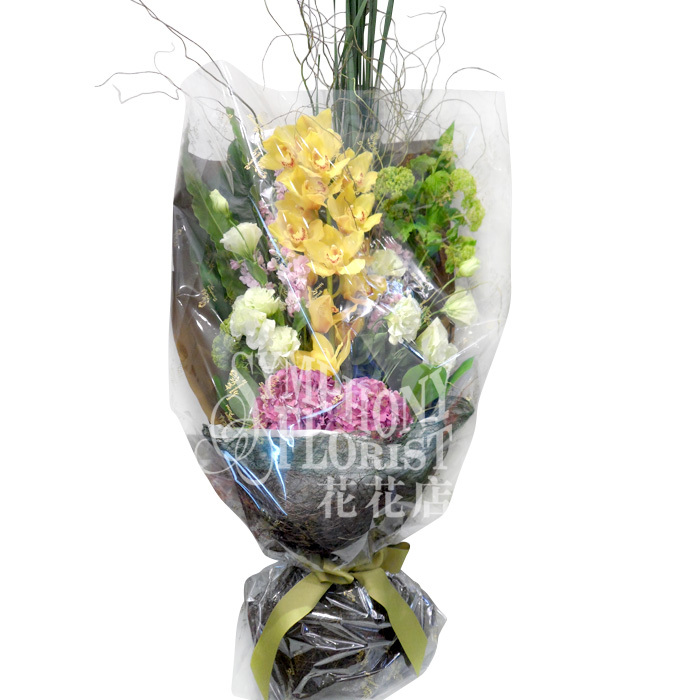 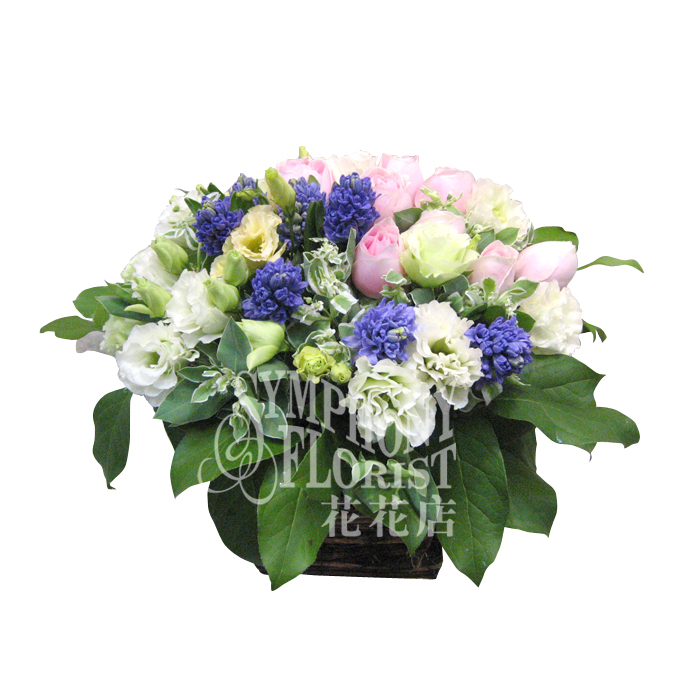 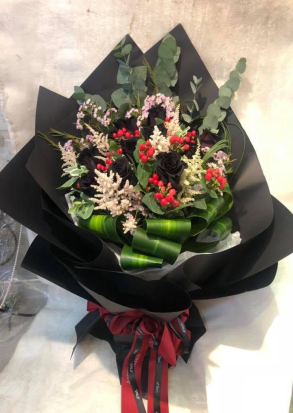 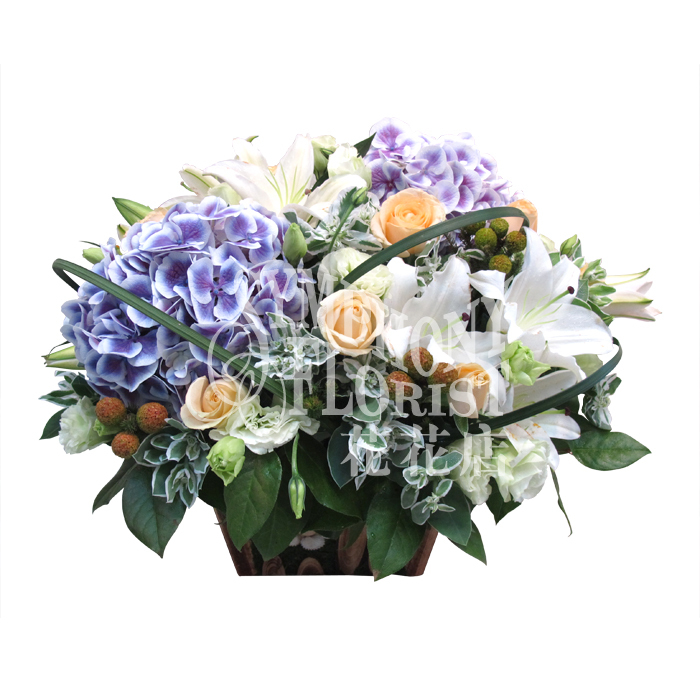 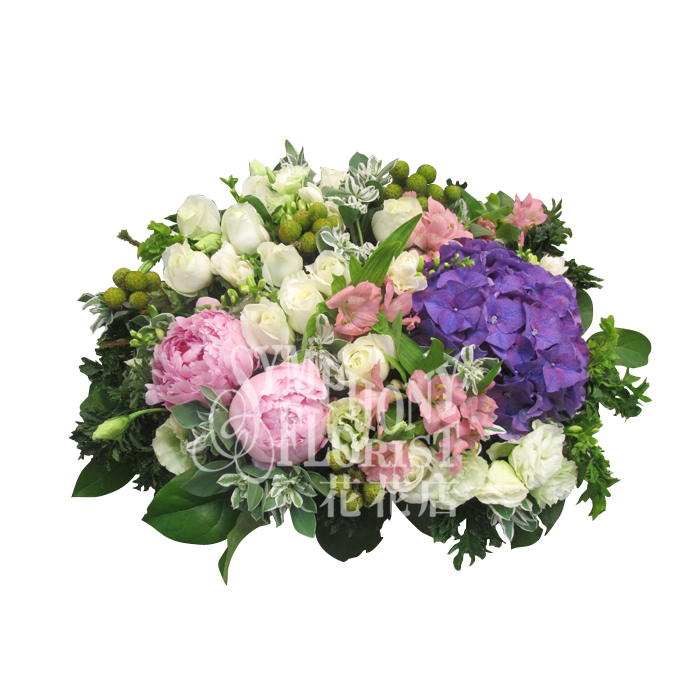 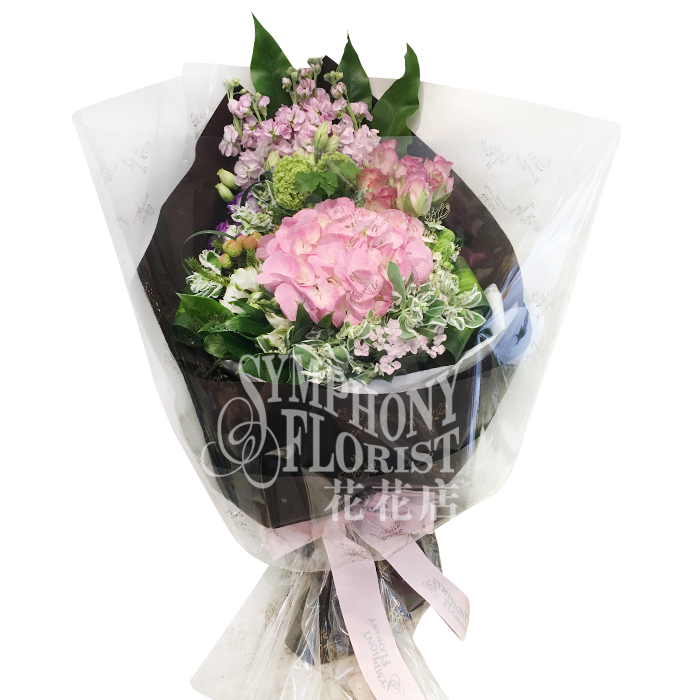 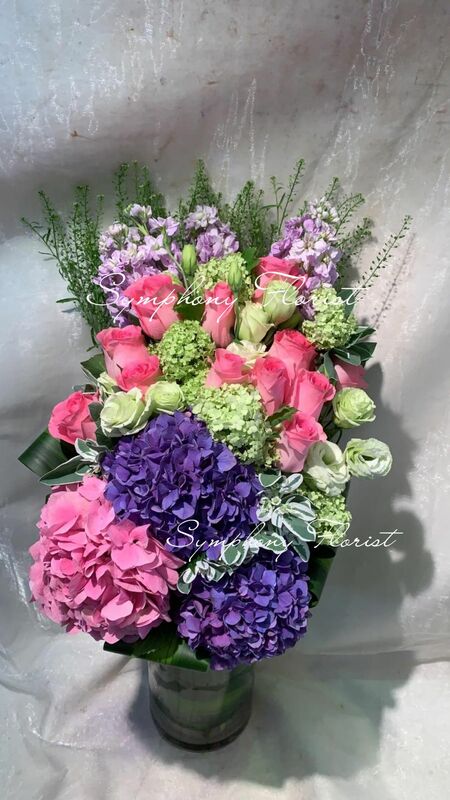 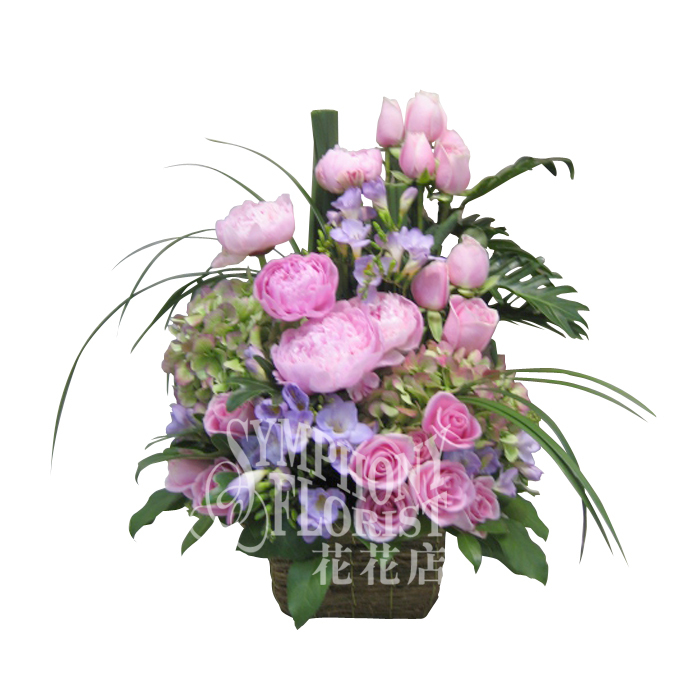 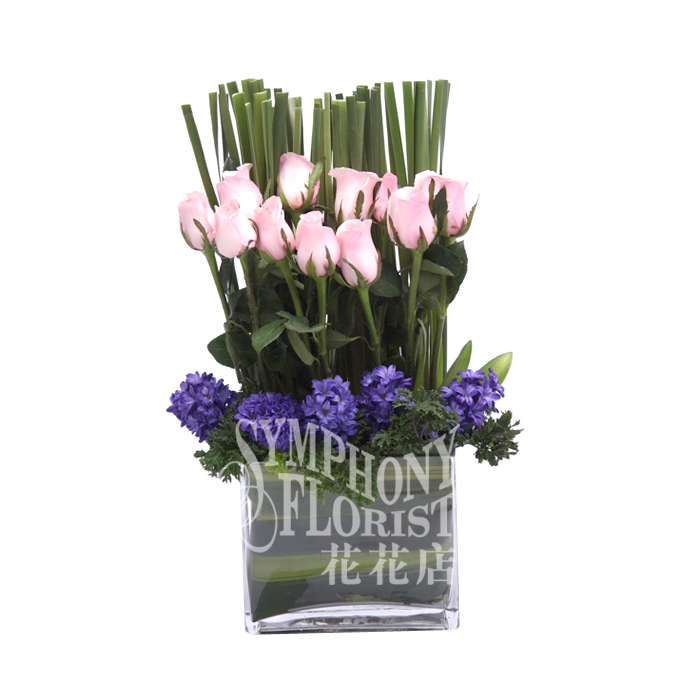 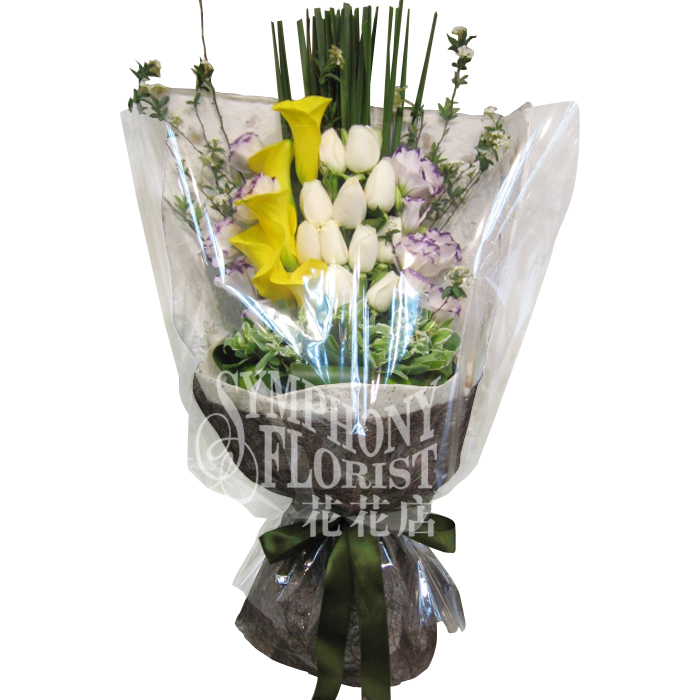 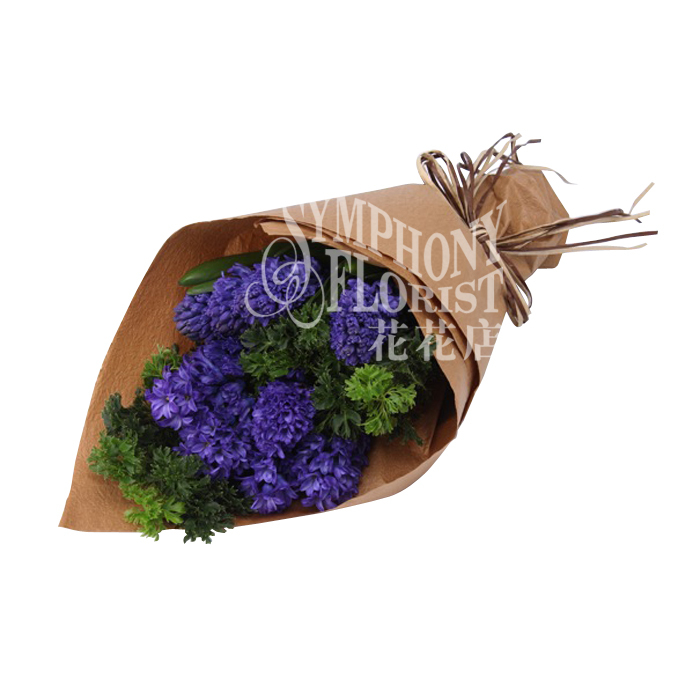 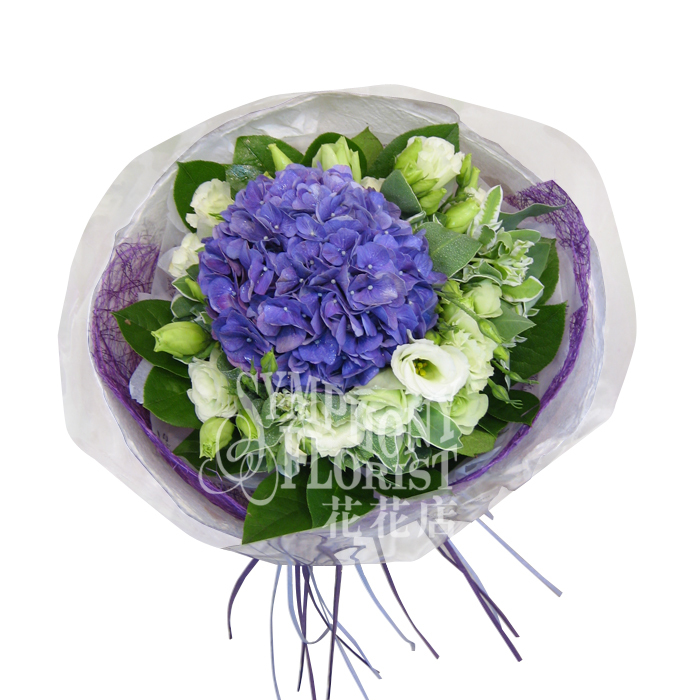 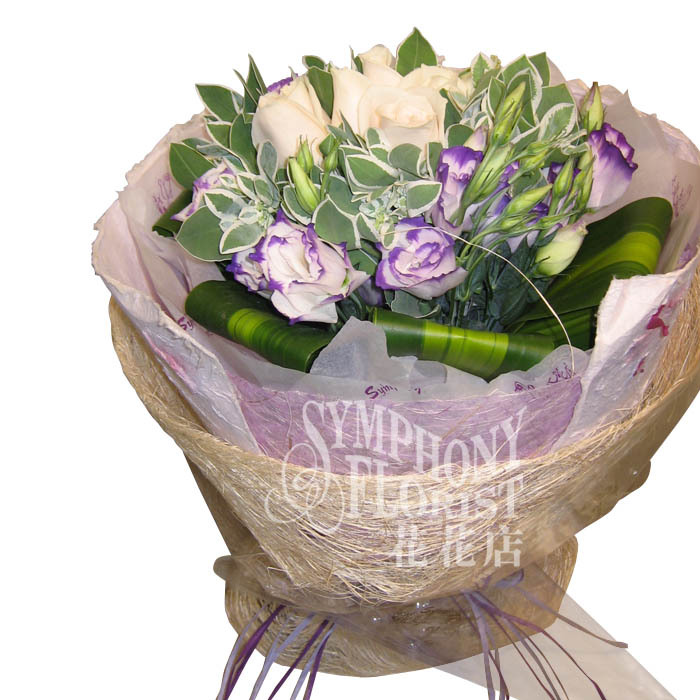 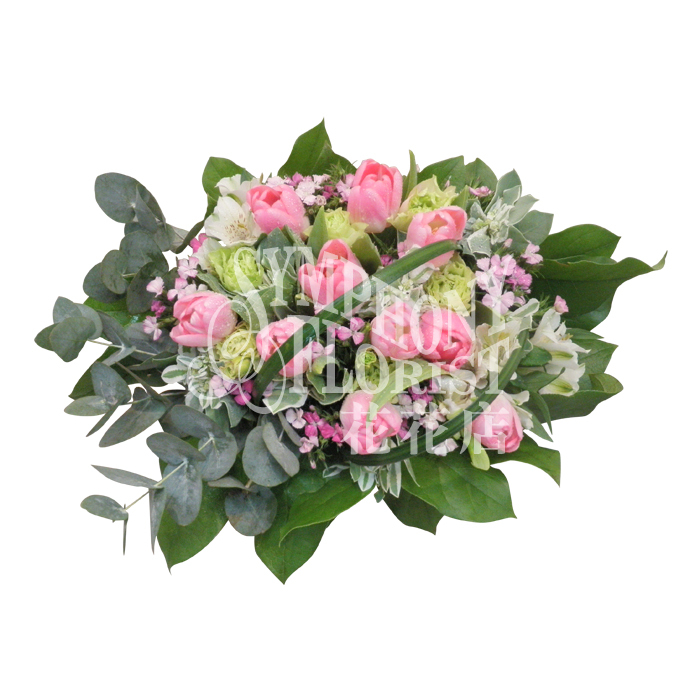 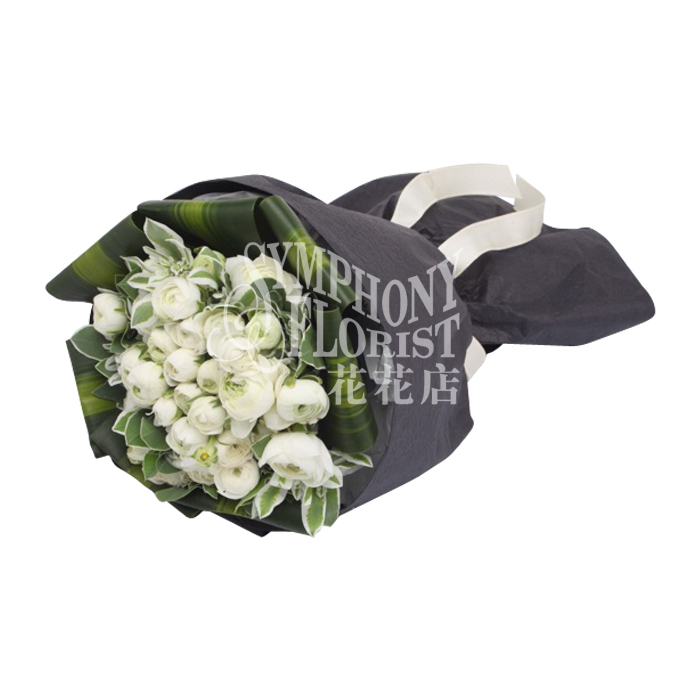 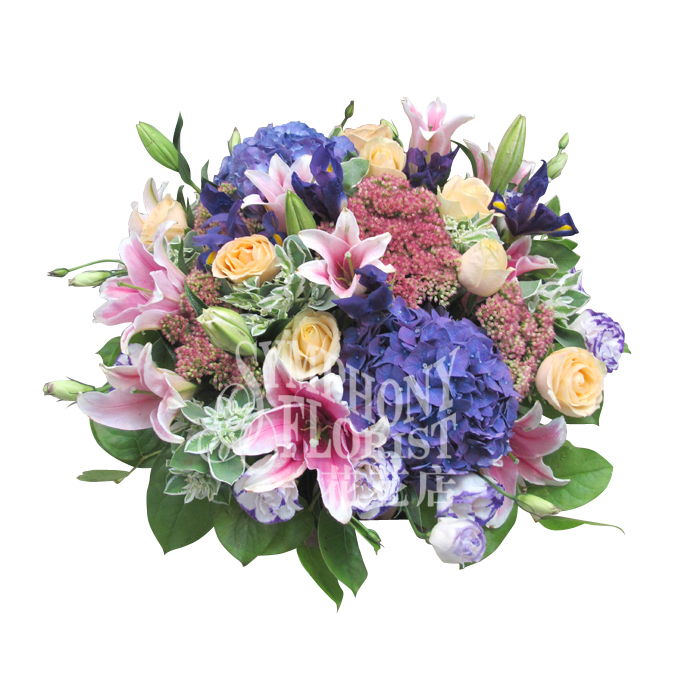 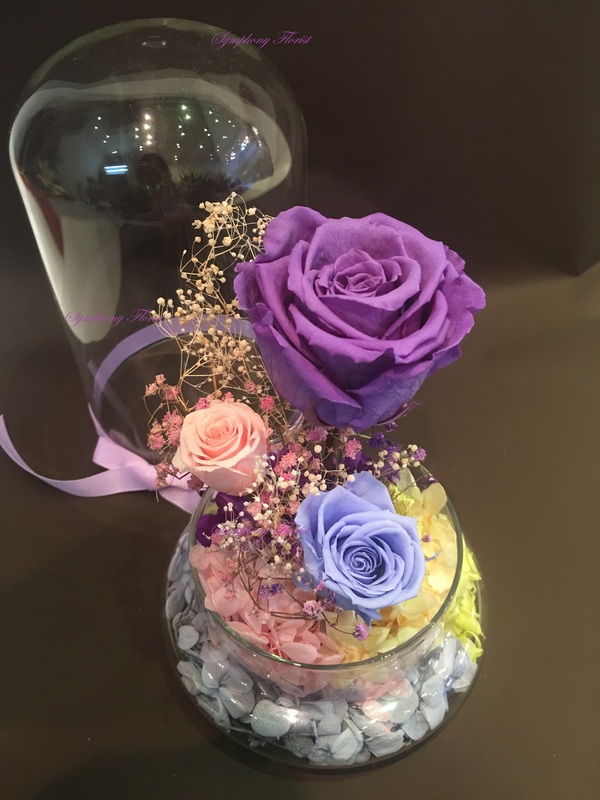 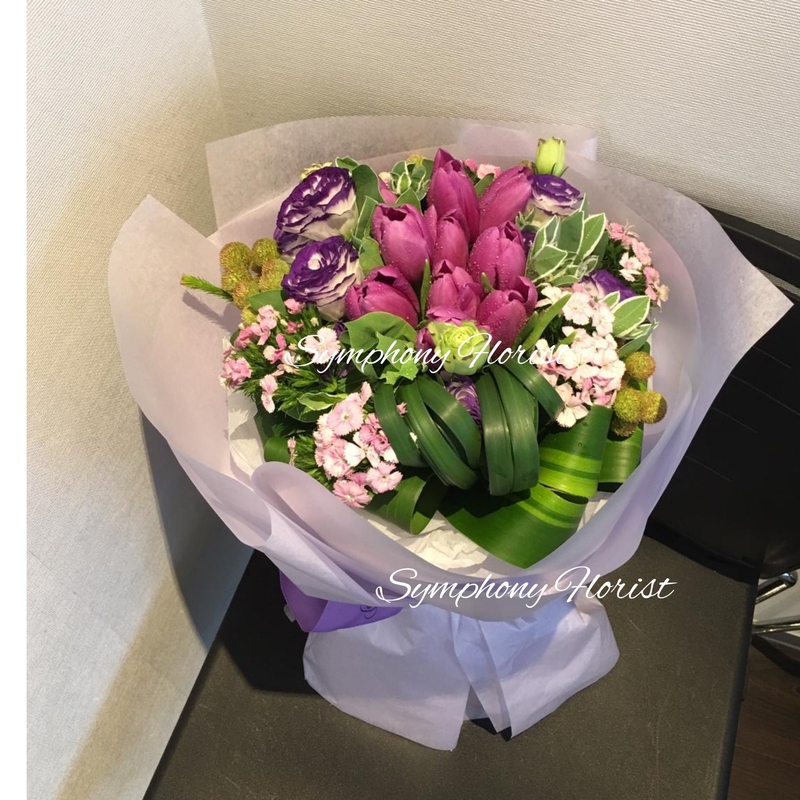 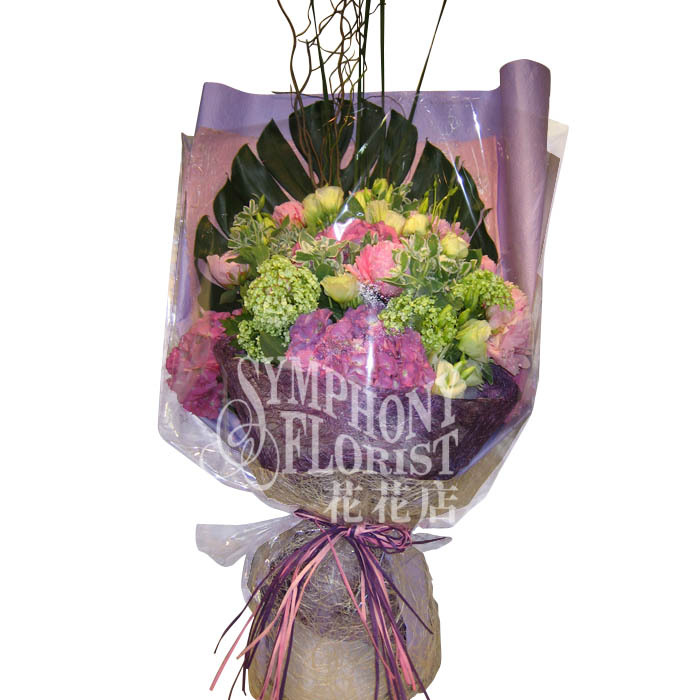 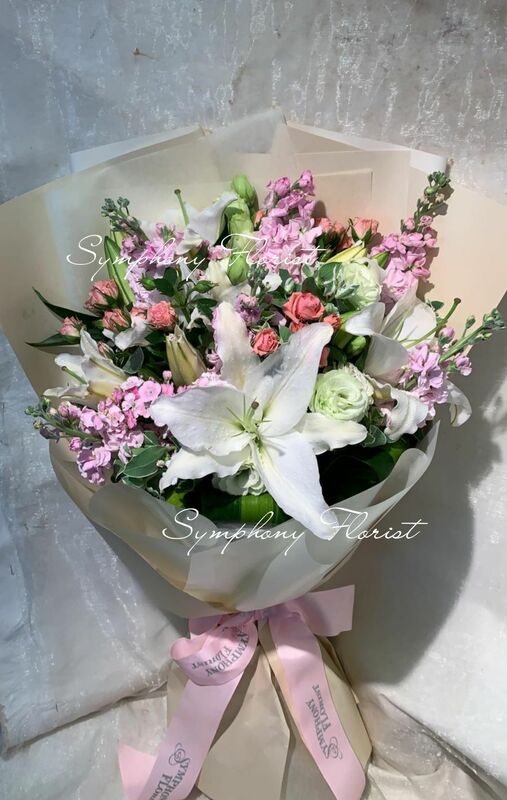 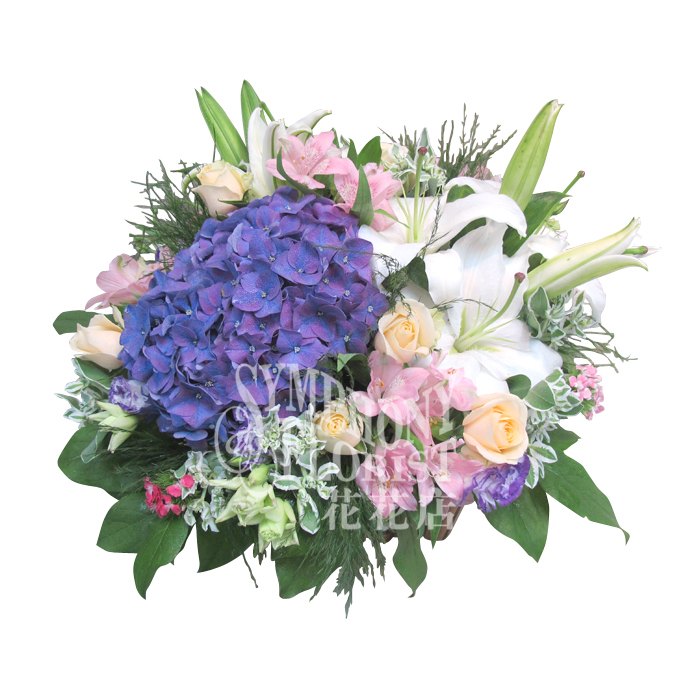 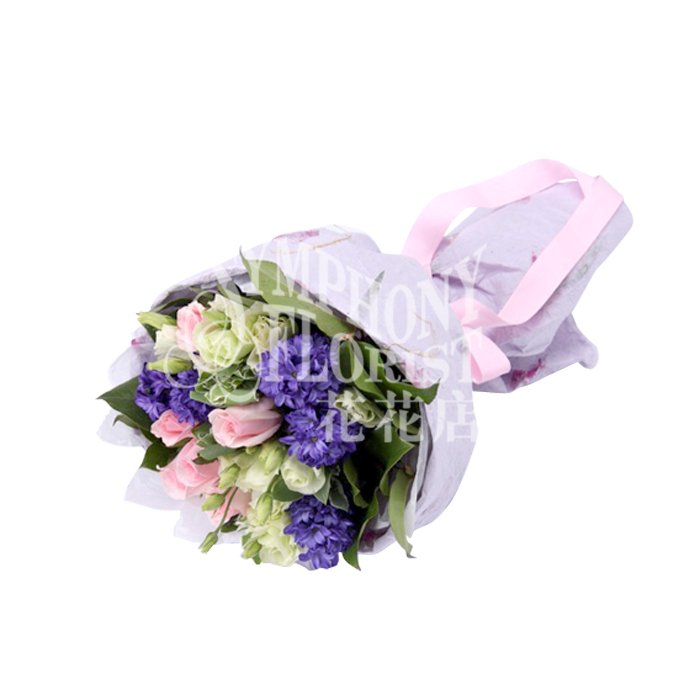 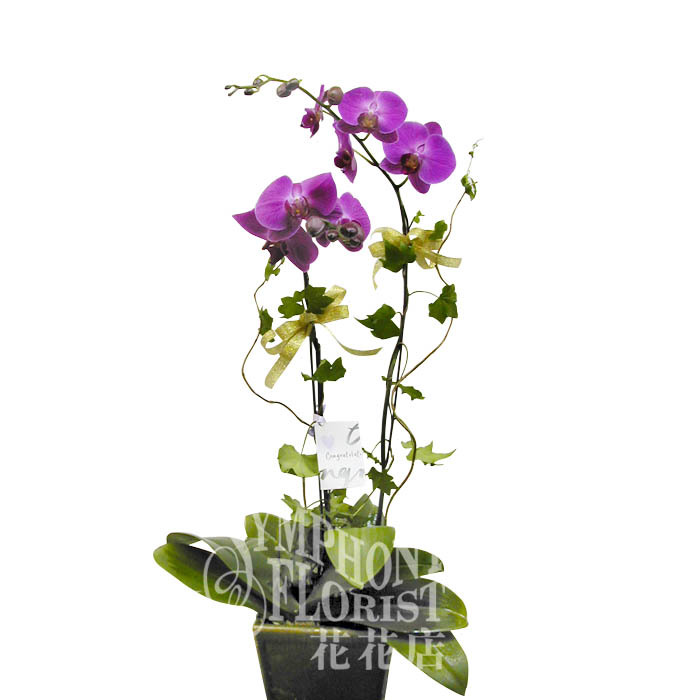 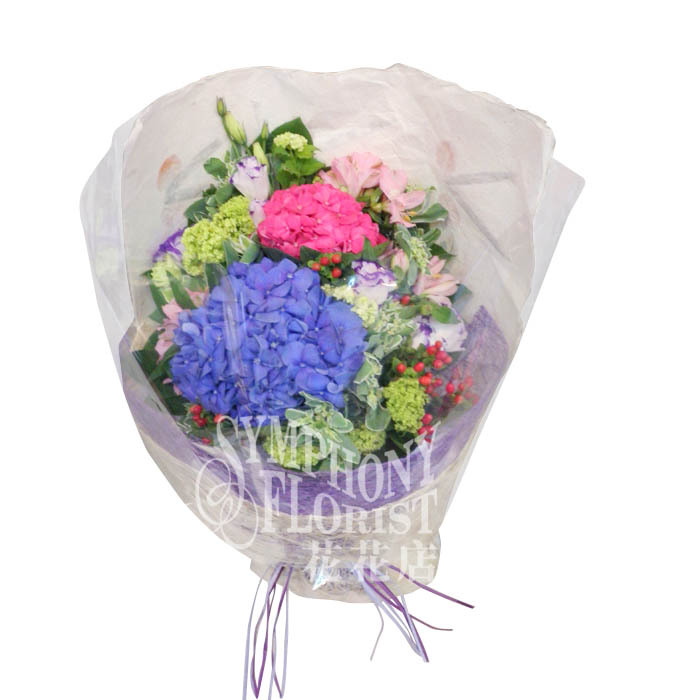 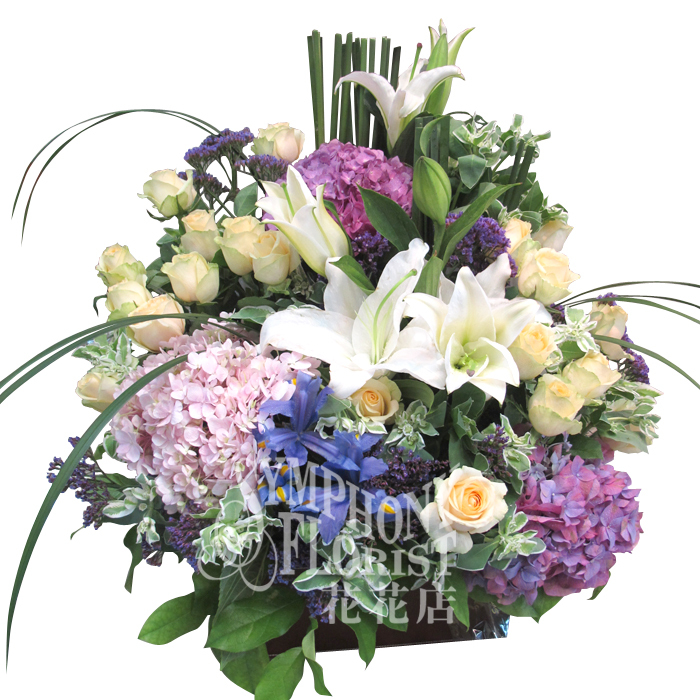 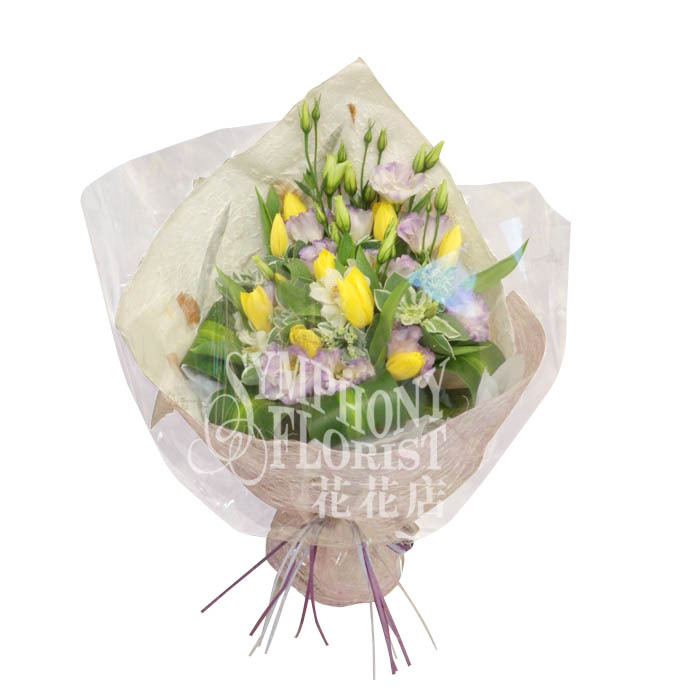 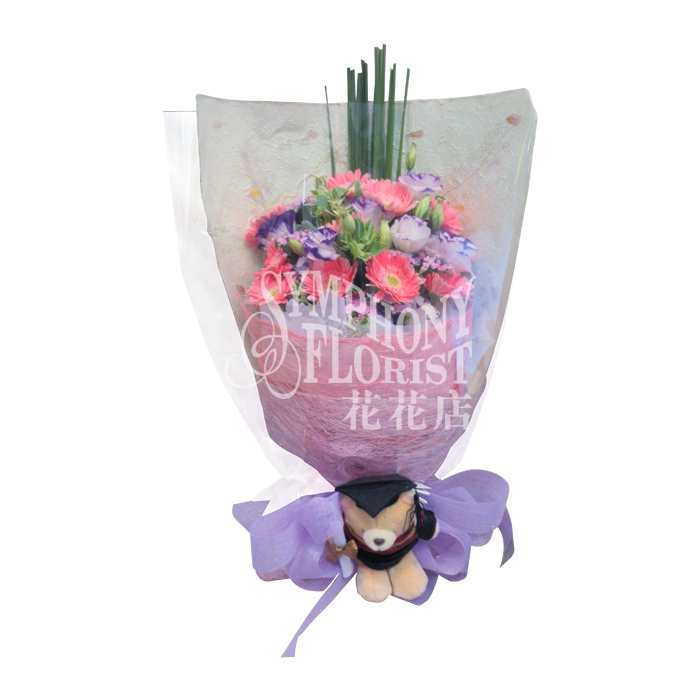 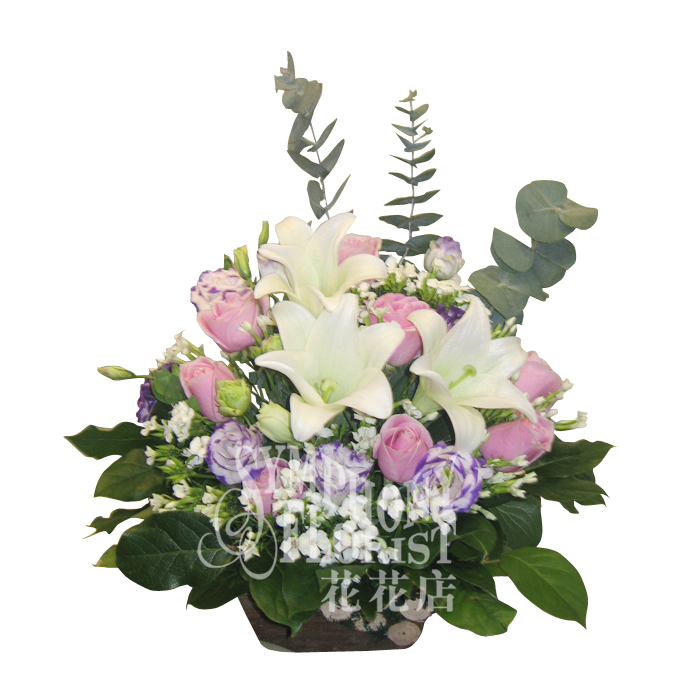 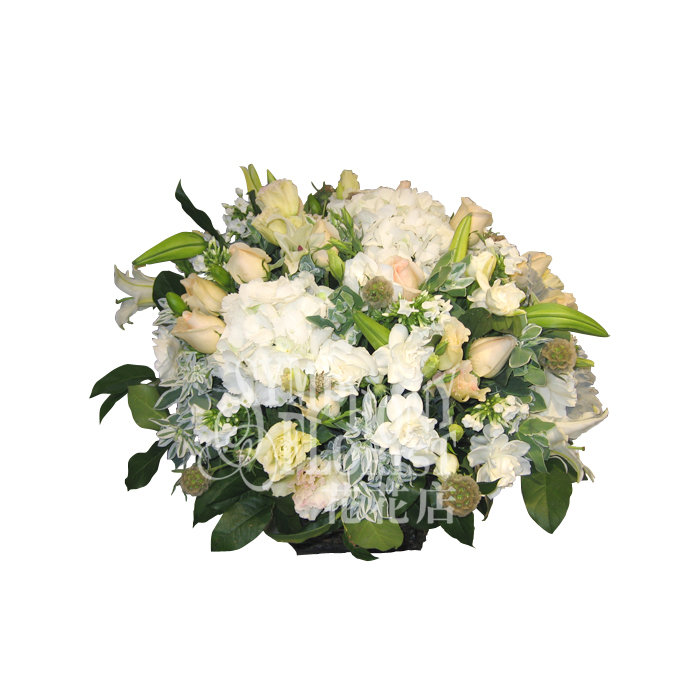 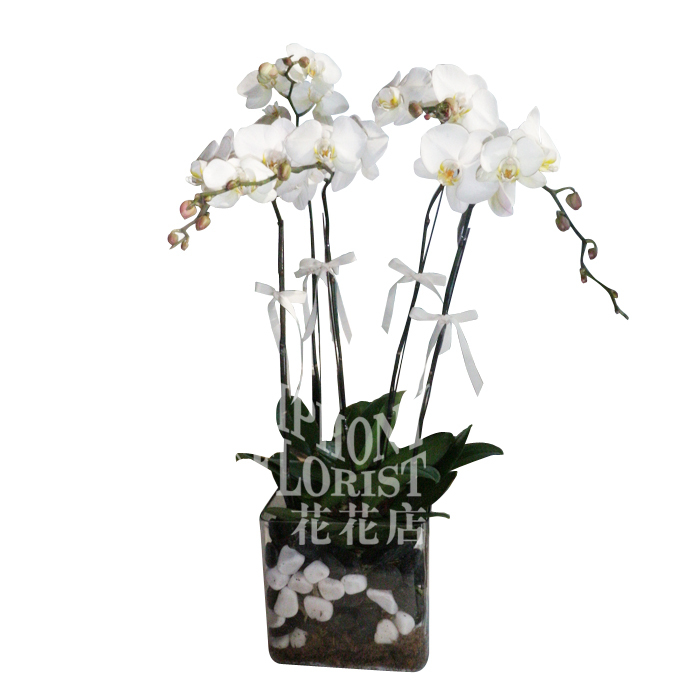 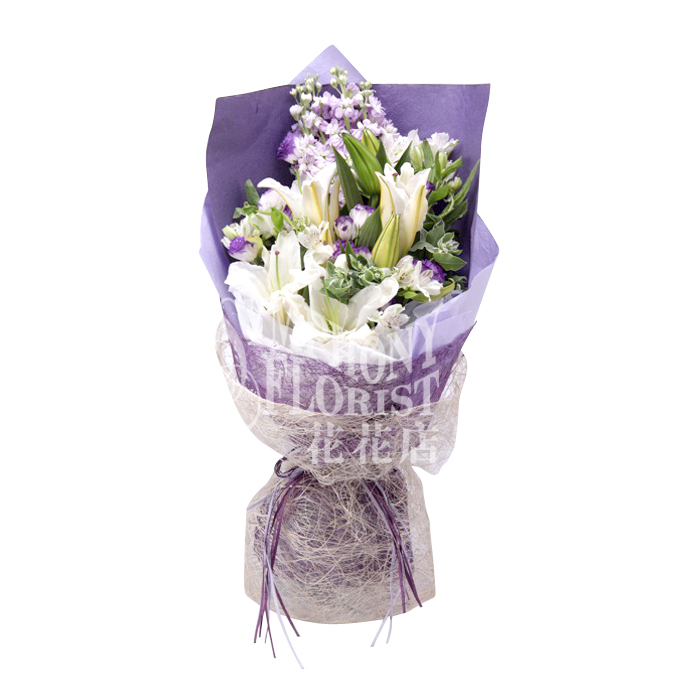 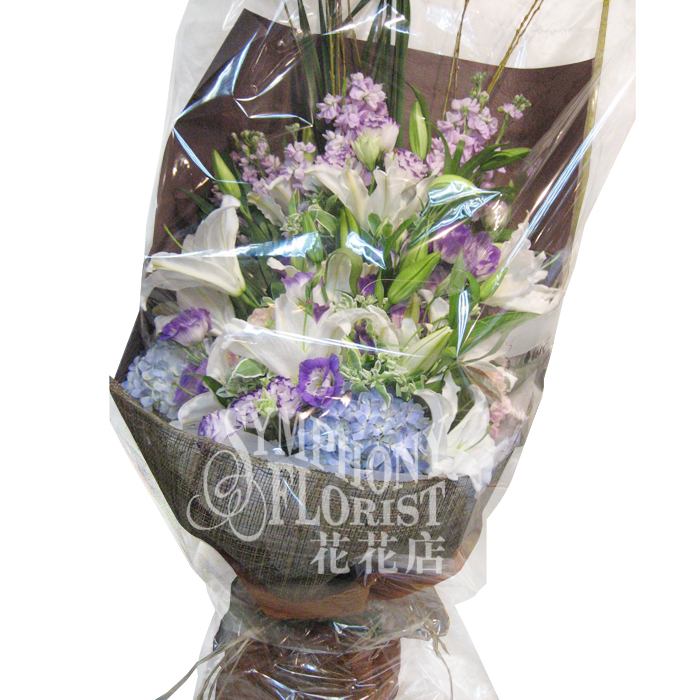 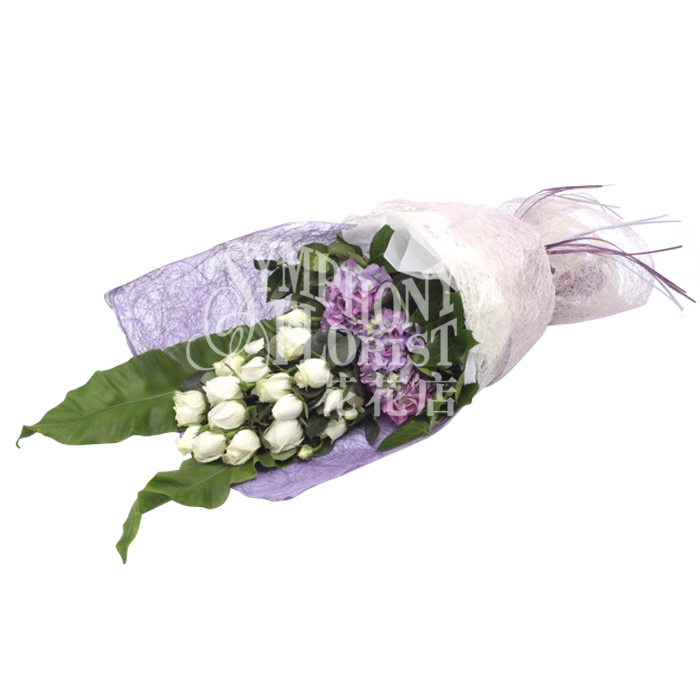 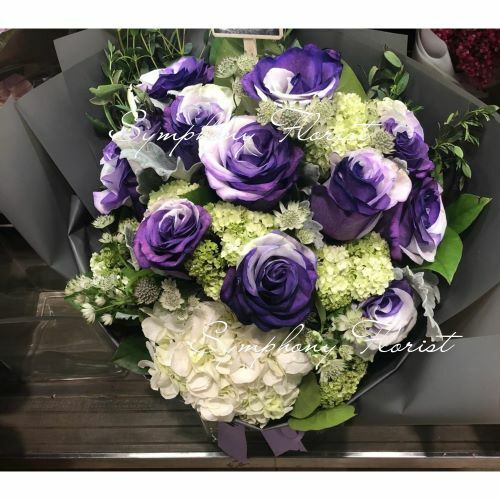 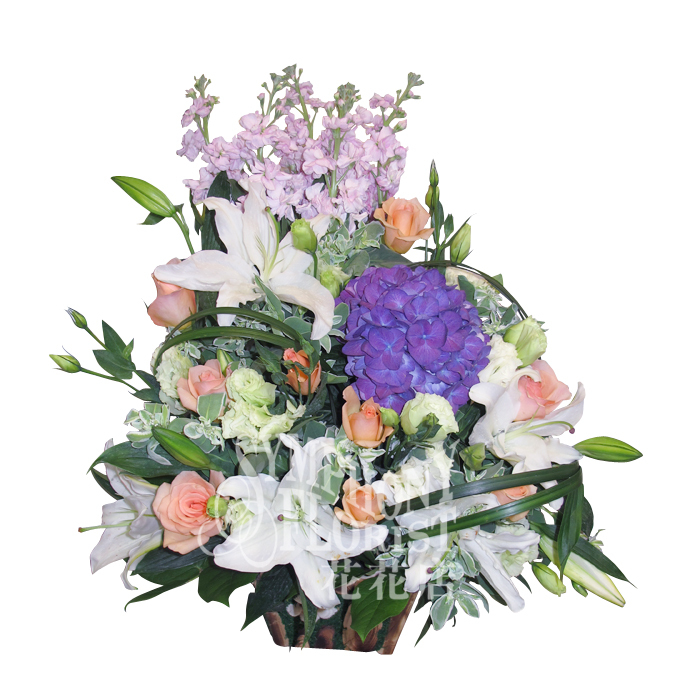 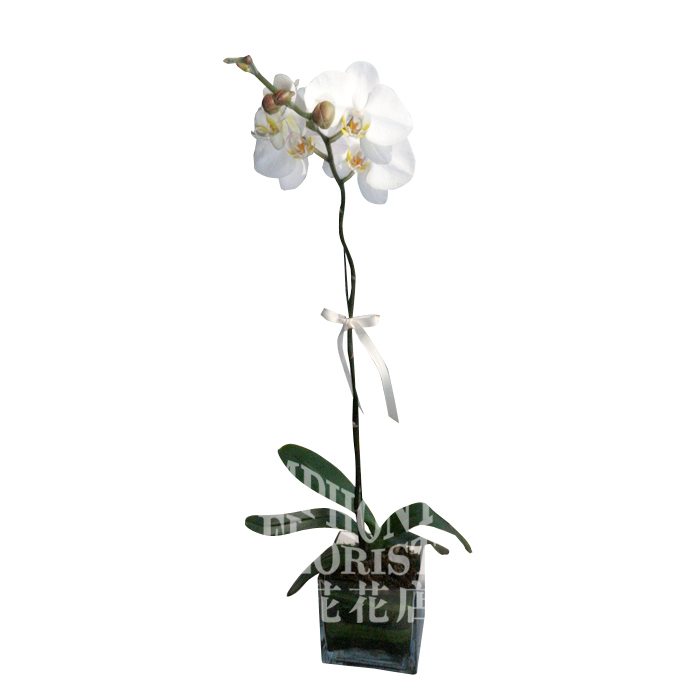 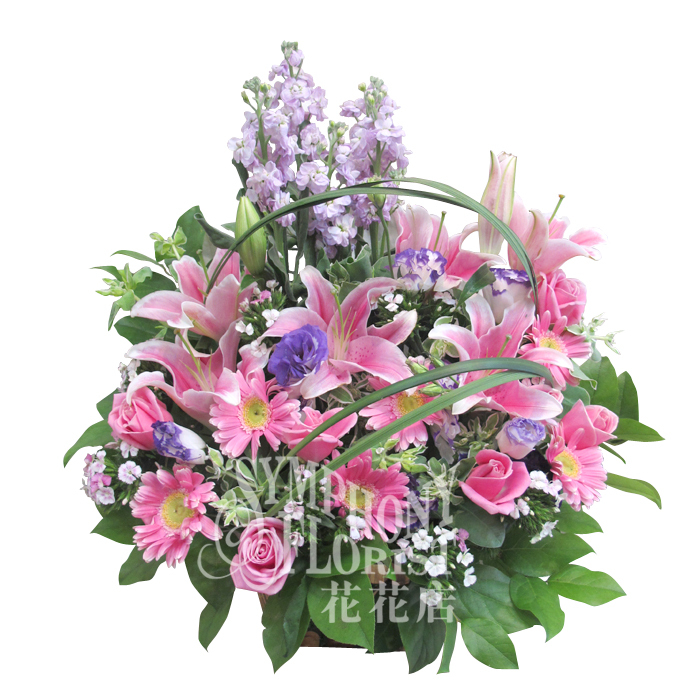 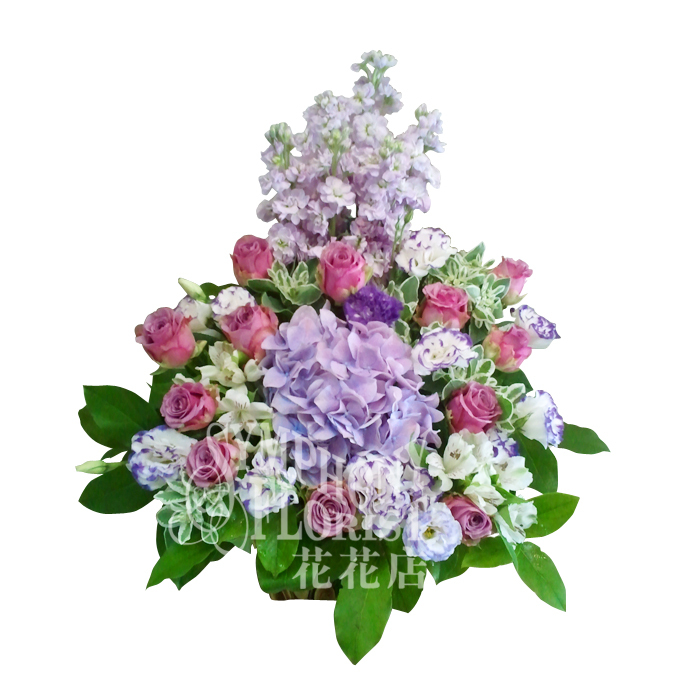 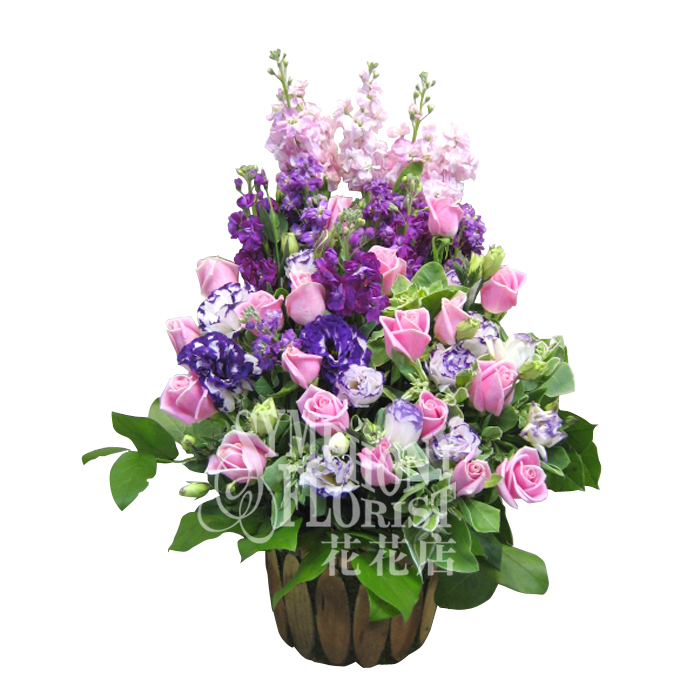 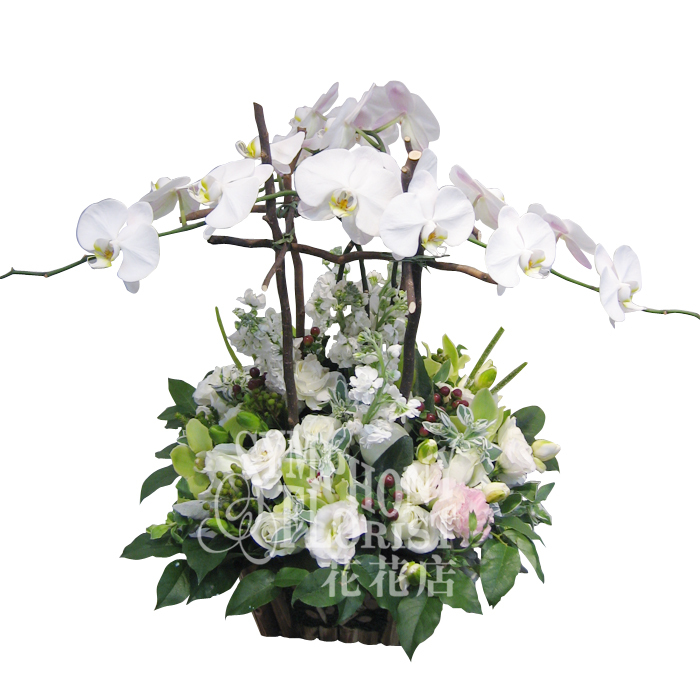 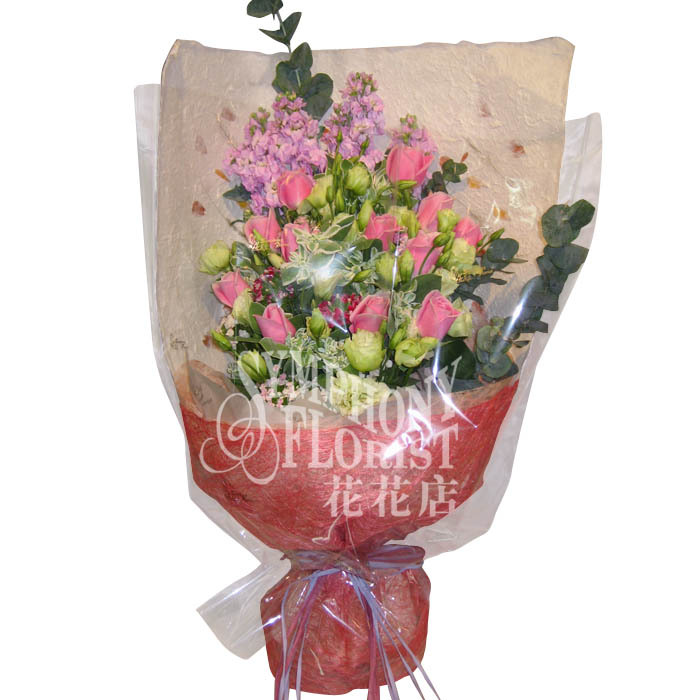 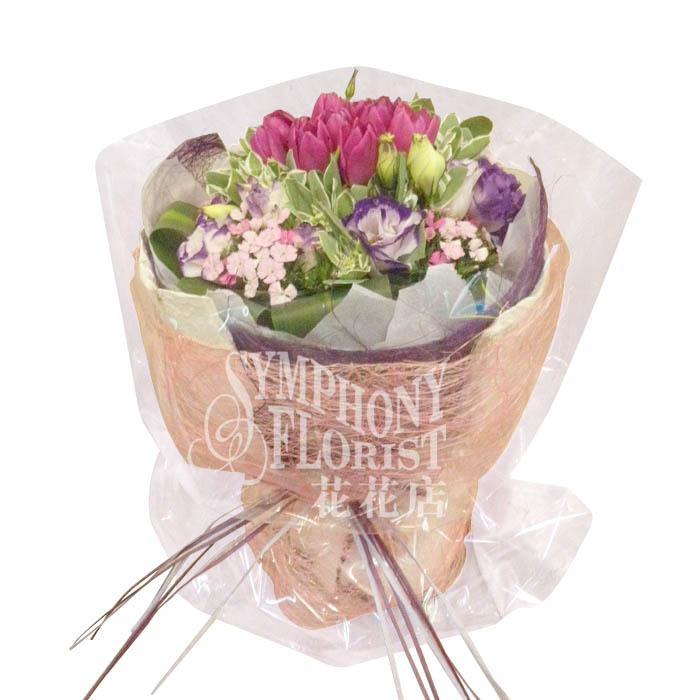 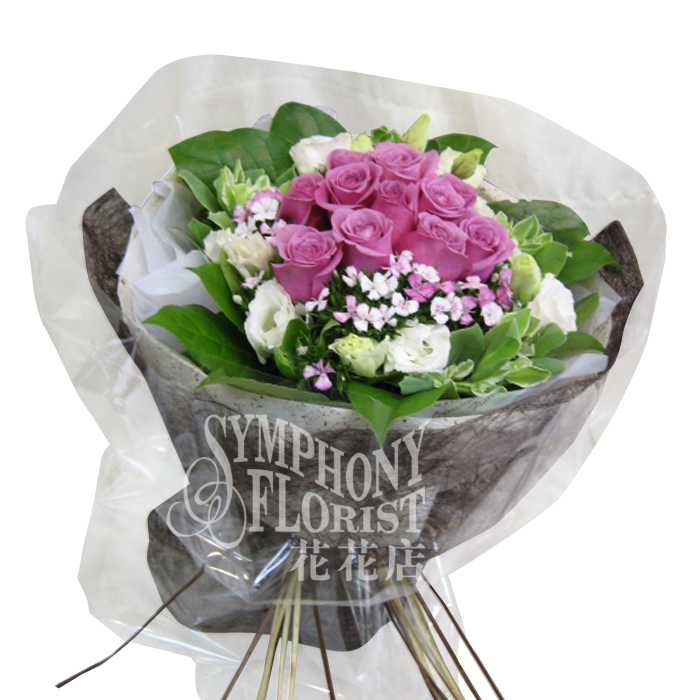 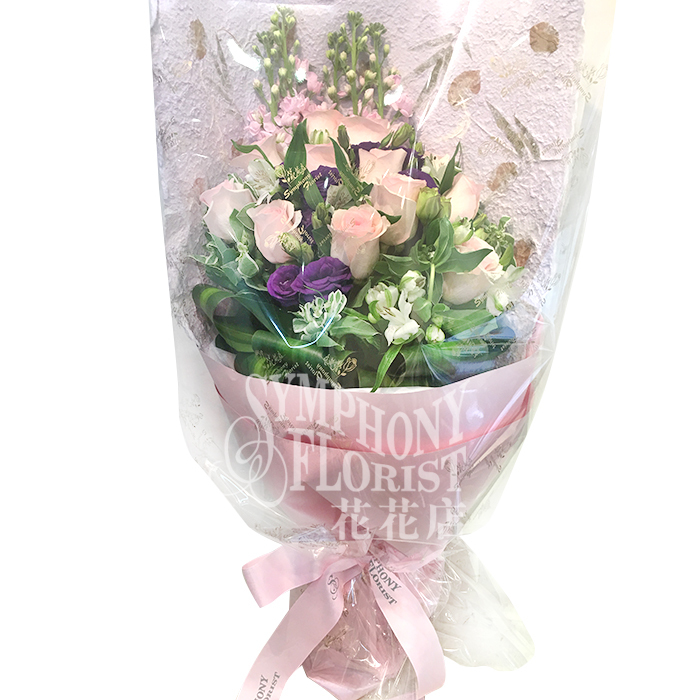 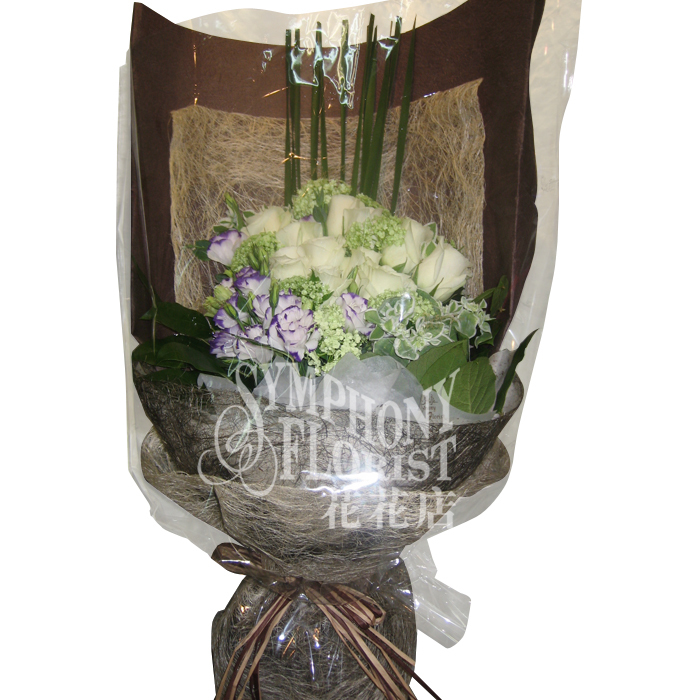 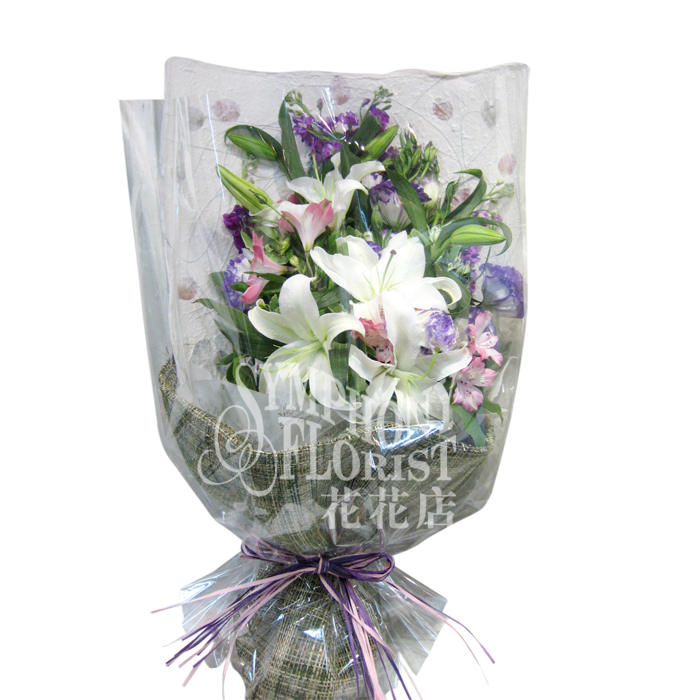 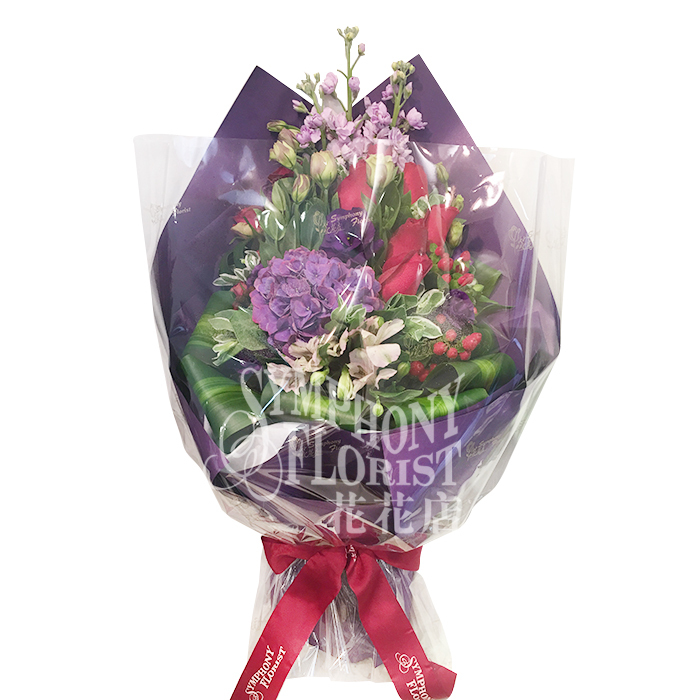 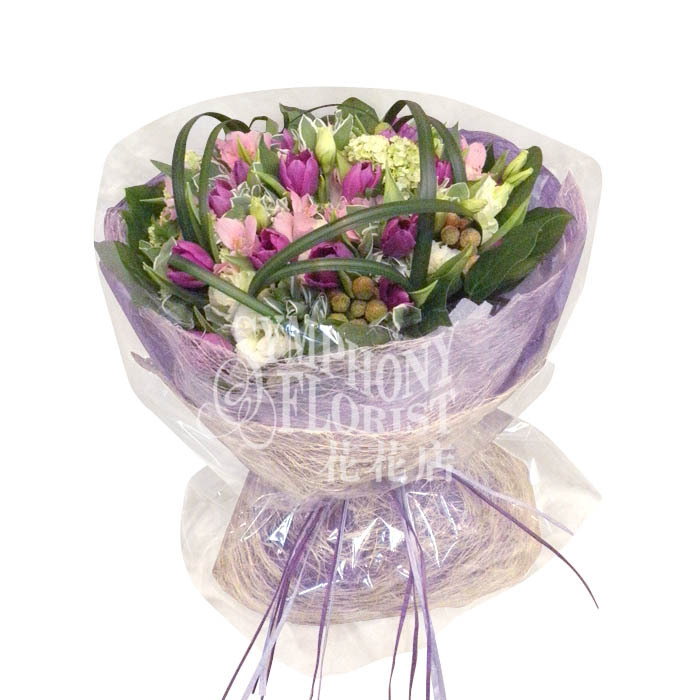 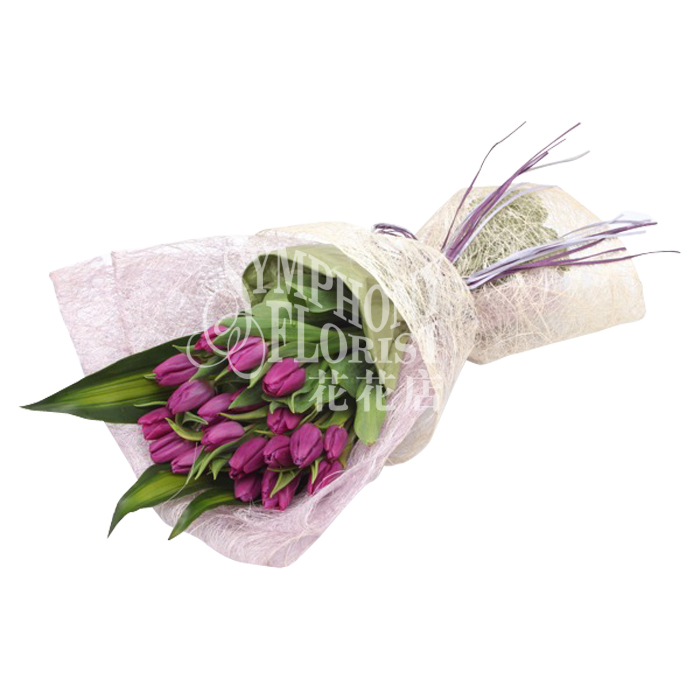 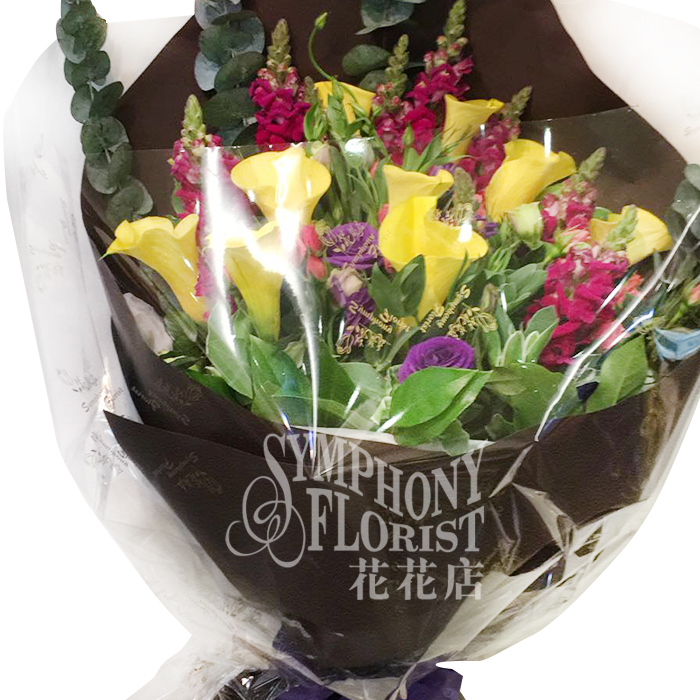 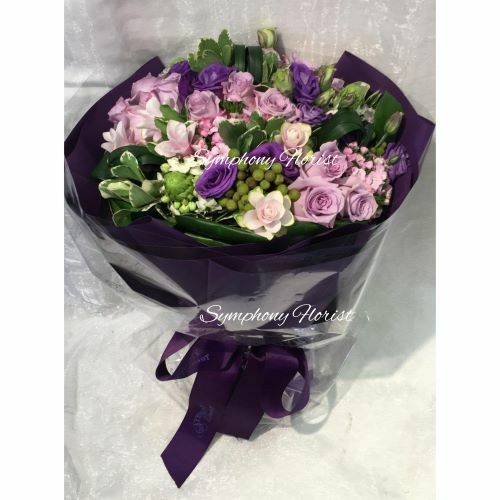 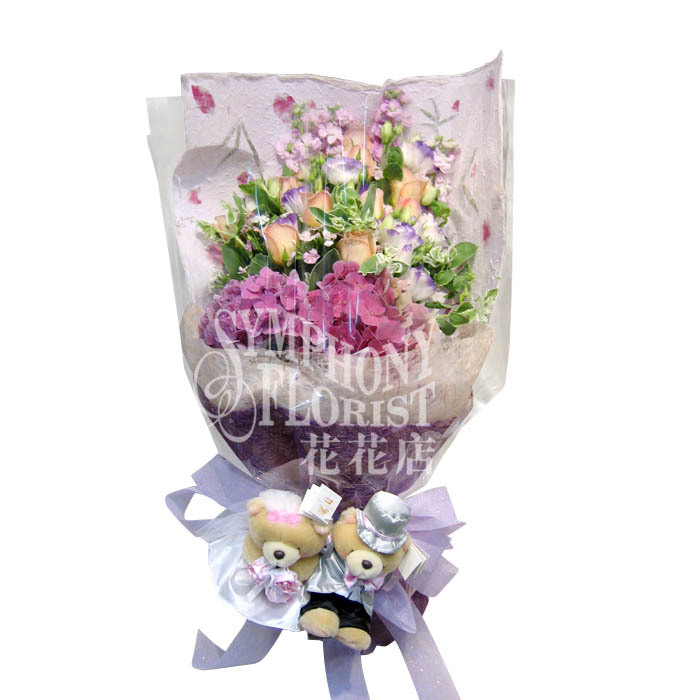 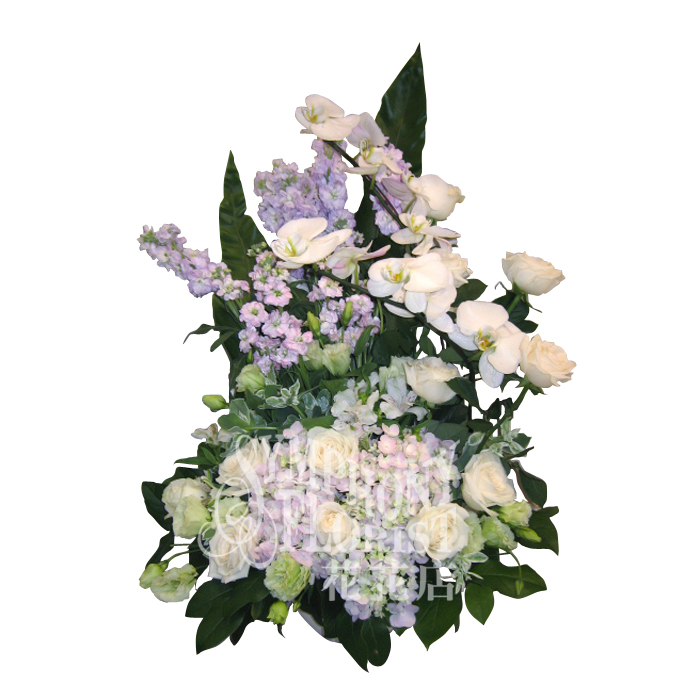 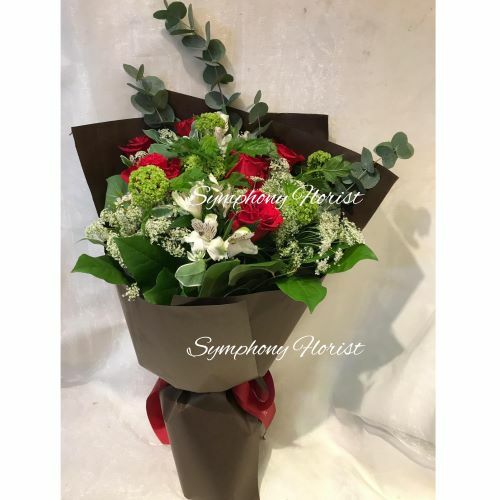 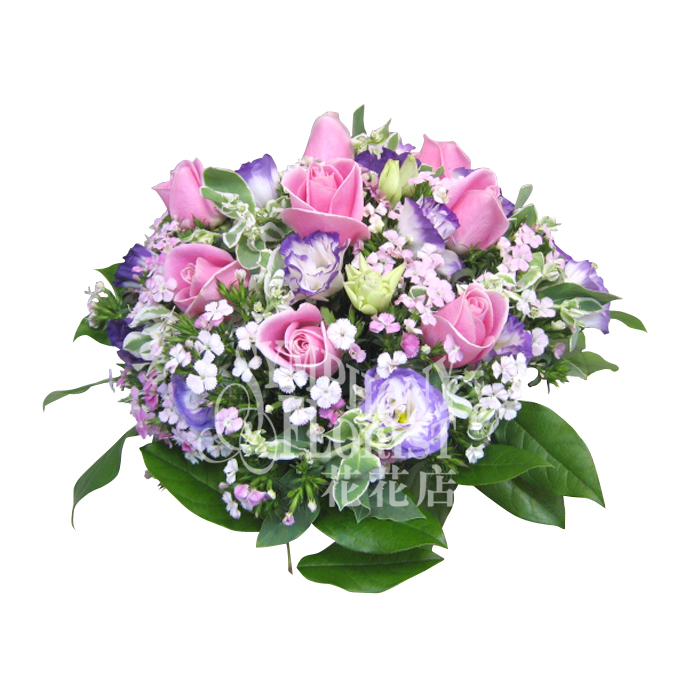 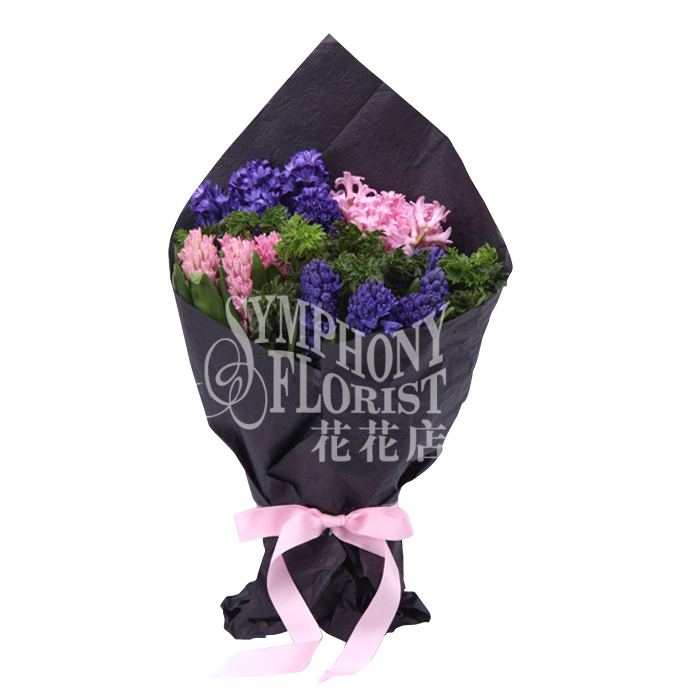 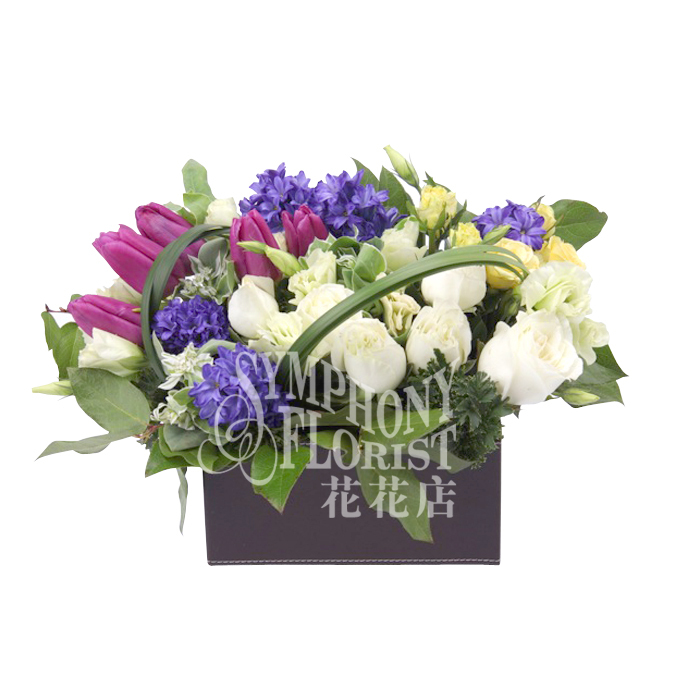 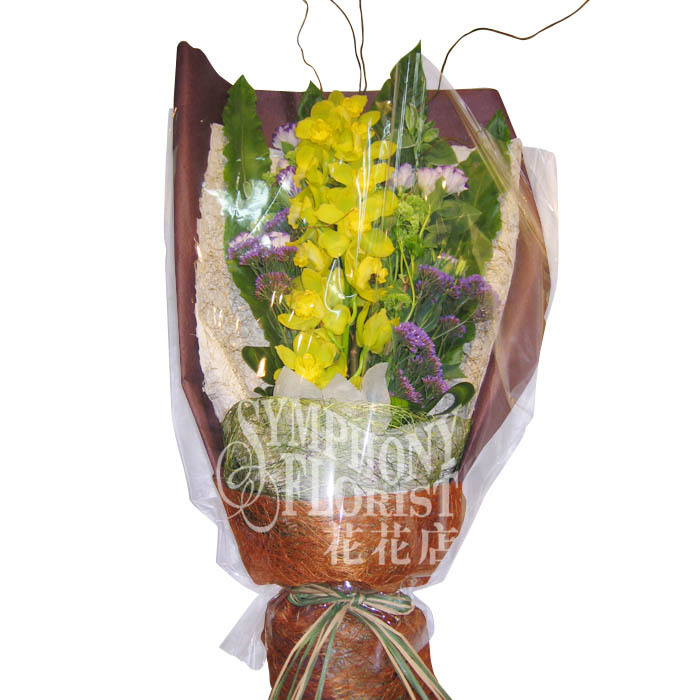 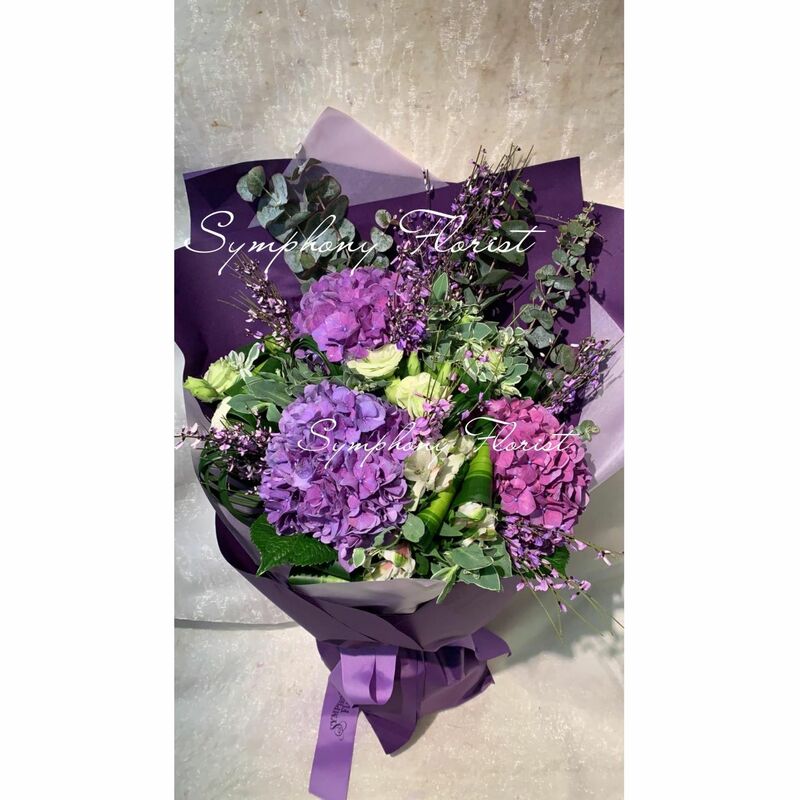 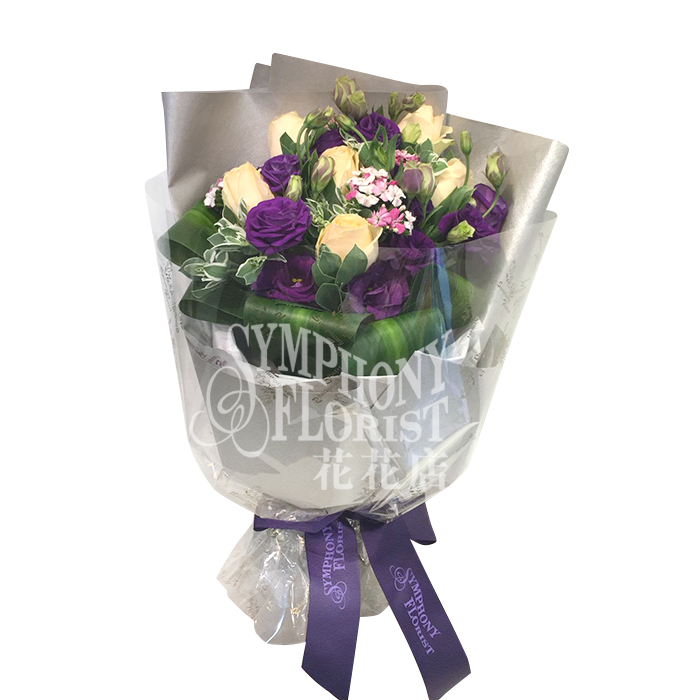 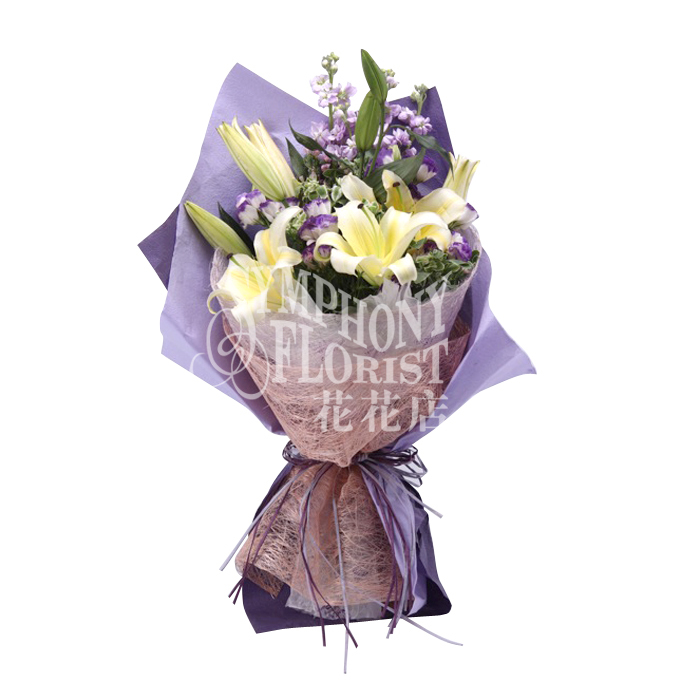 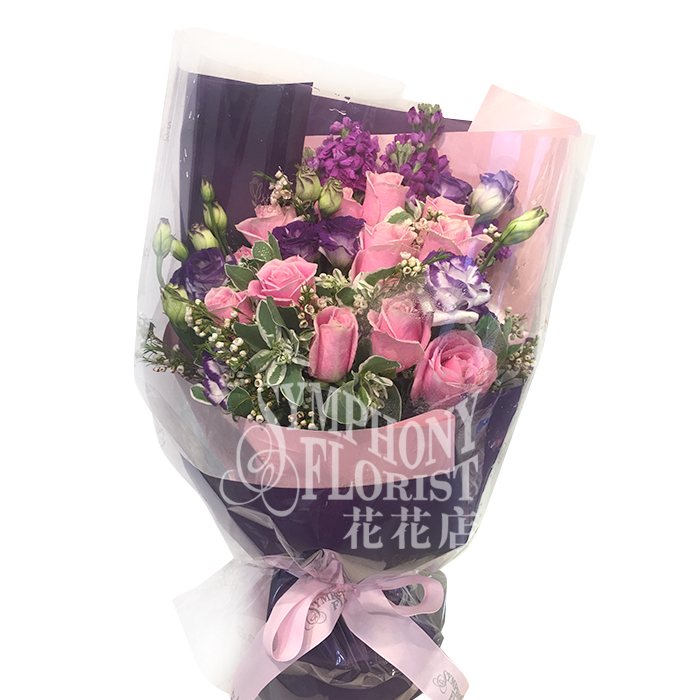 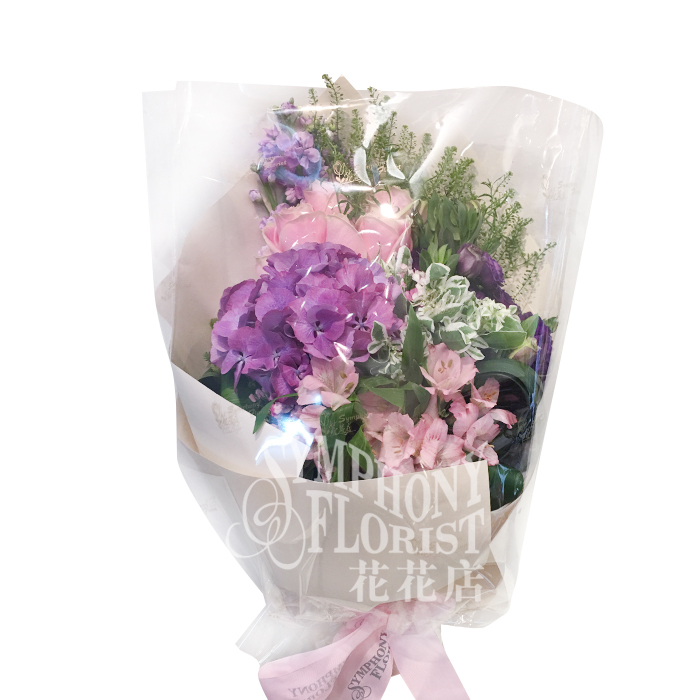 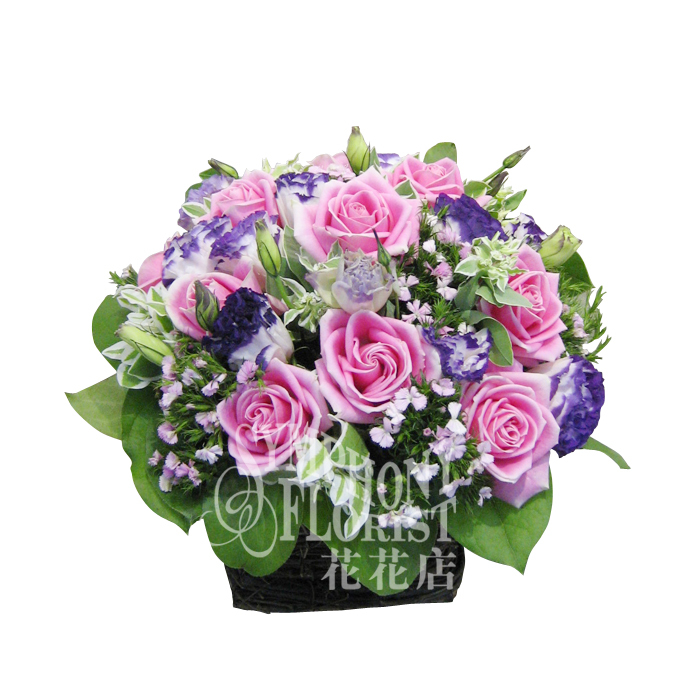 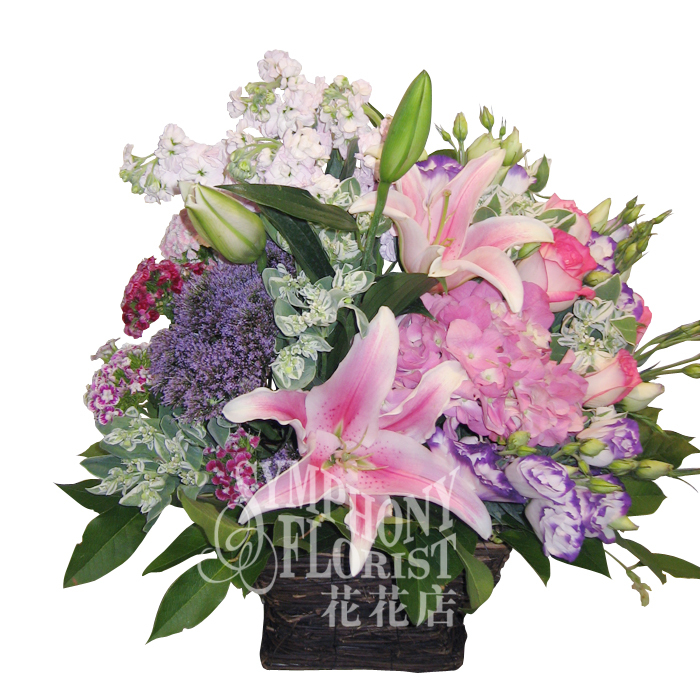 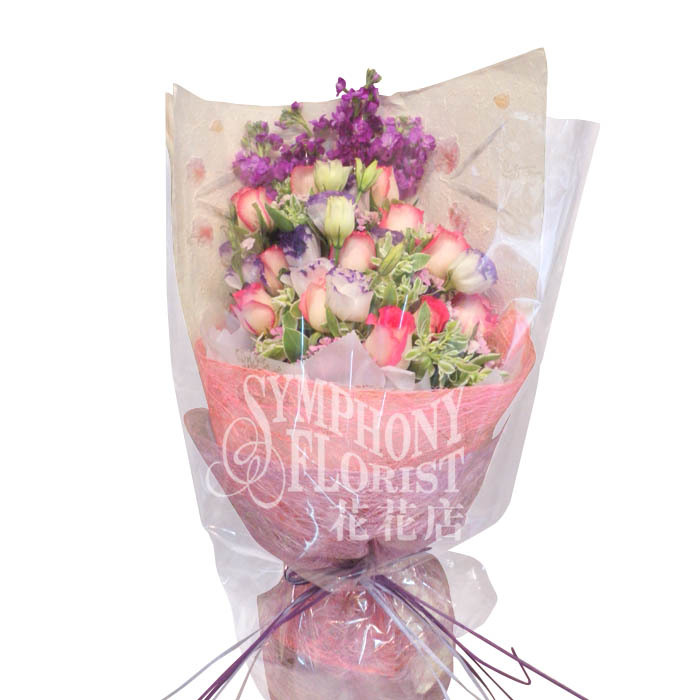 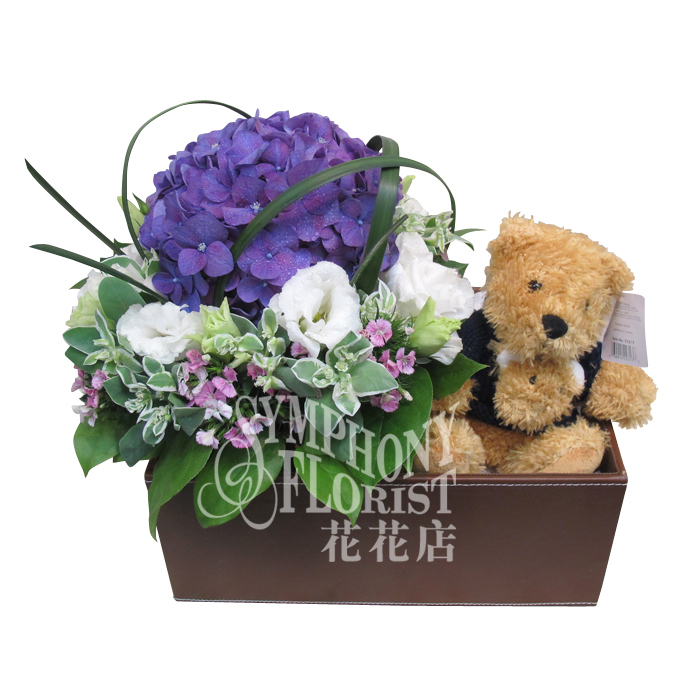 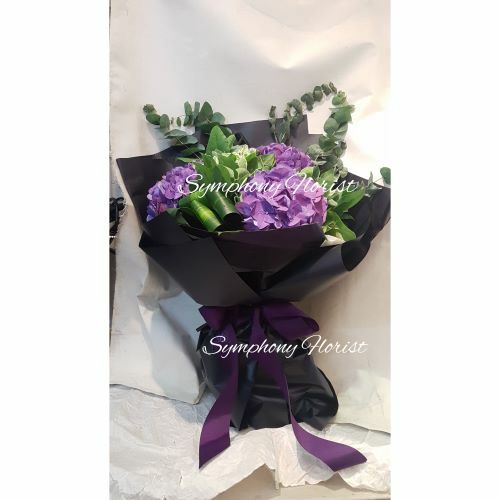 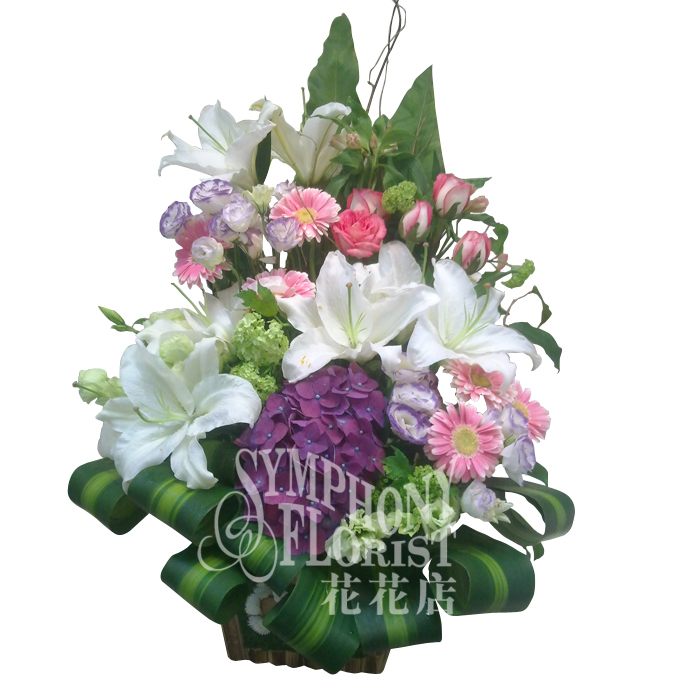 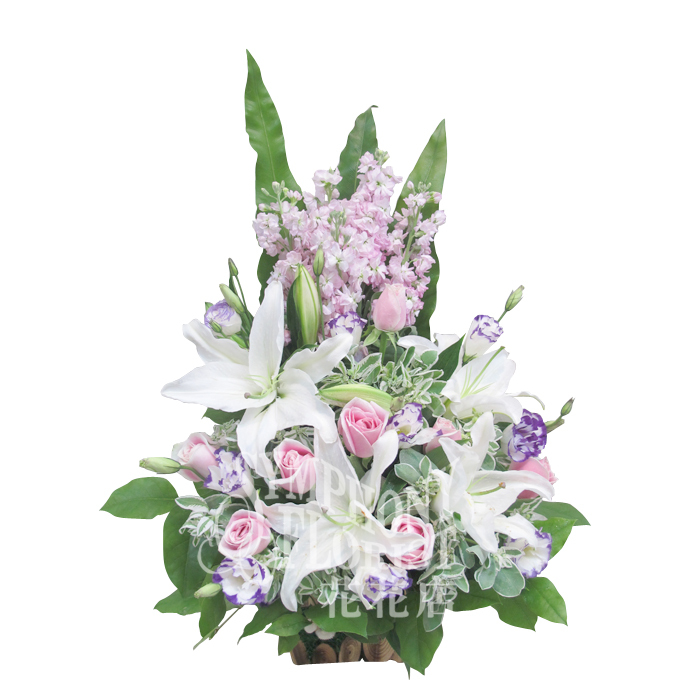 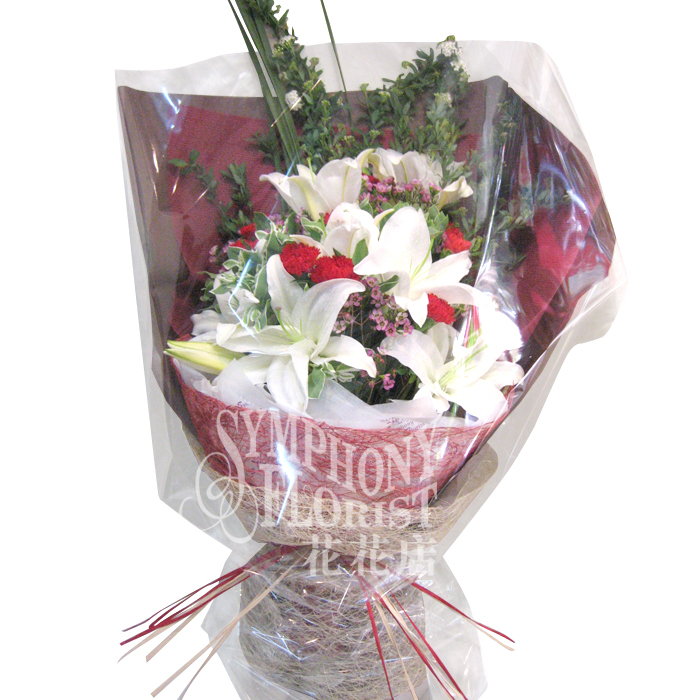 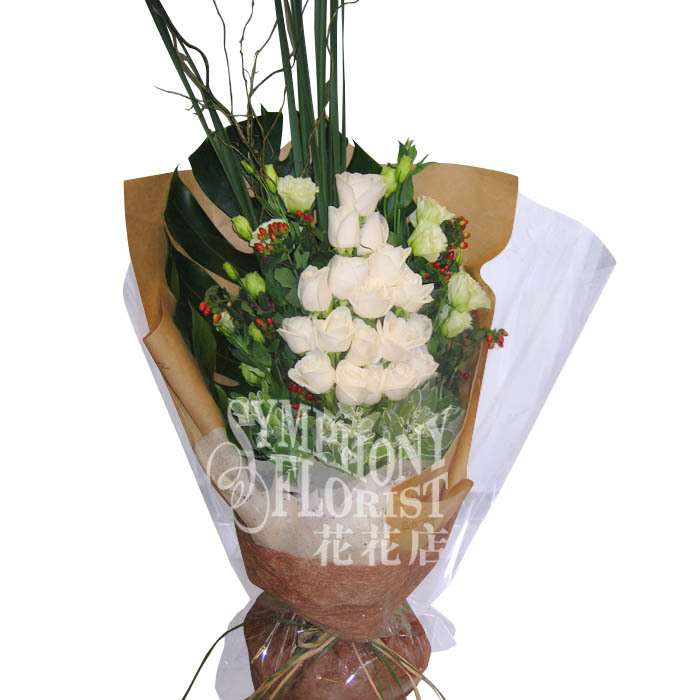 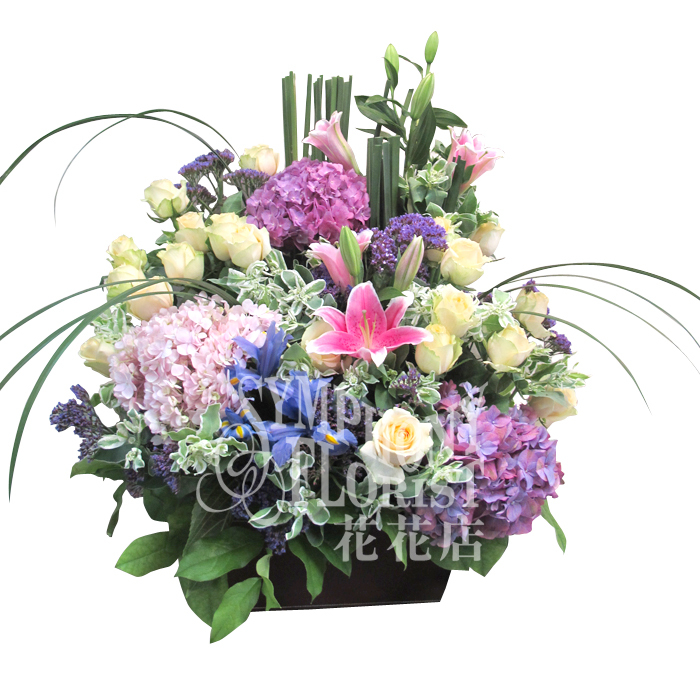 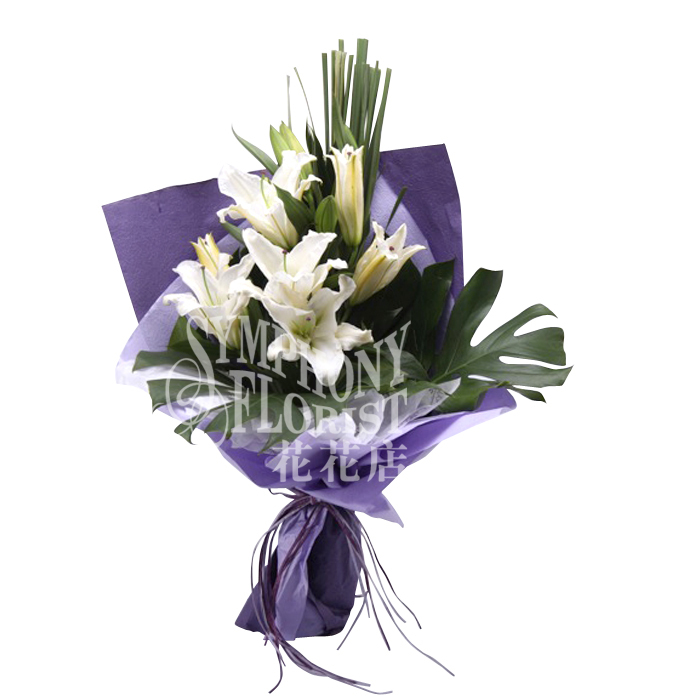 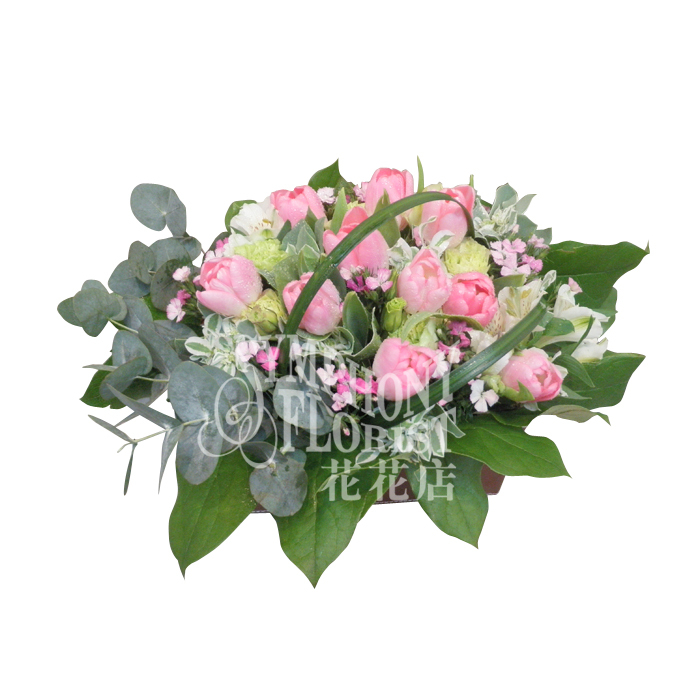 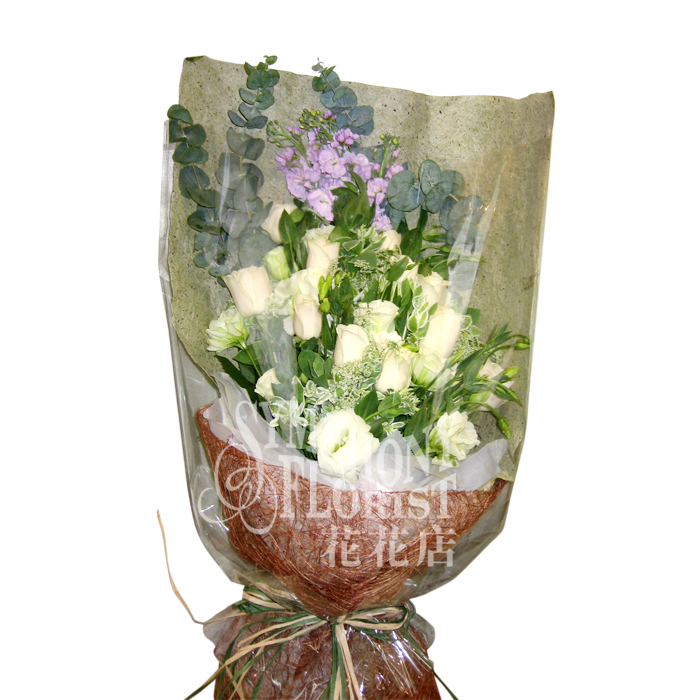 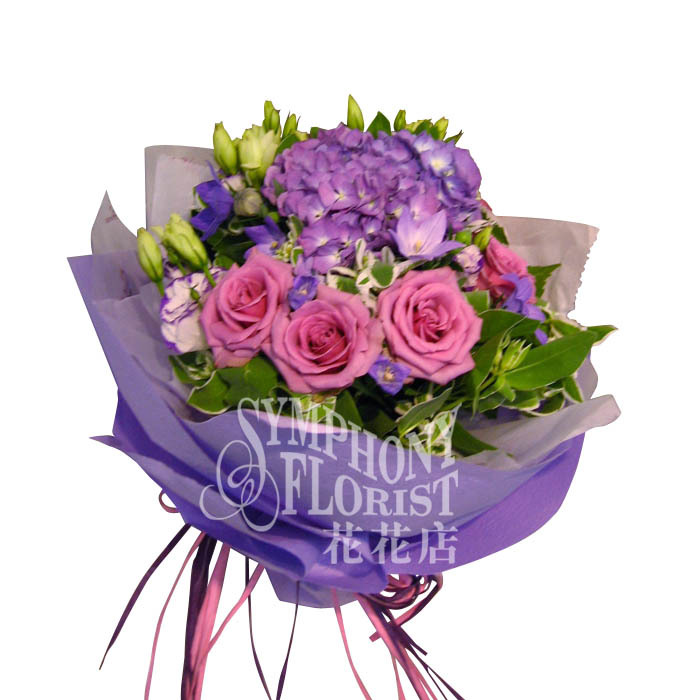 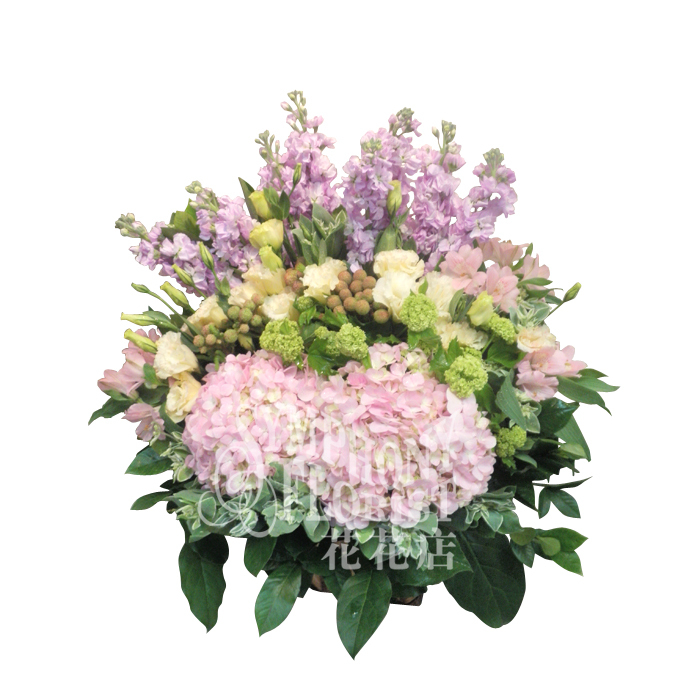 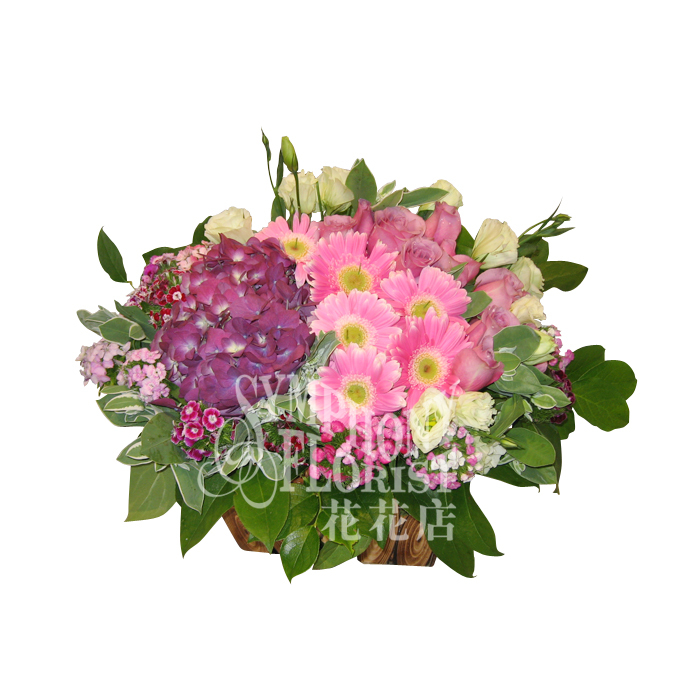 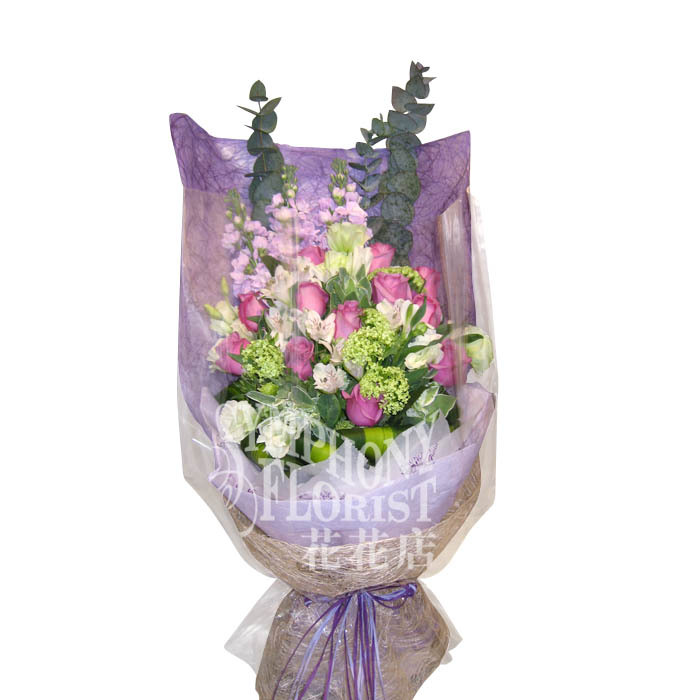 Description: 2pcs Hydrangea, Vibumun, Eustoma, Matthiola, Euphorbia, Alstroemeria & Greenery flower basket. 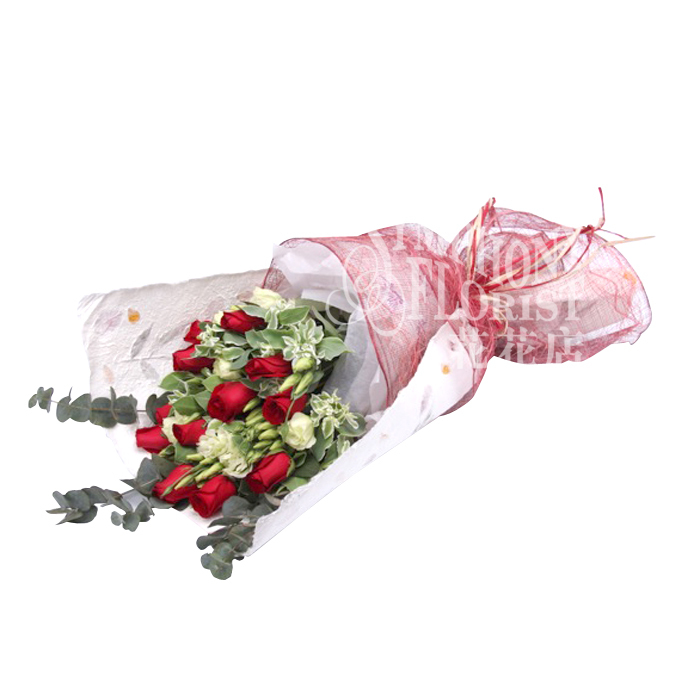 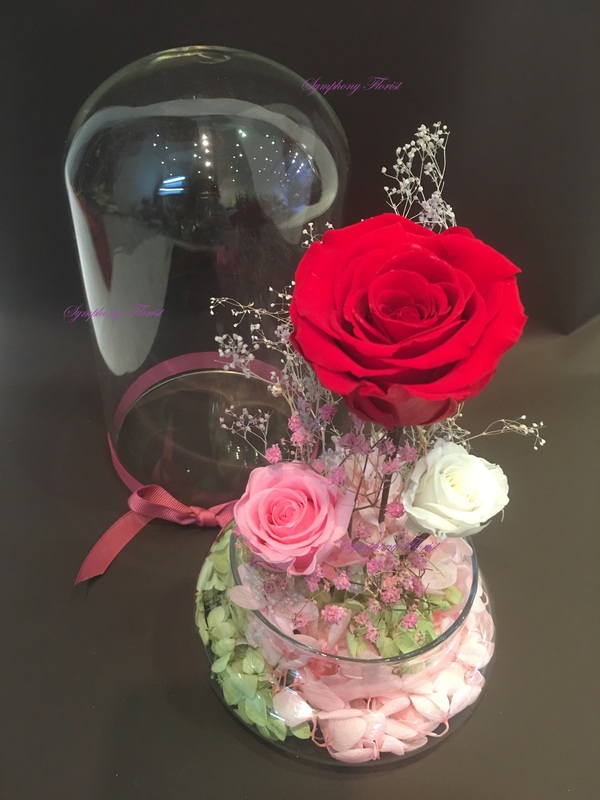 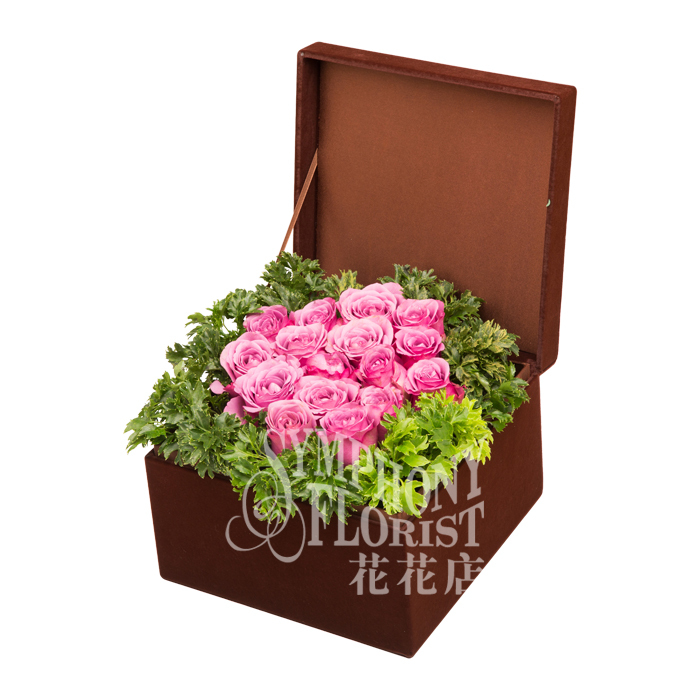 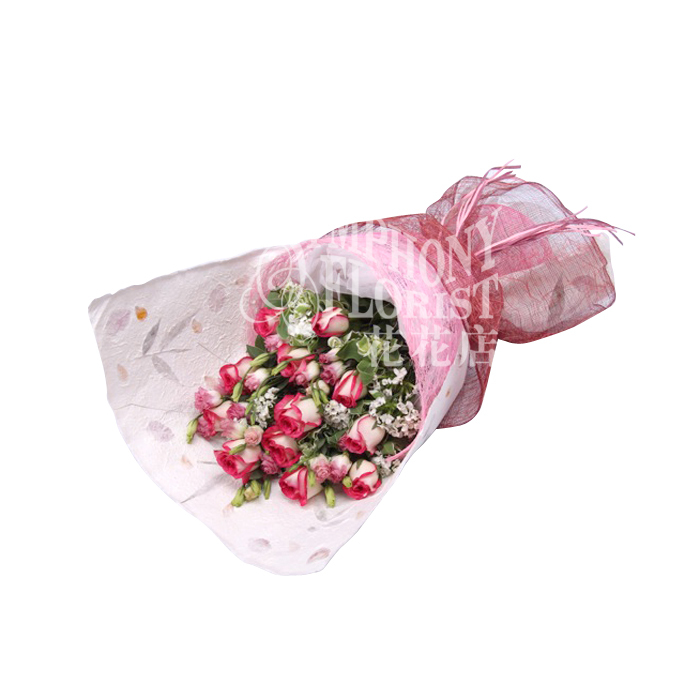 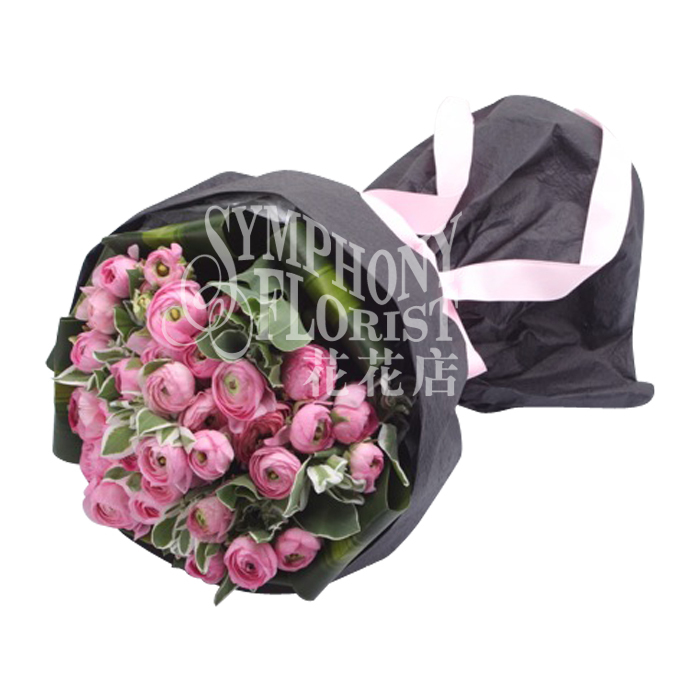 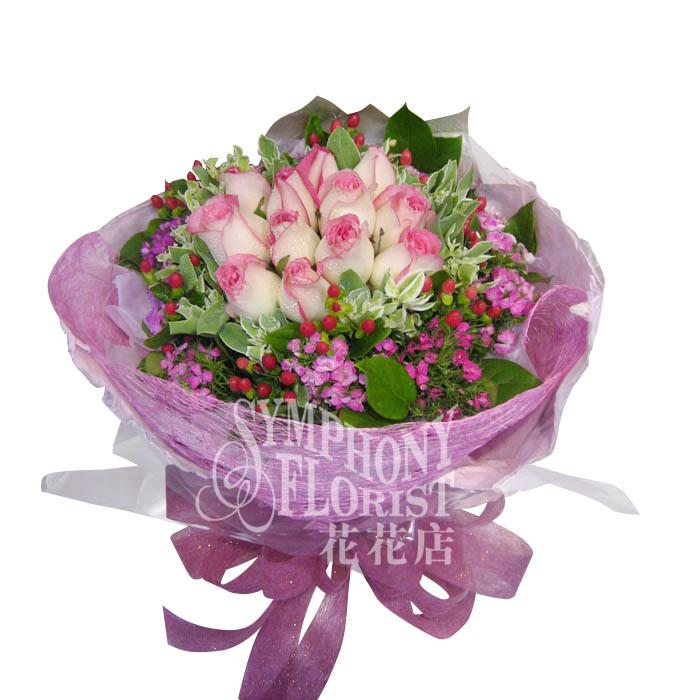 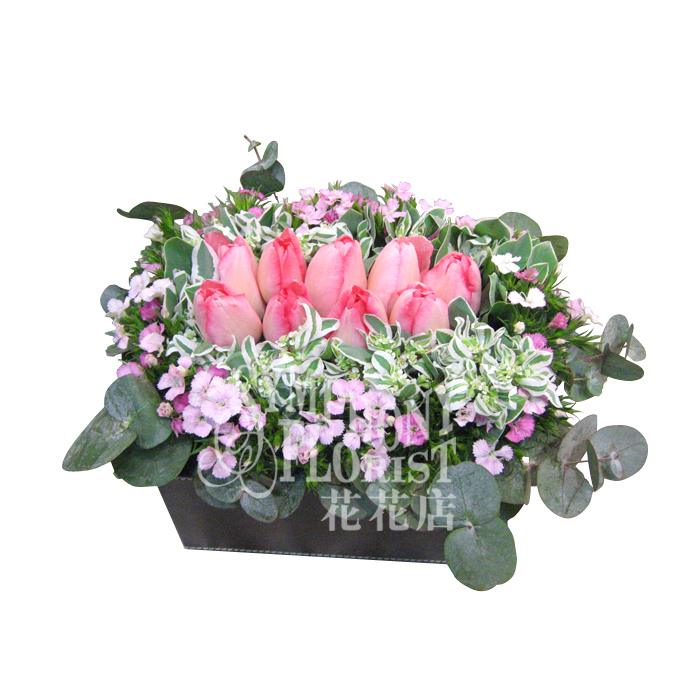 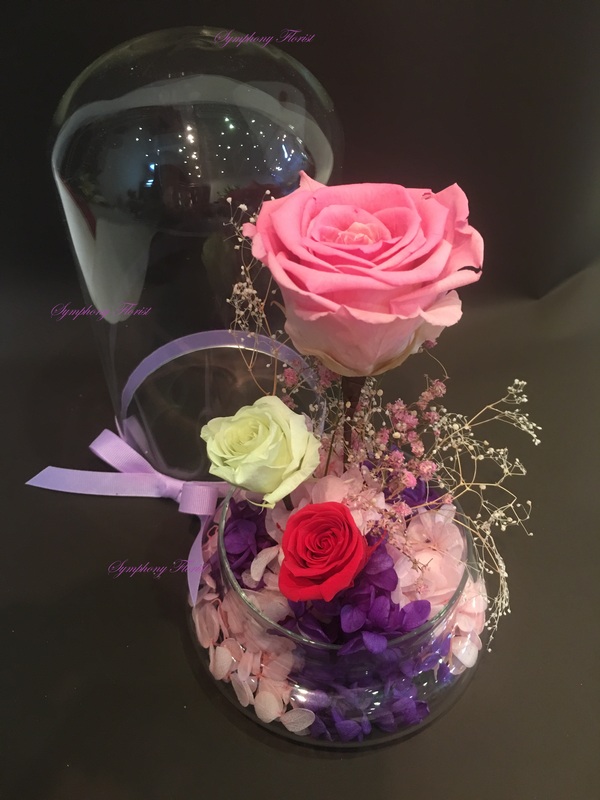 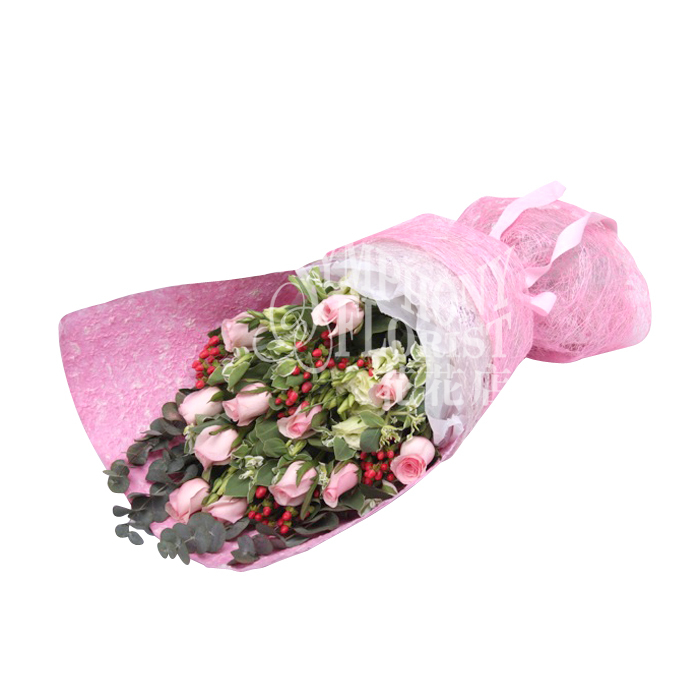 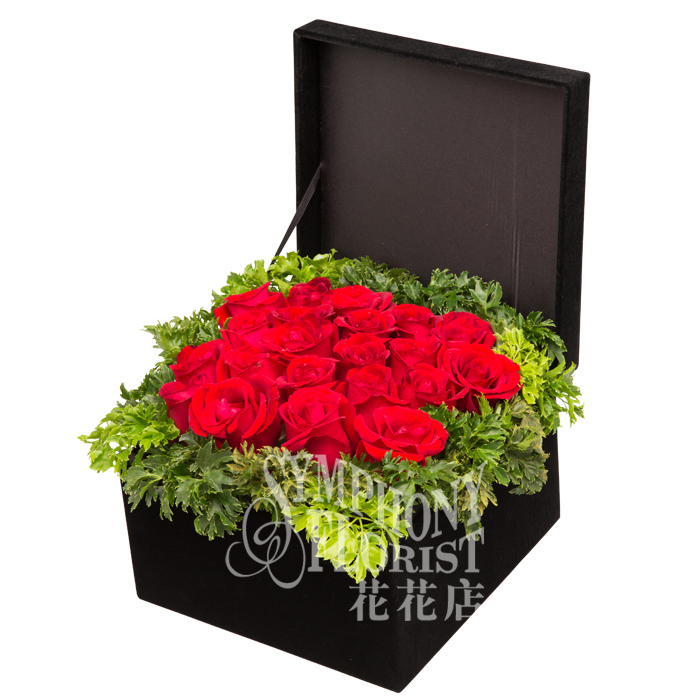 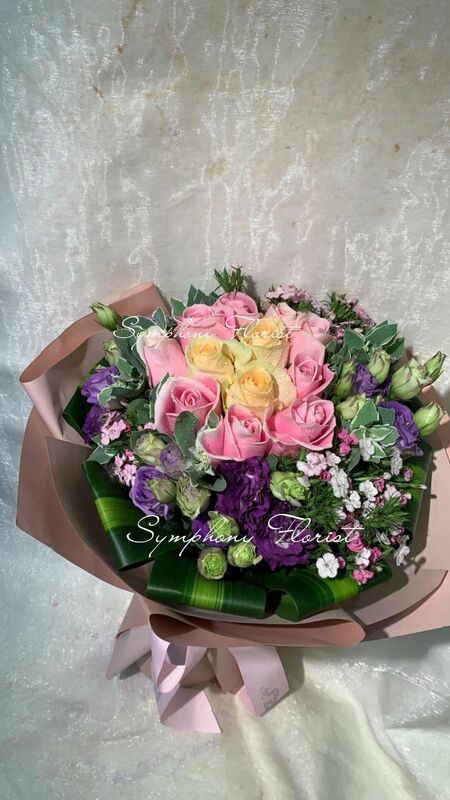 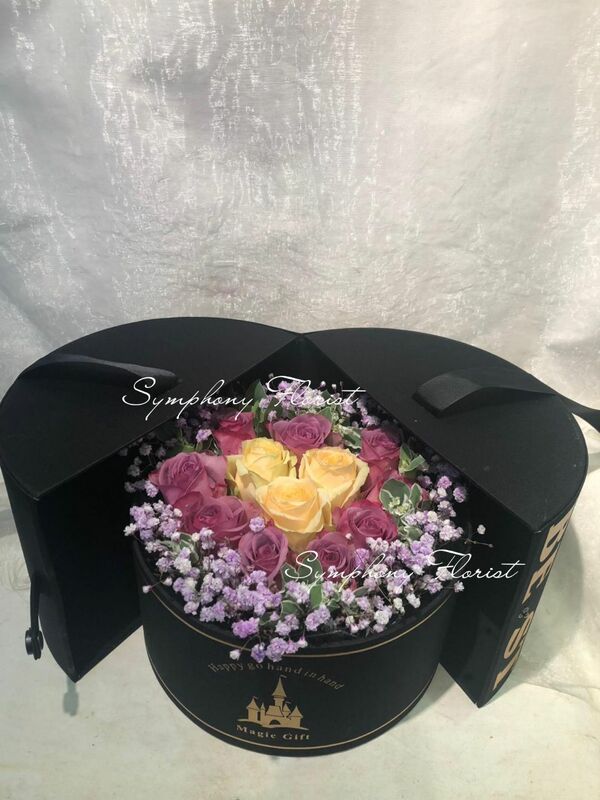 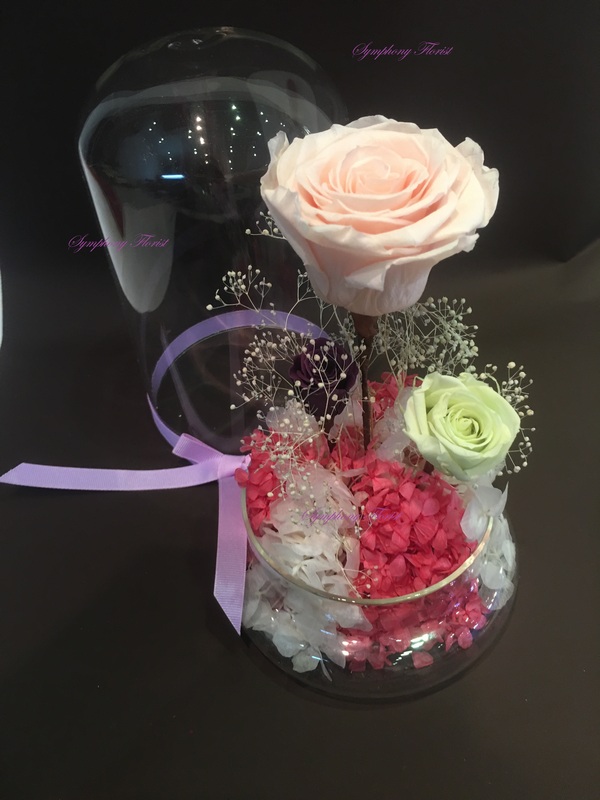 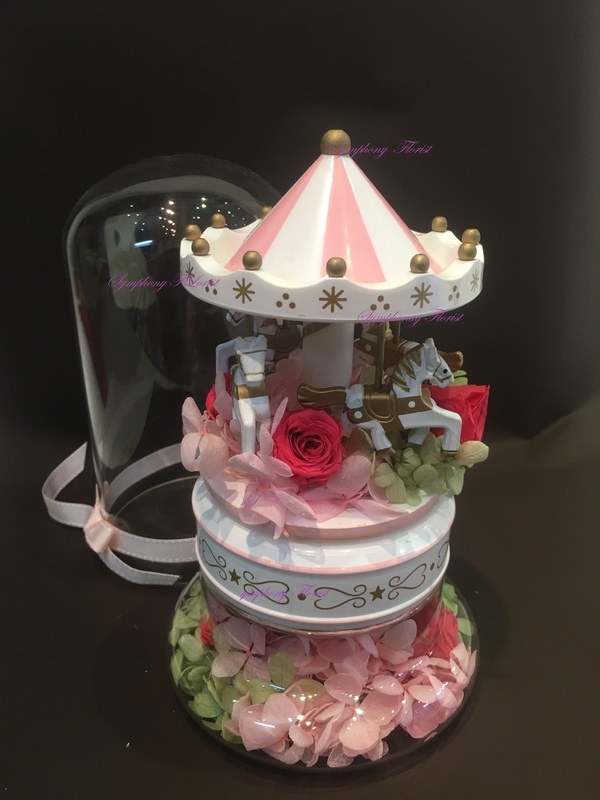 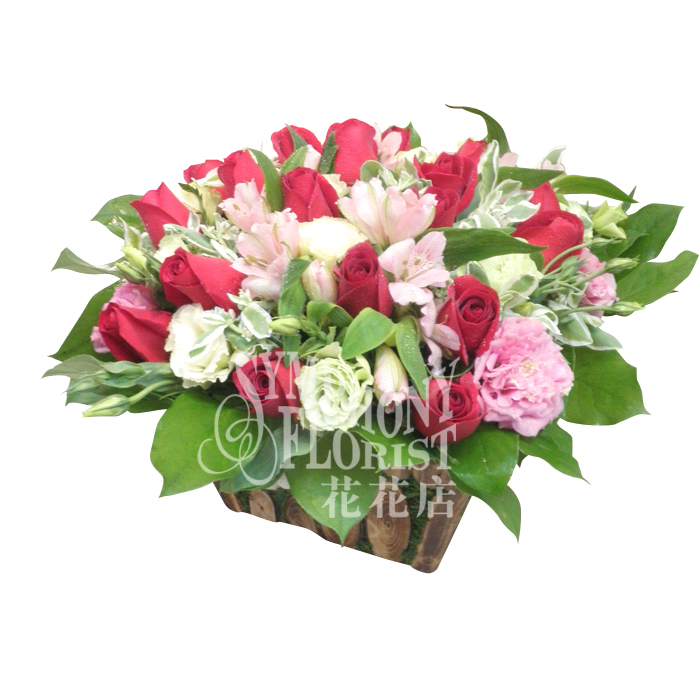 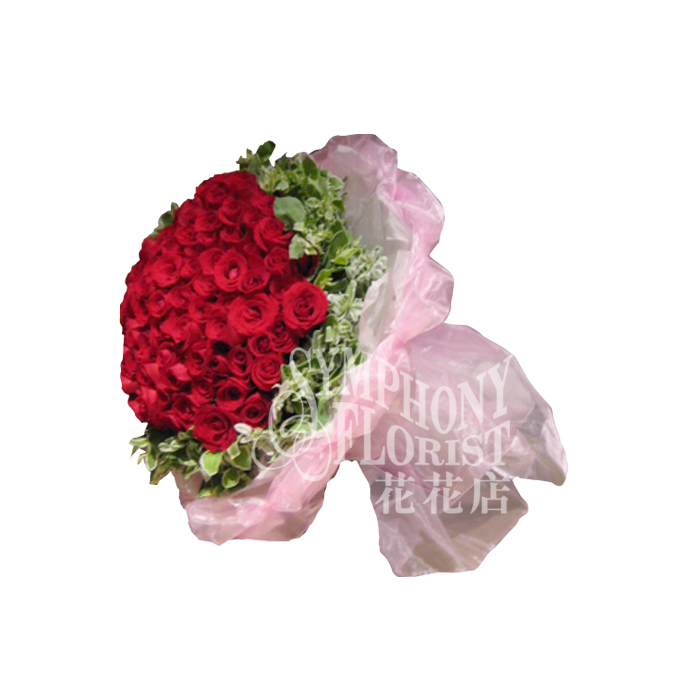 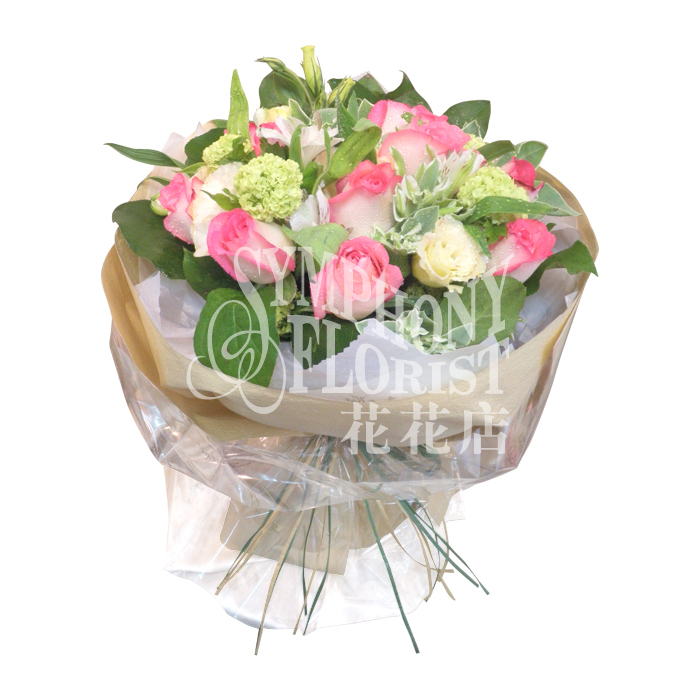 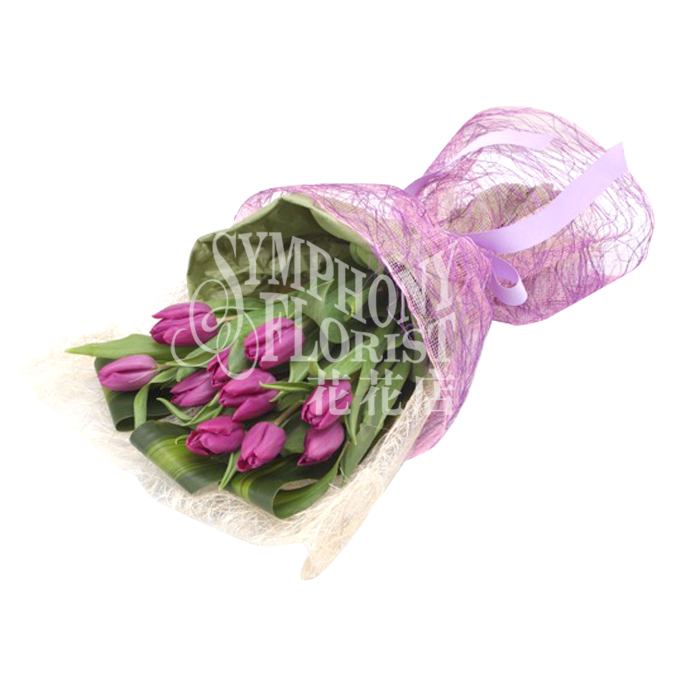 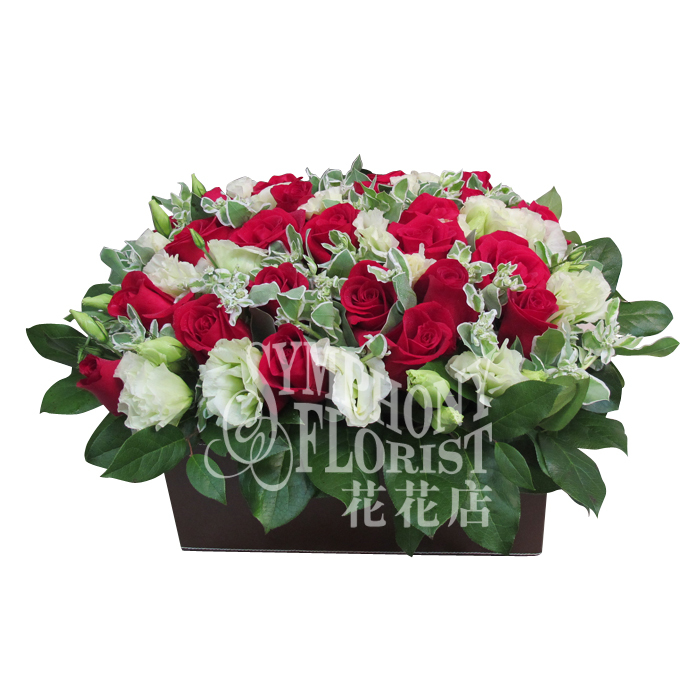 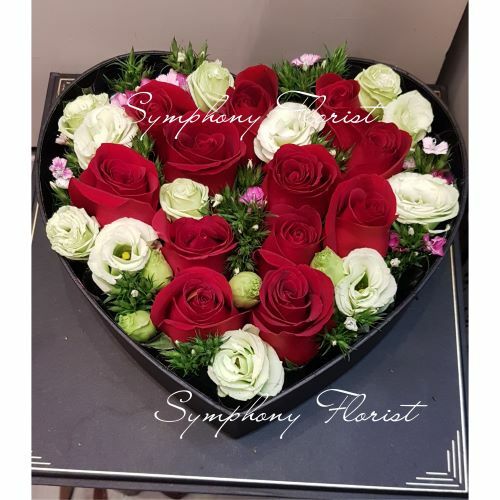 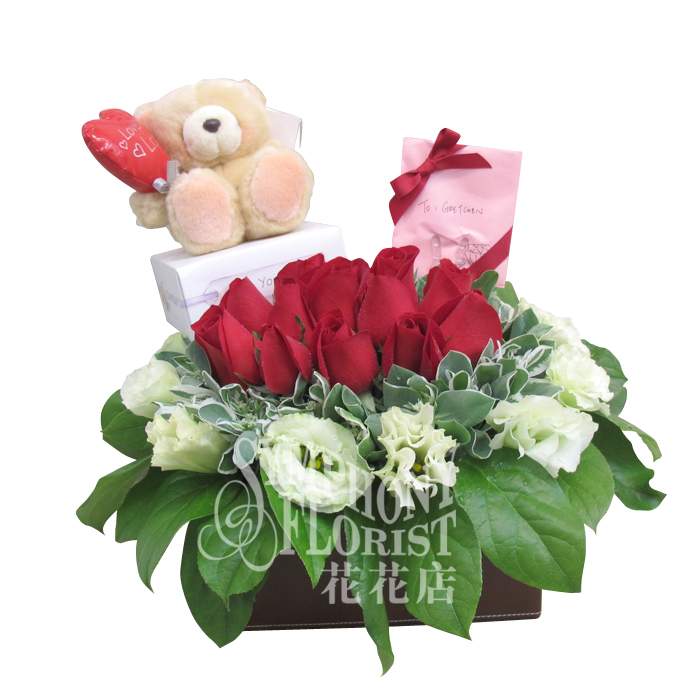 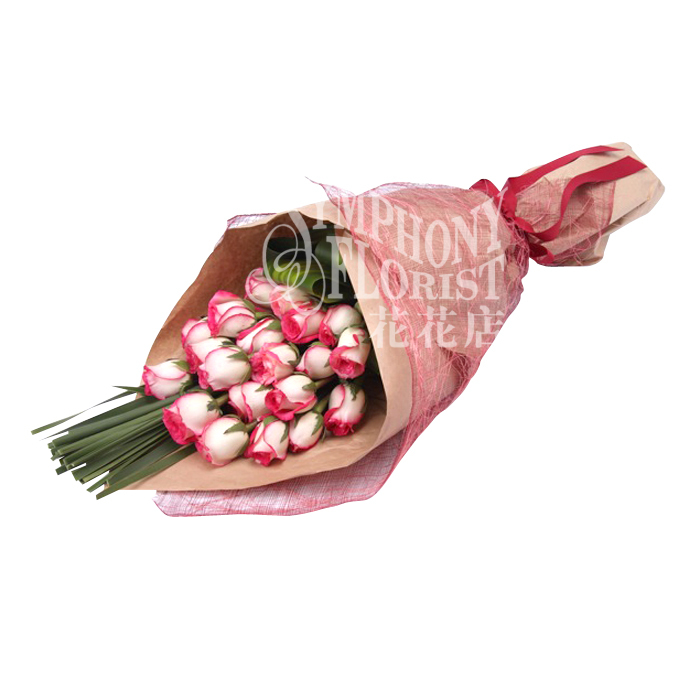 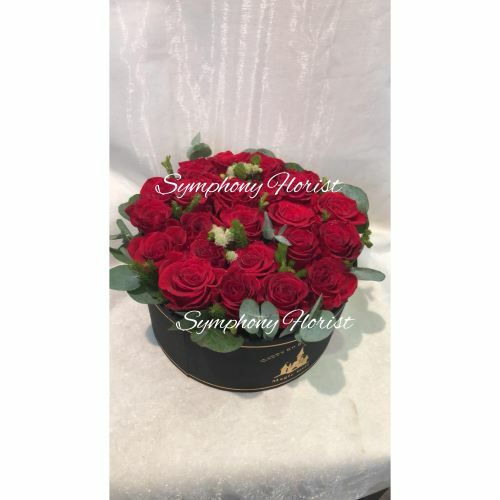 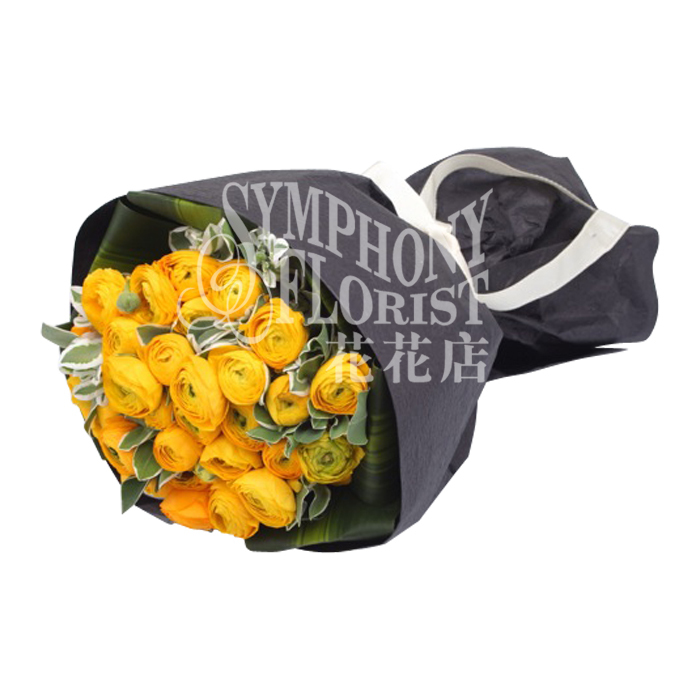 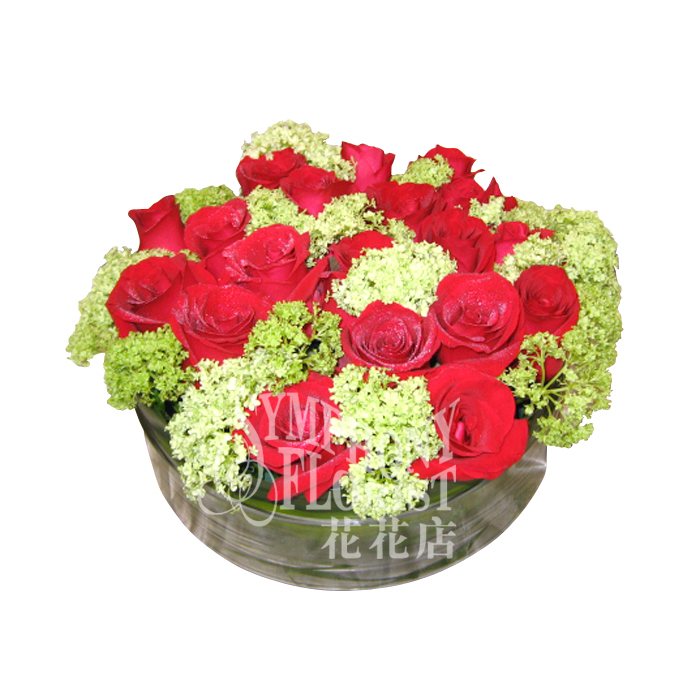 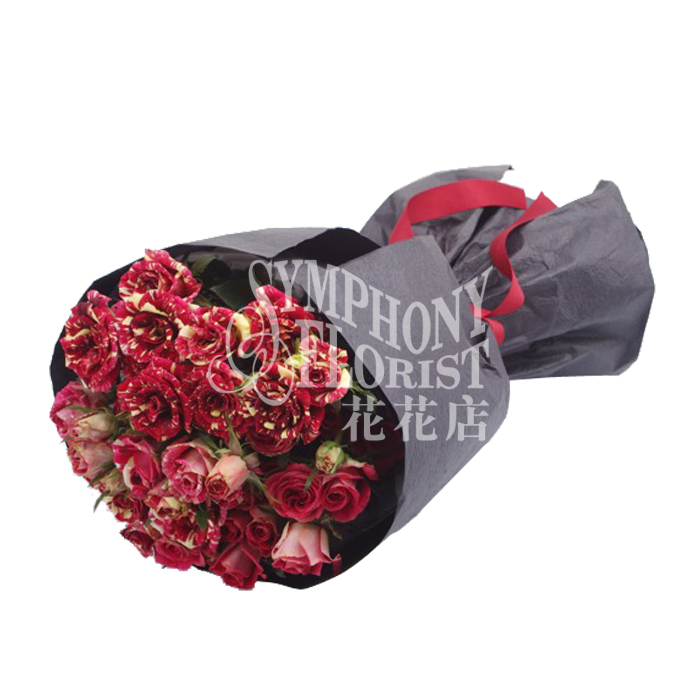 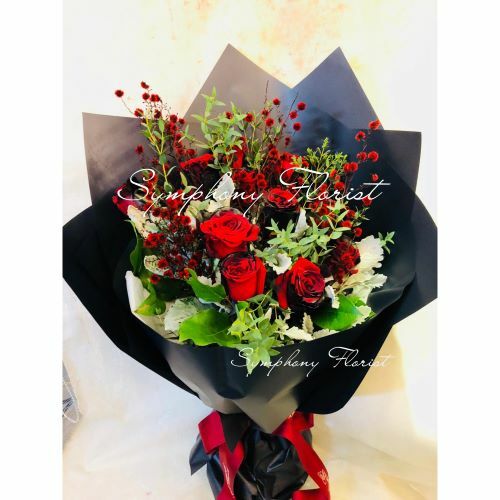 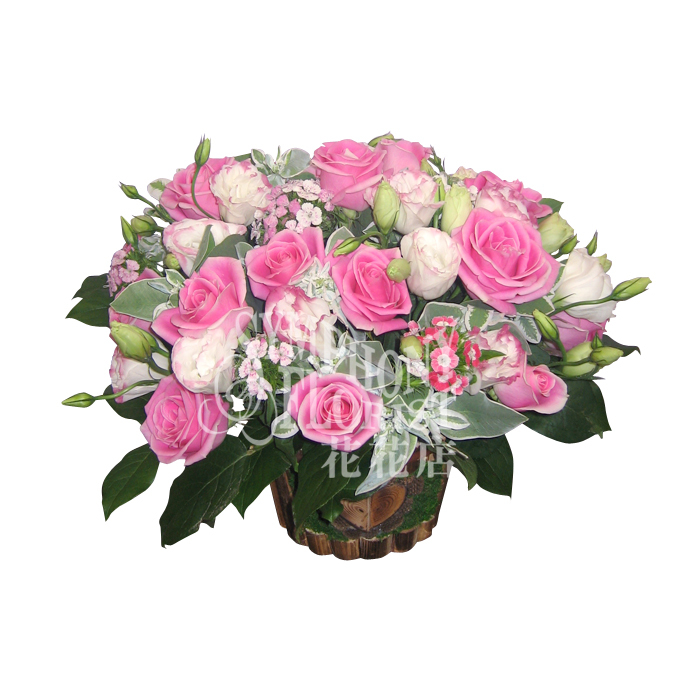 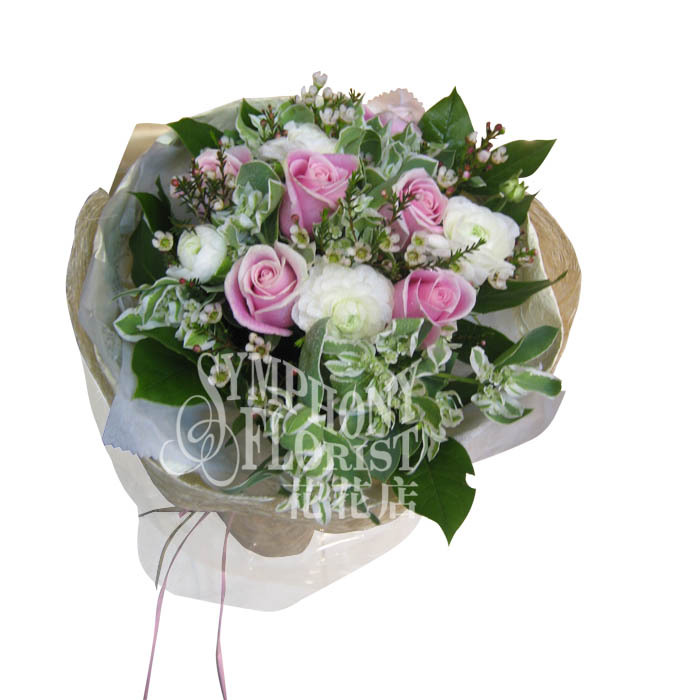 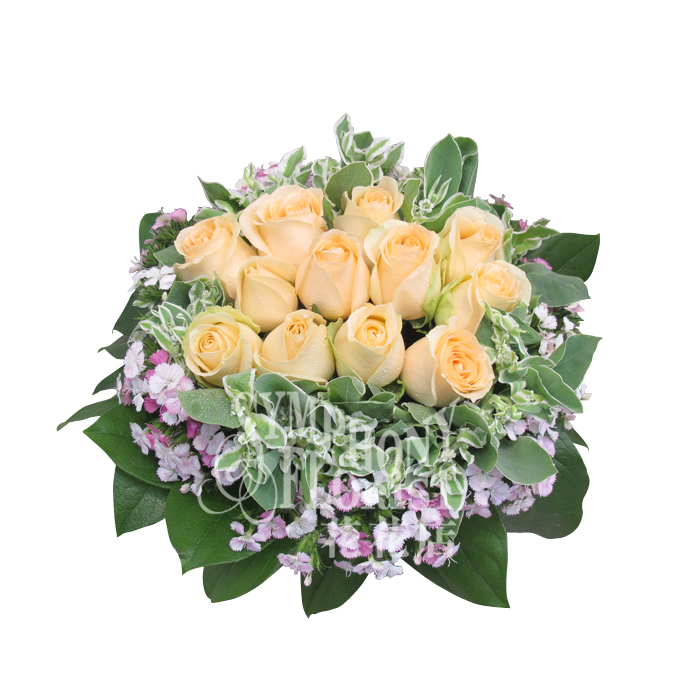 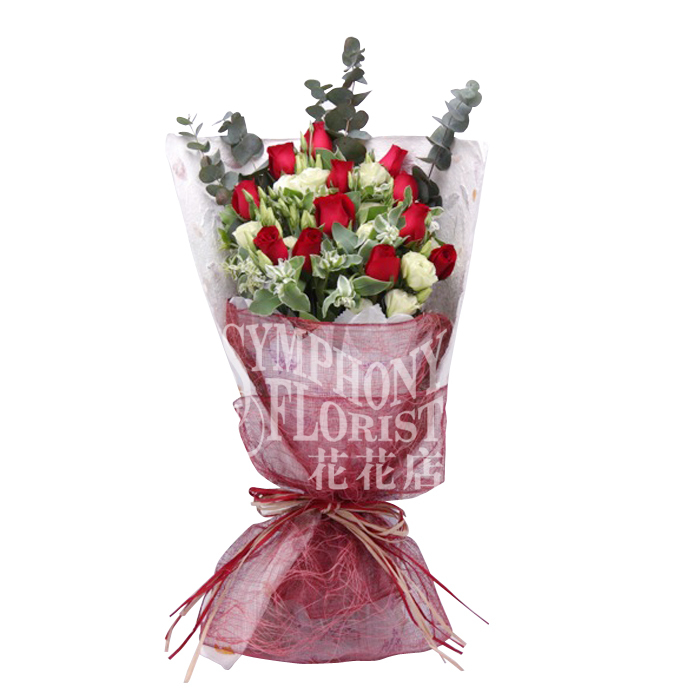 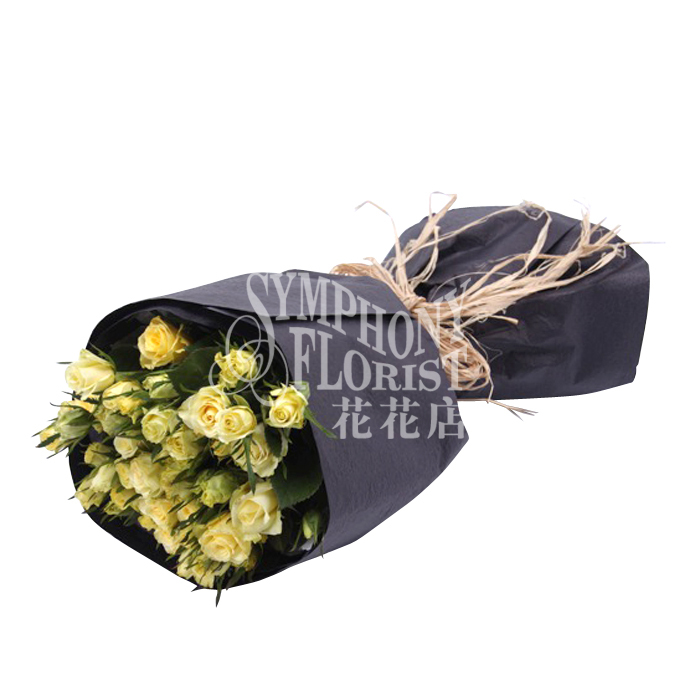 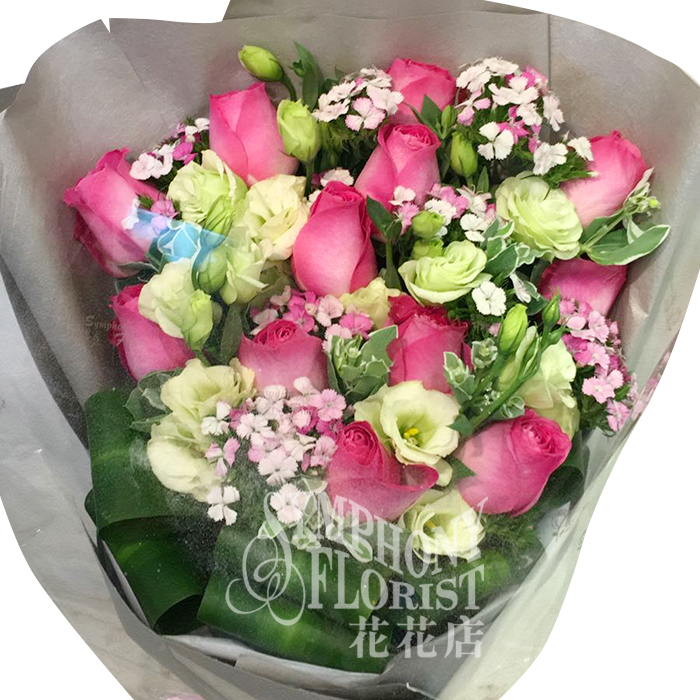 Description: 18pcs Roses, Eustoma, Dianthus, Euphorbia & Greenery flower basket. 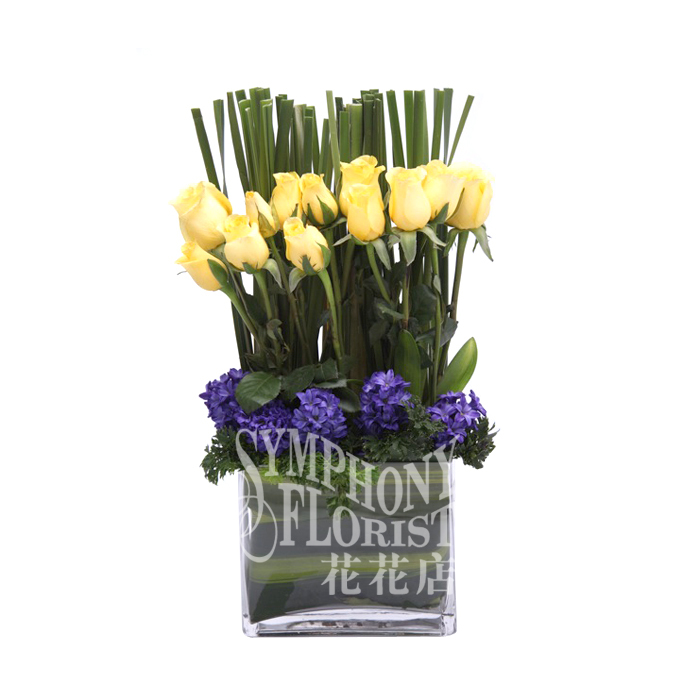 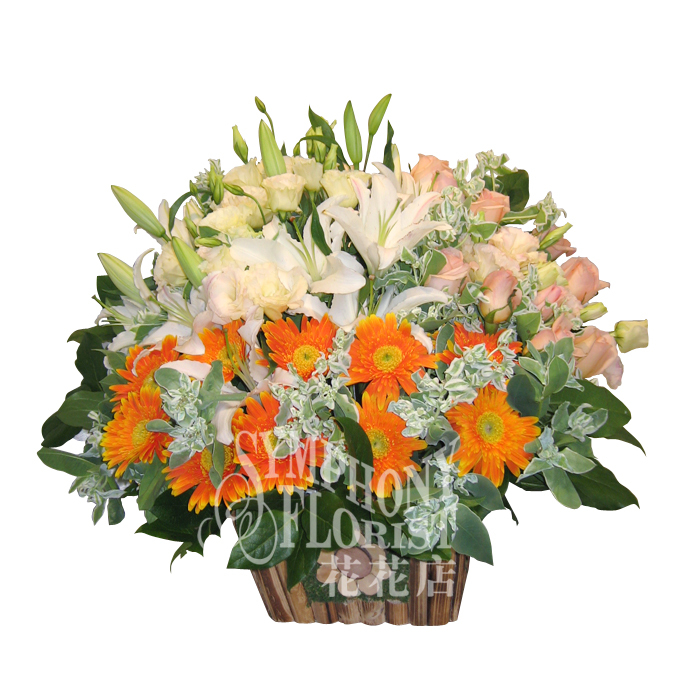 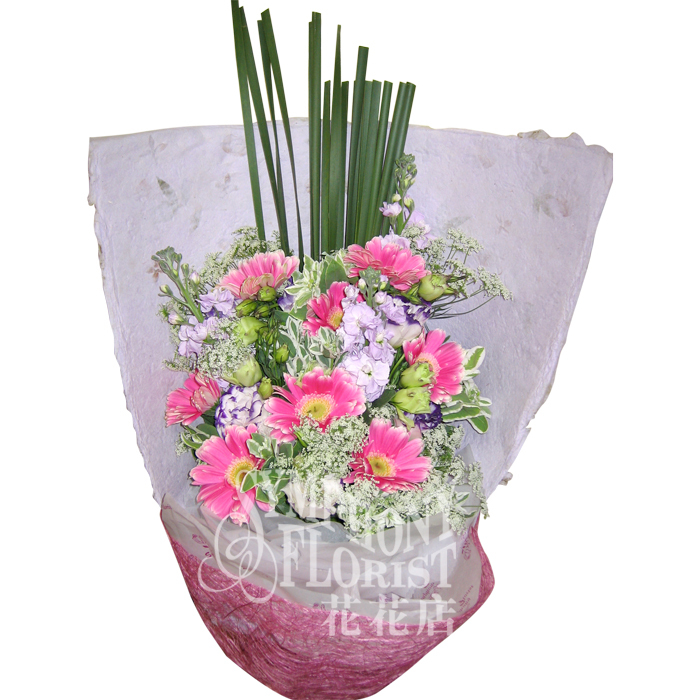 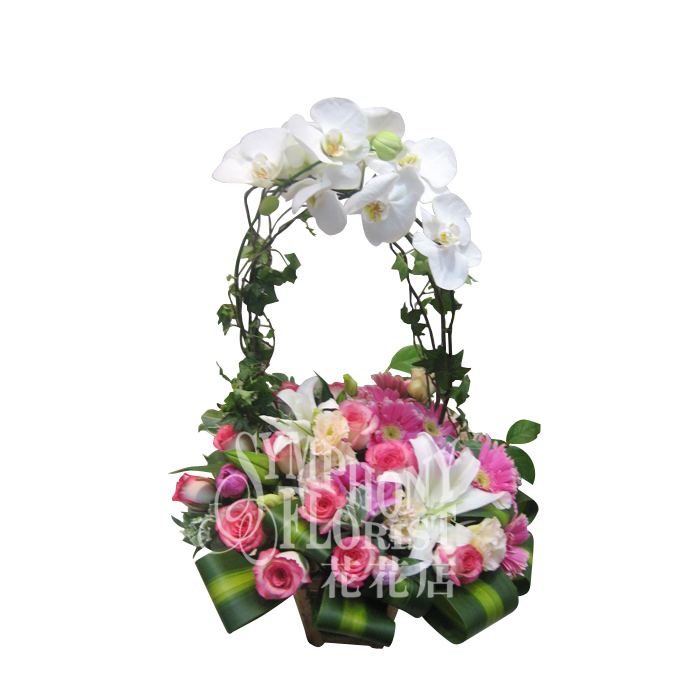 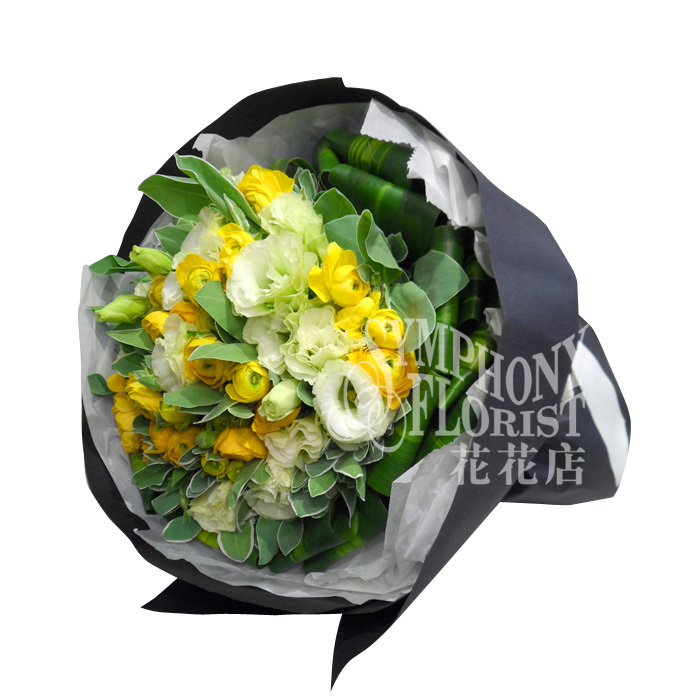 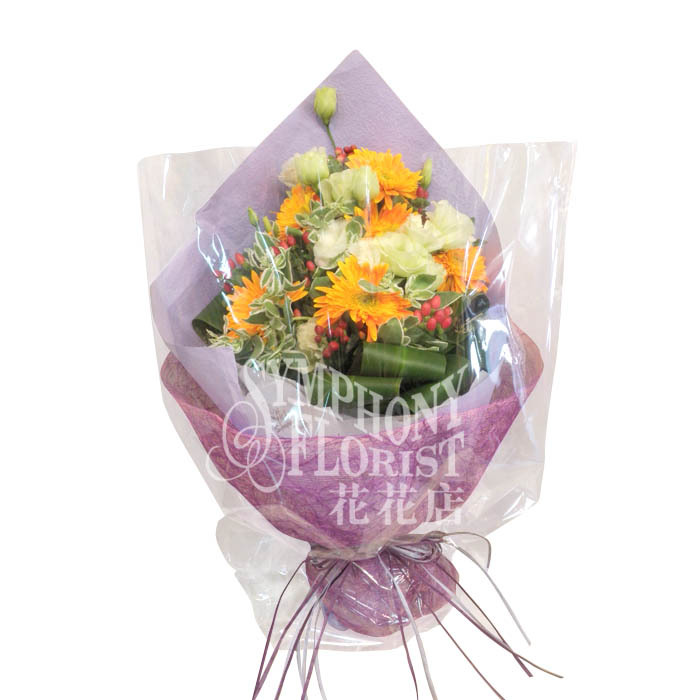 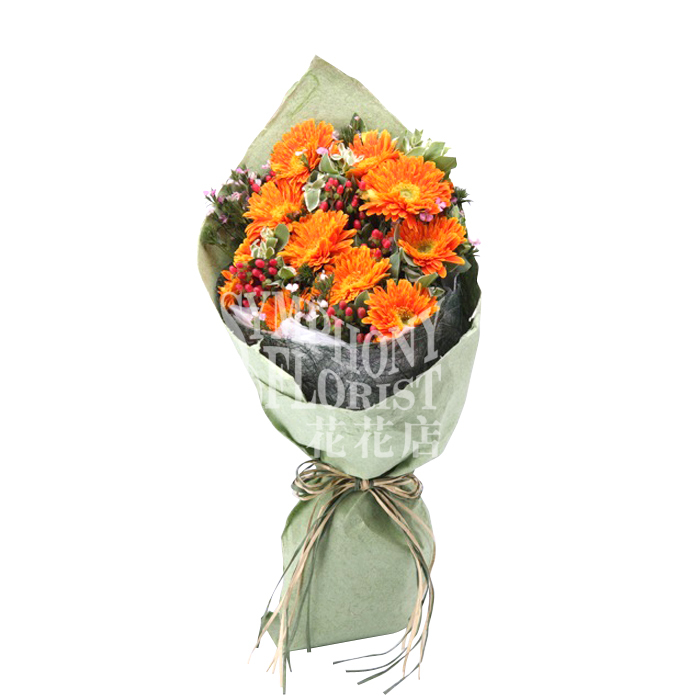 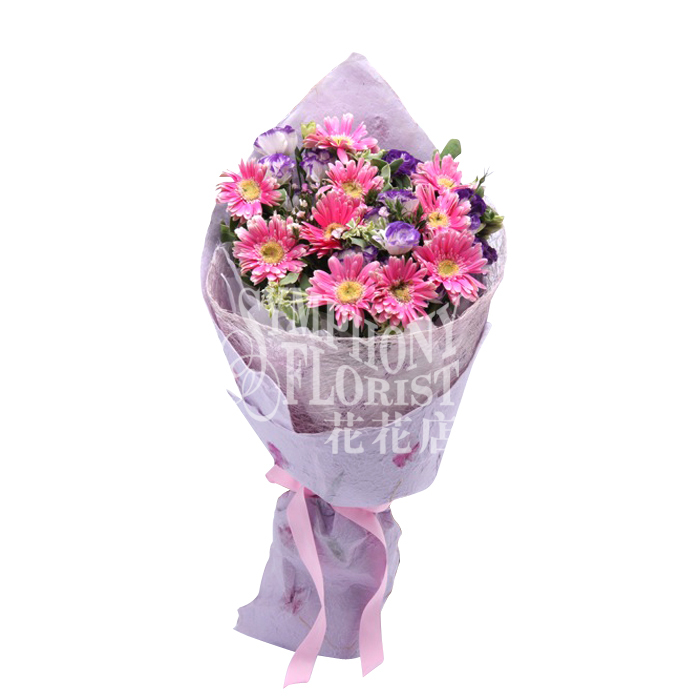 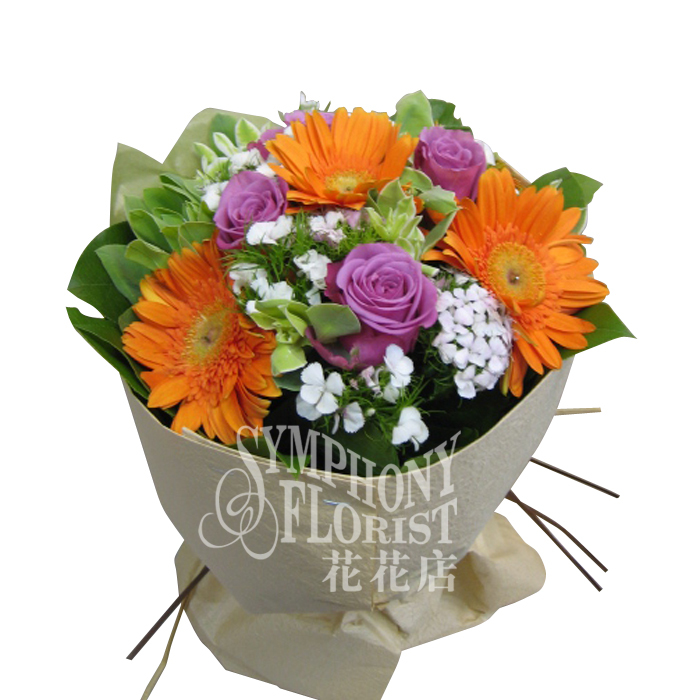 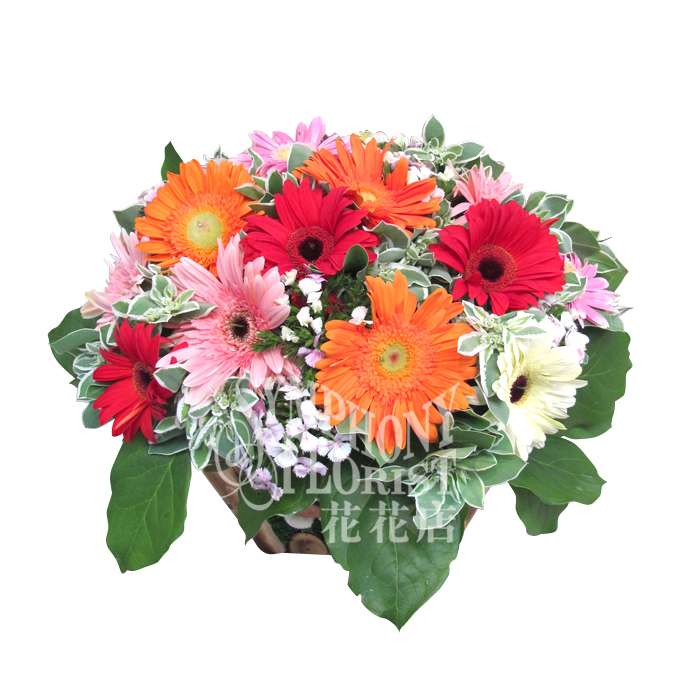 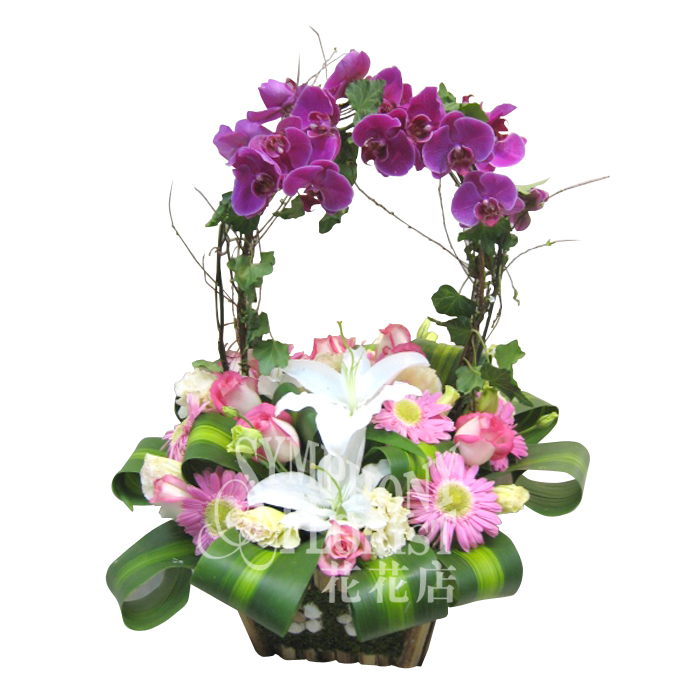 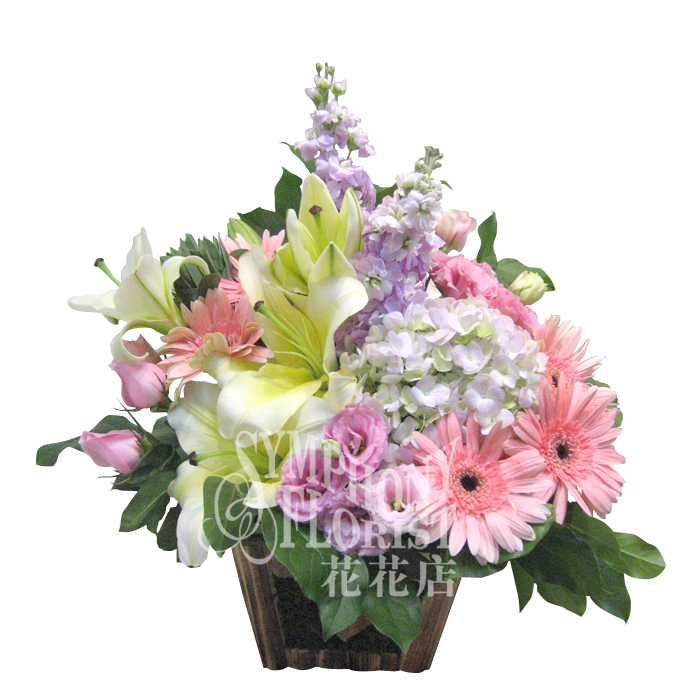 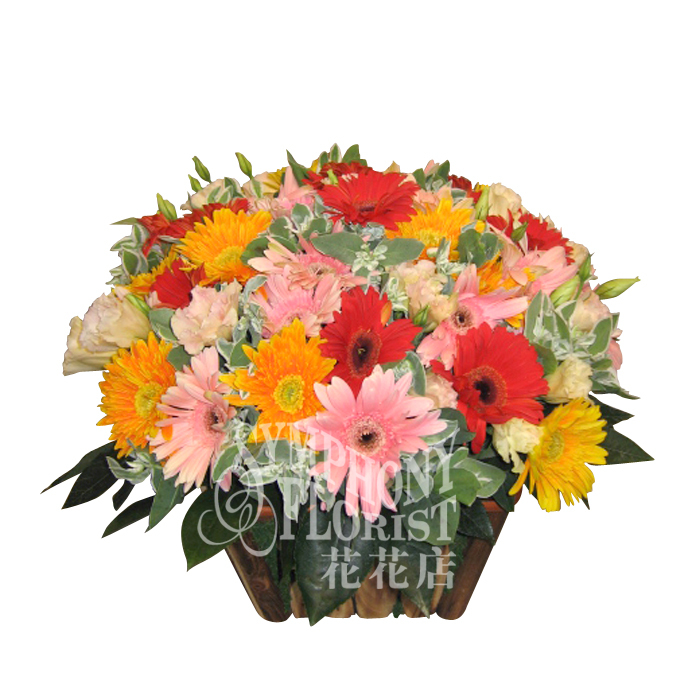 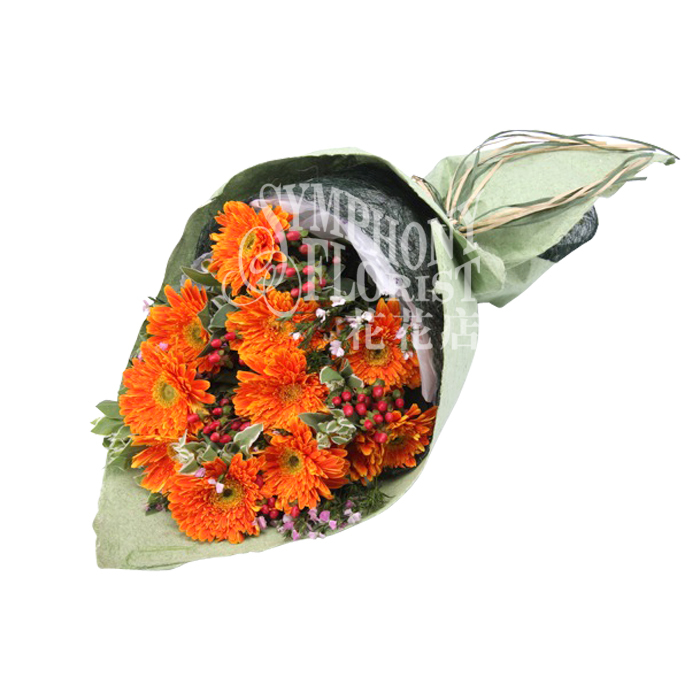 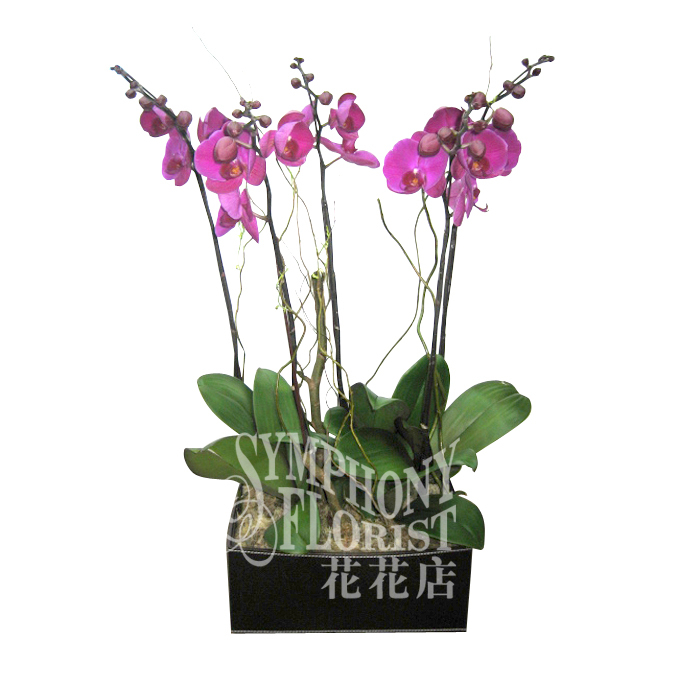 Description: 12pcs Gerbera, Freesia, Eustoma, Euphorbia & Greenery flower basket. 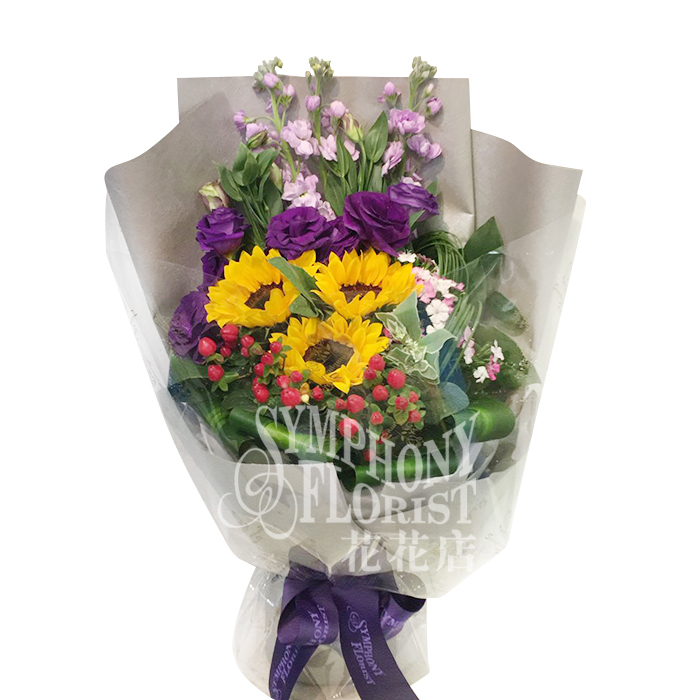 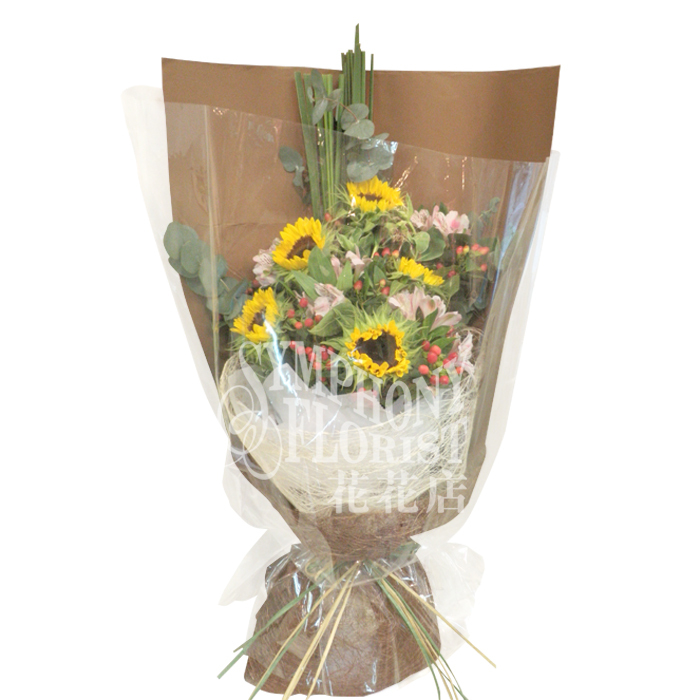 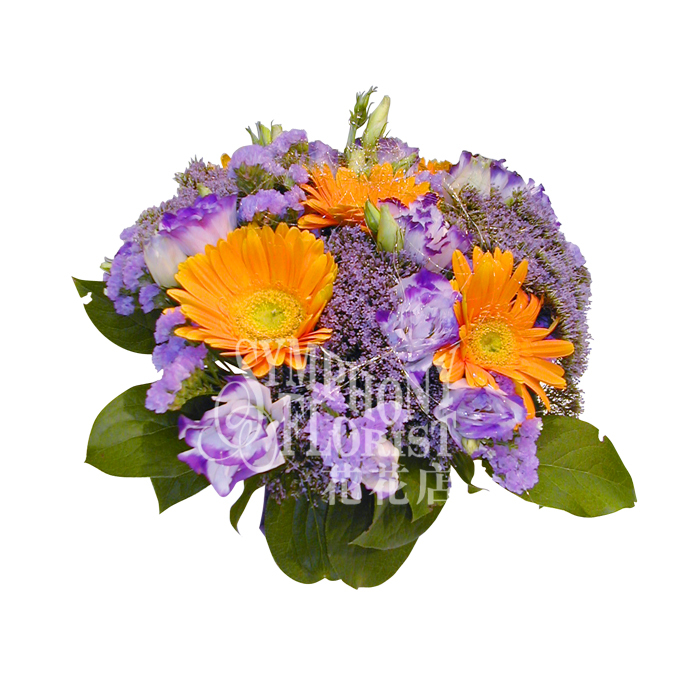 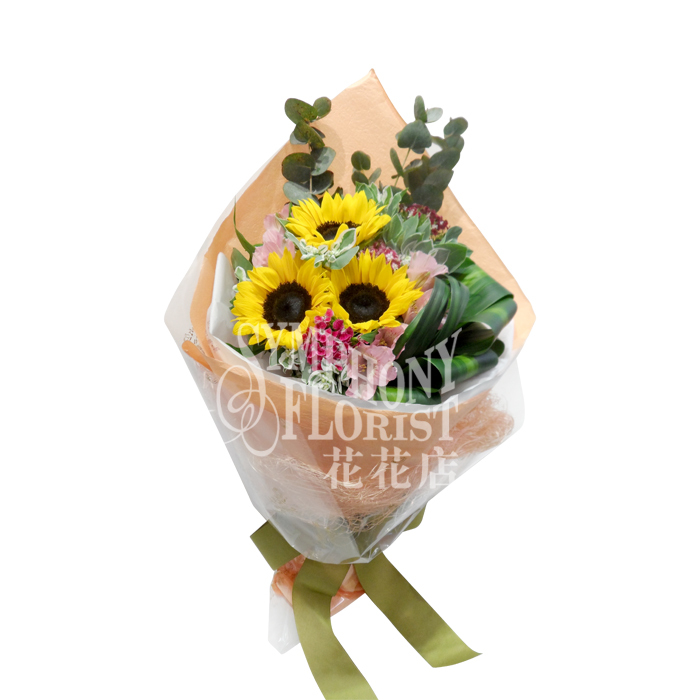 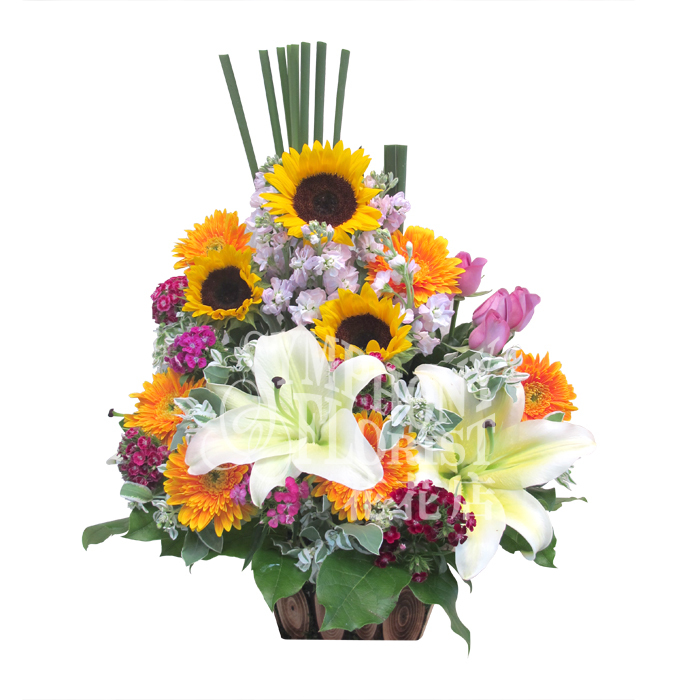 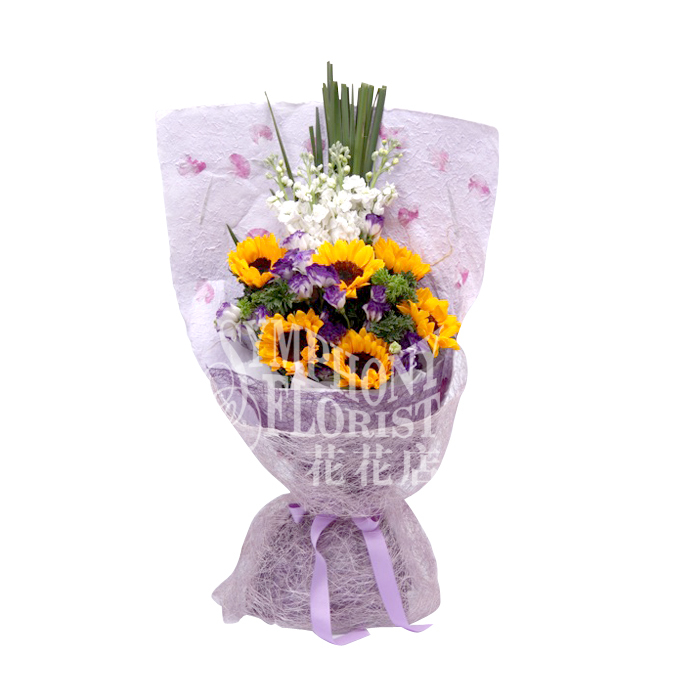 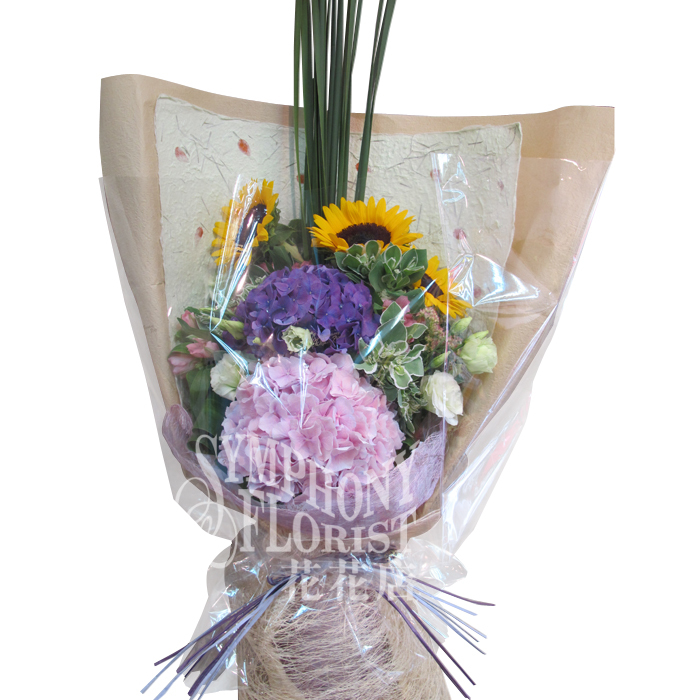 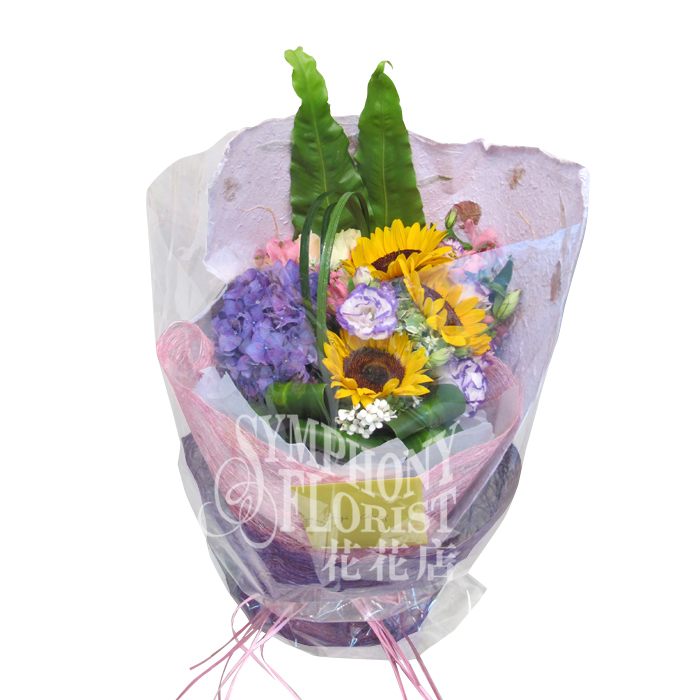 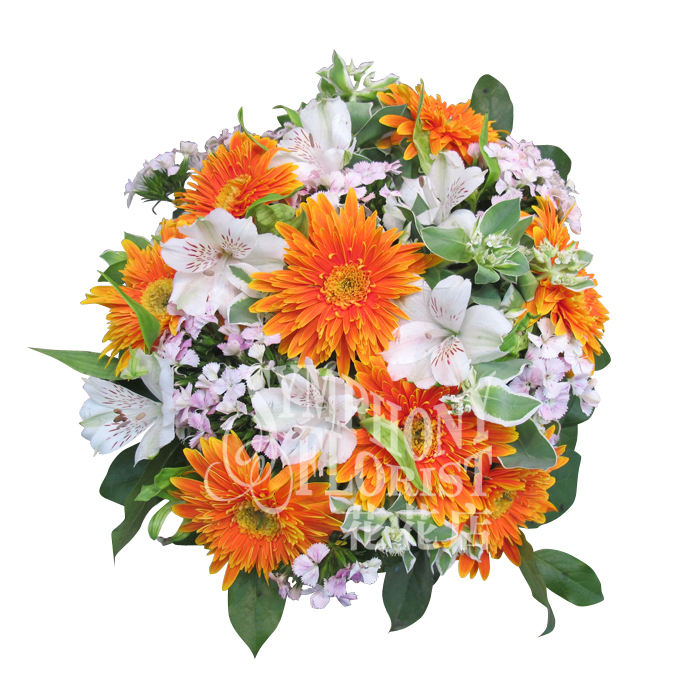 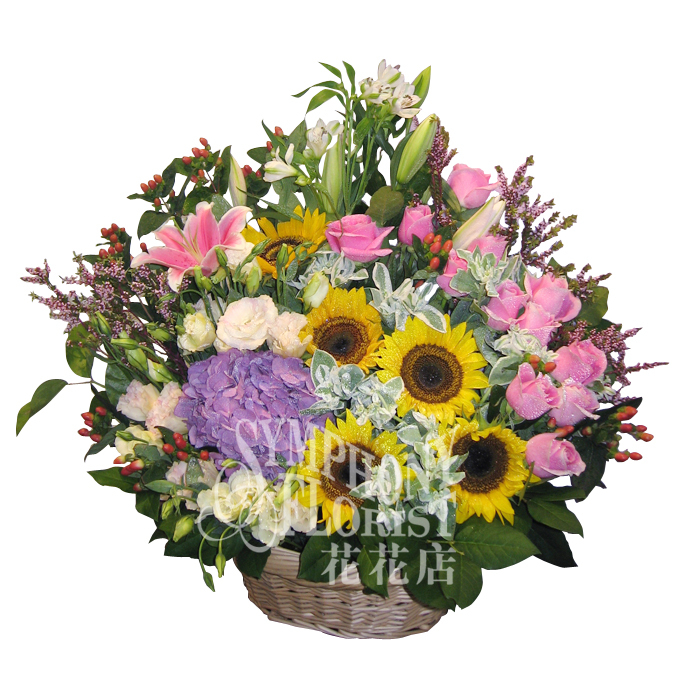 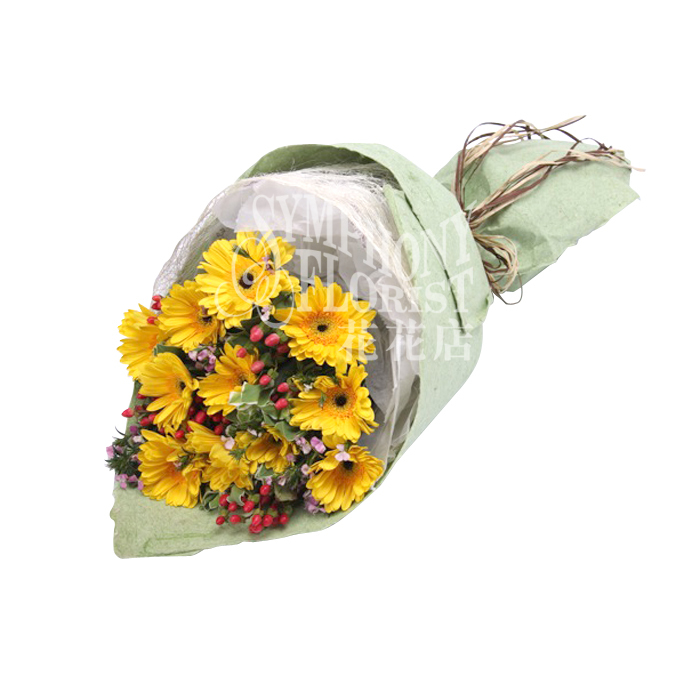 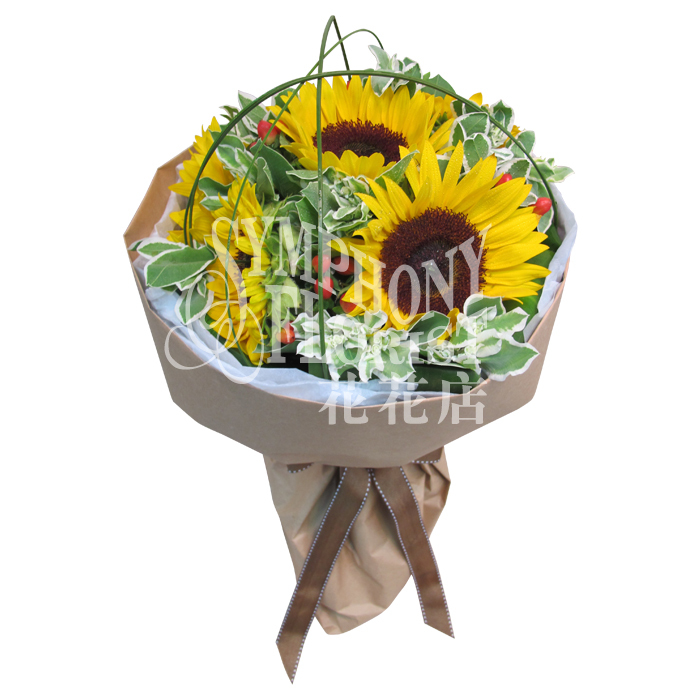 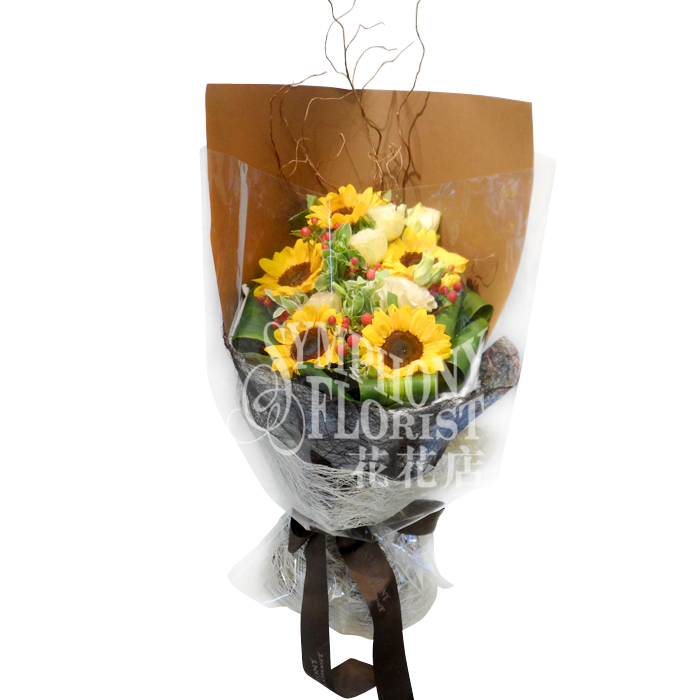 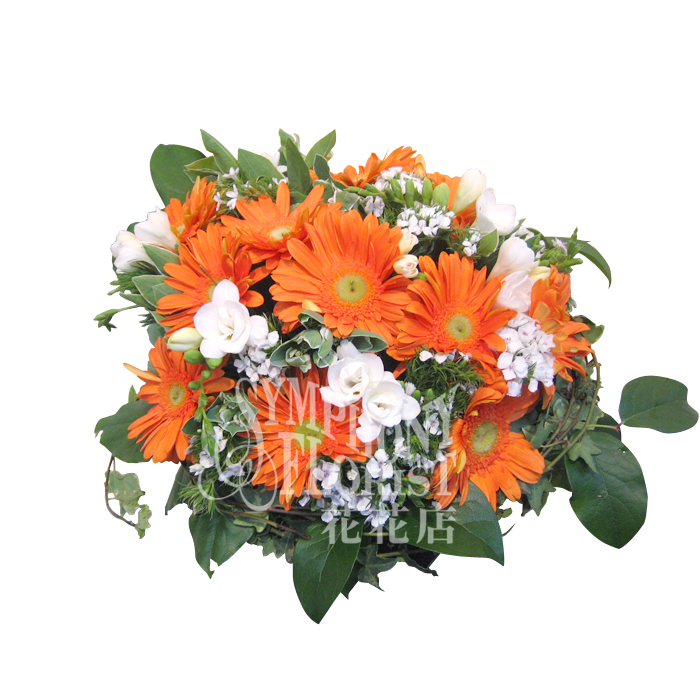 Description: Sun flower, Lily, Roses, Gerbera, Matthiola, Diathus & Greenery flower basket. 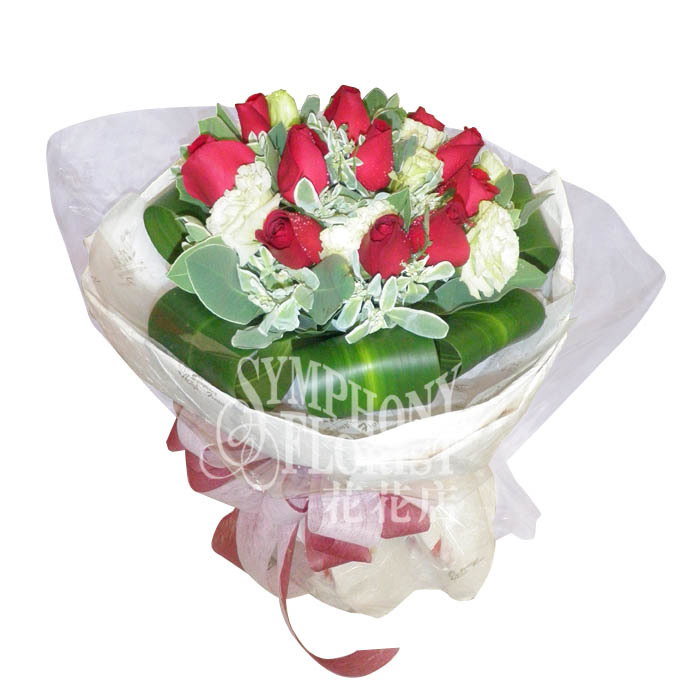 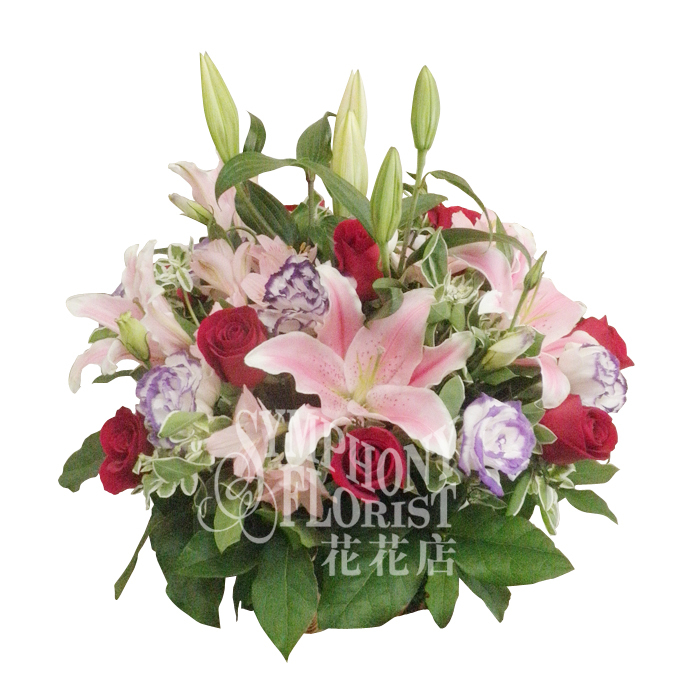 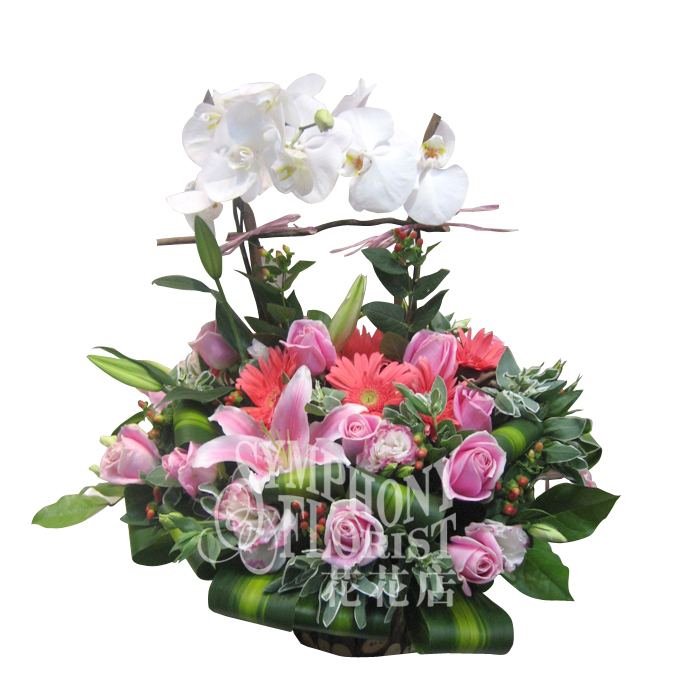 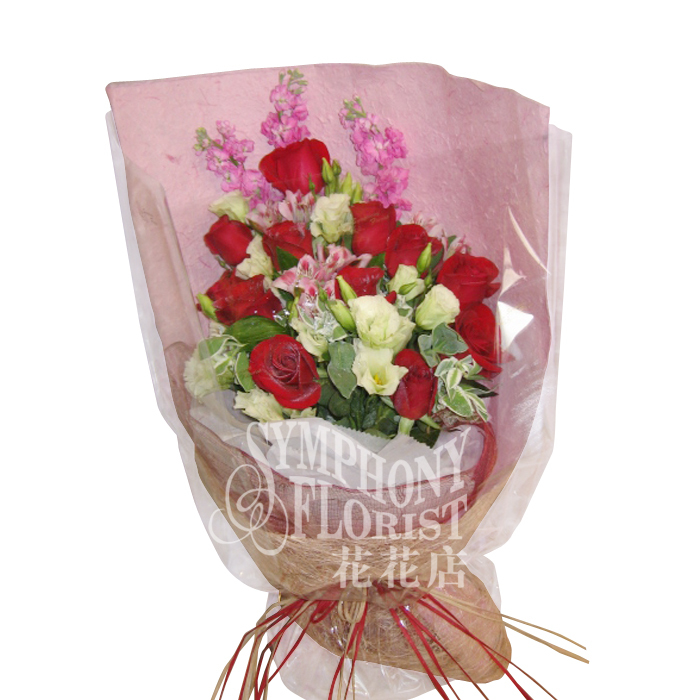 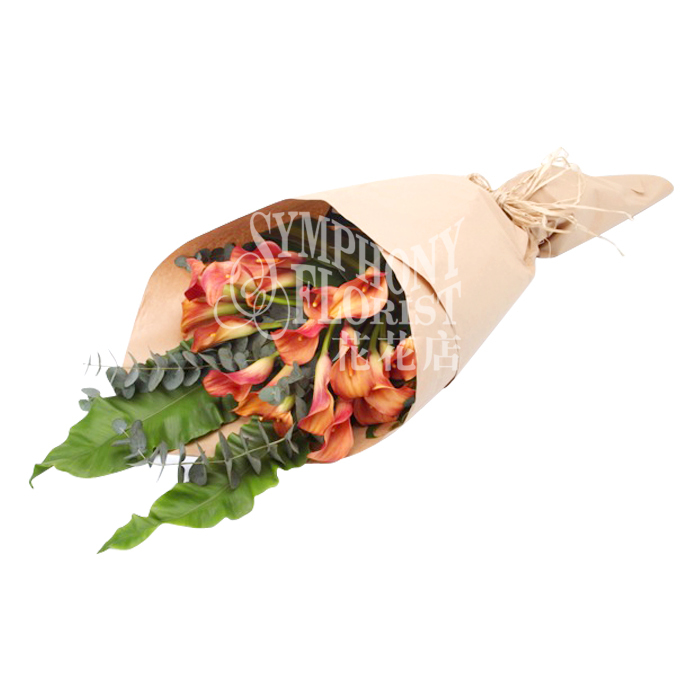 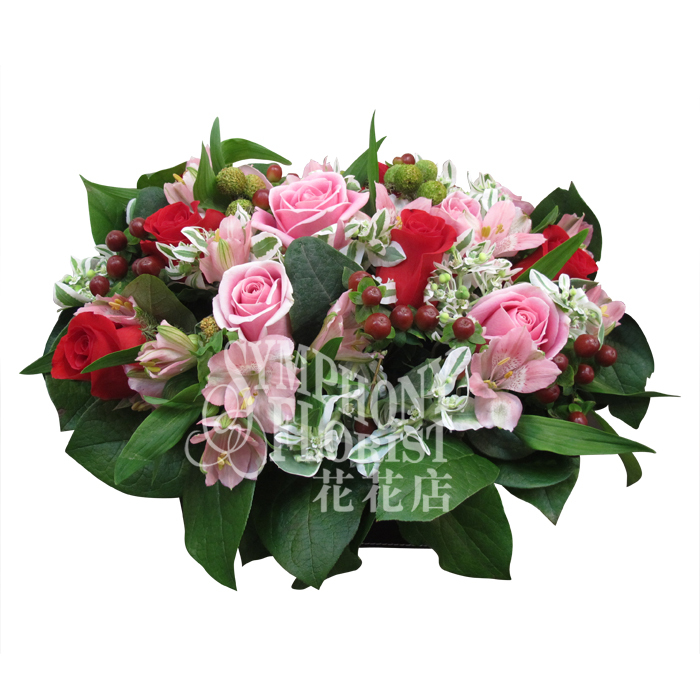 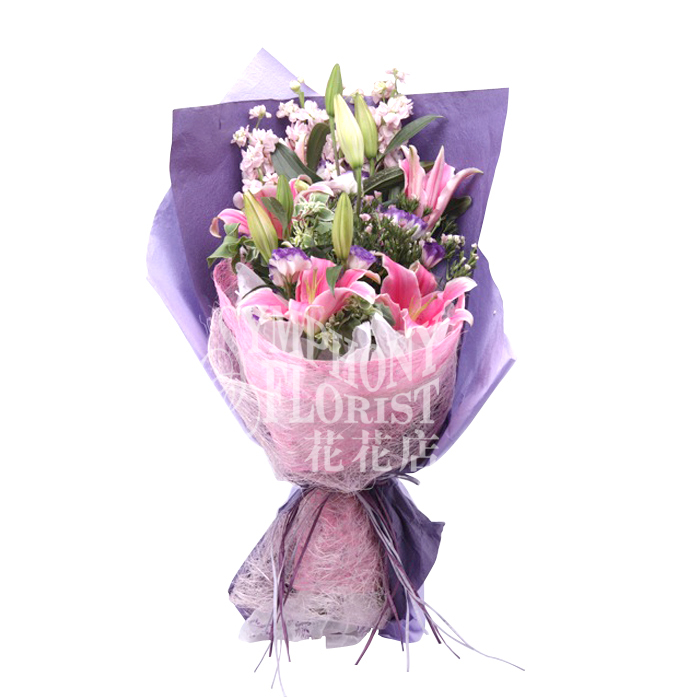 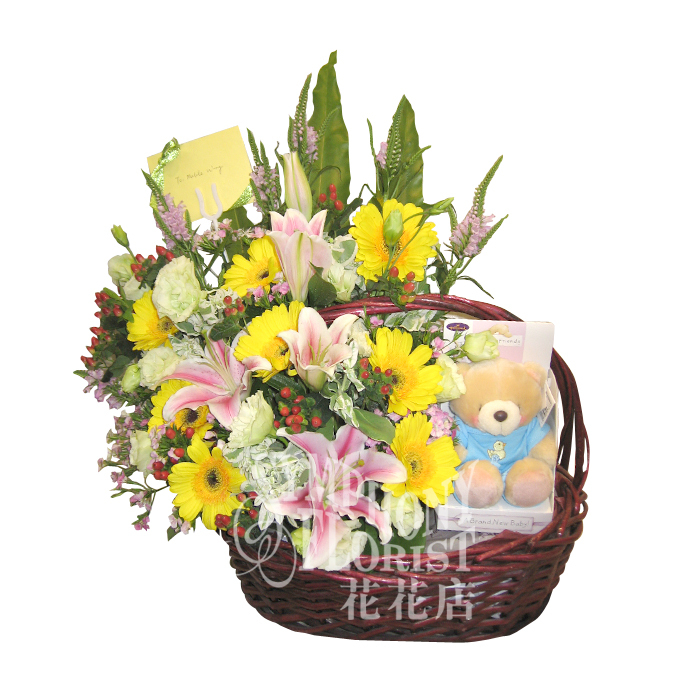 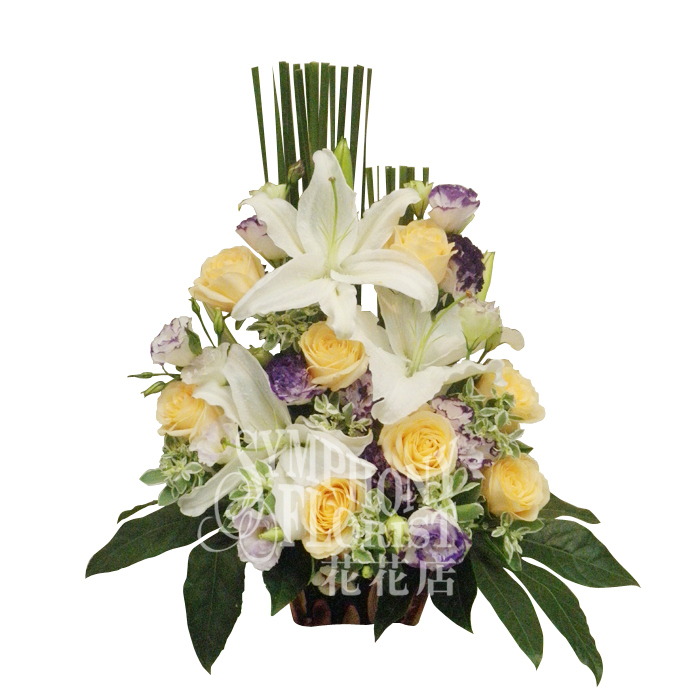 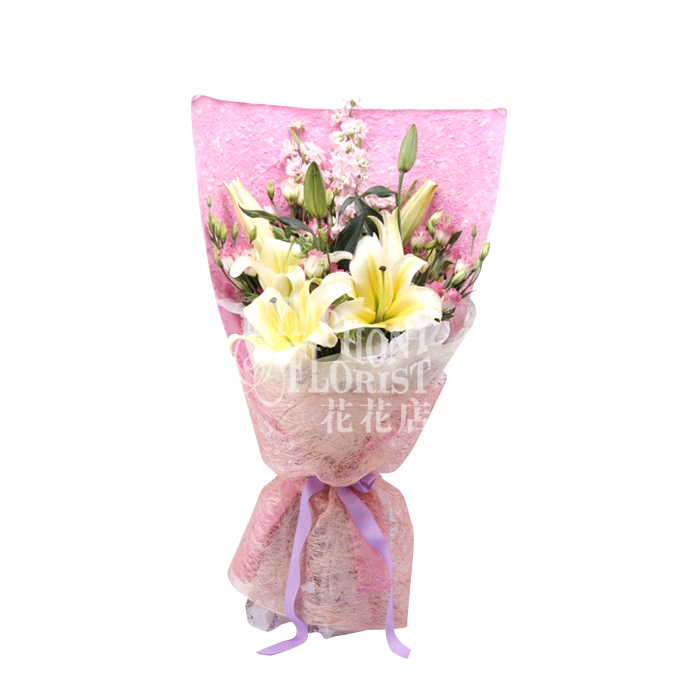 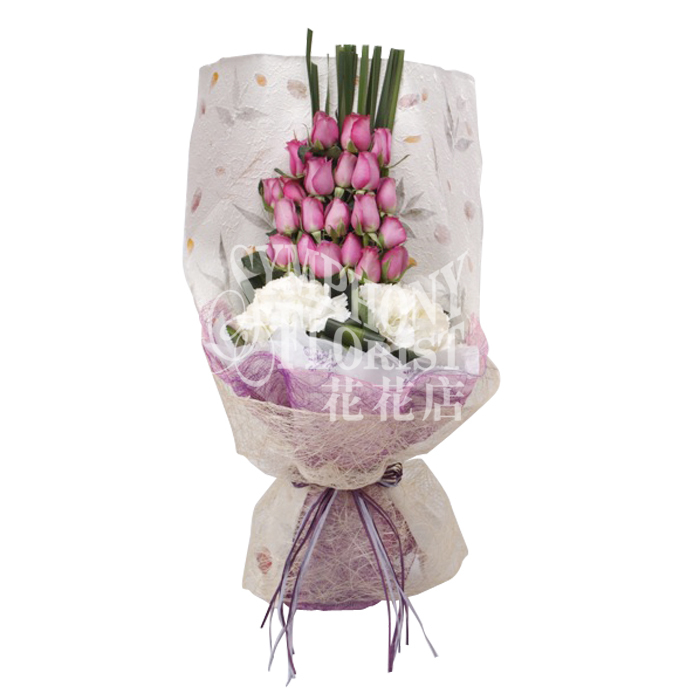 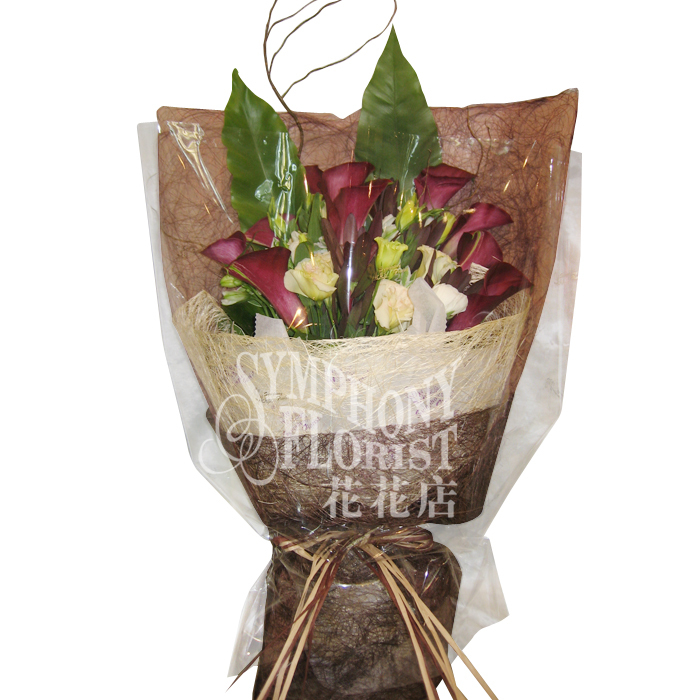 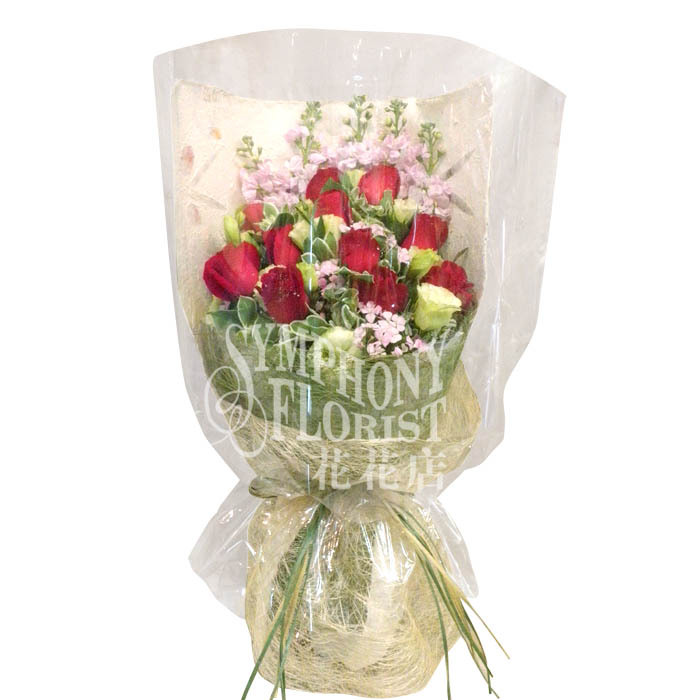 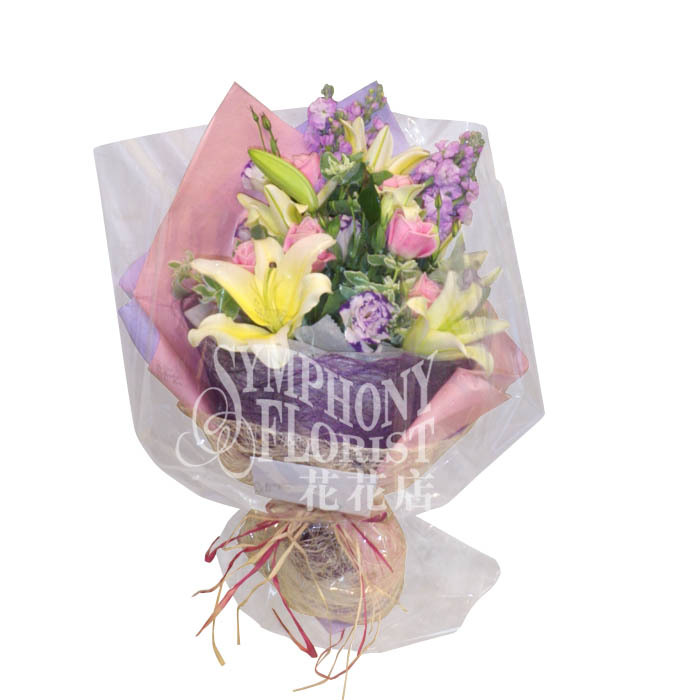 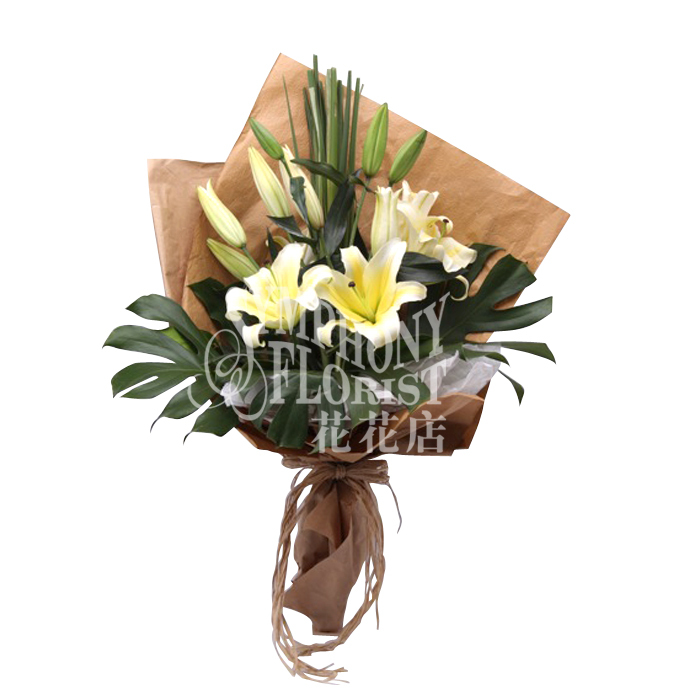 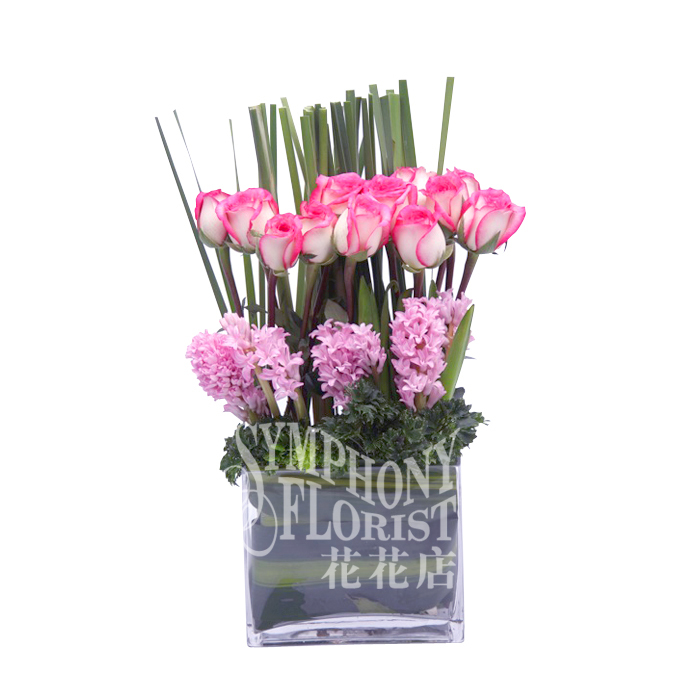 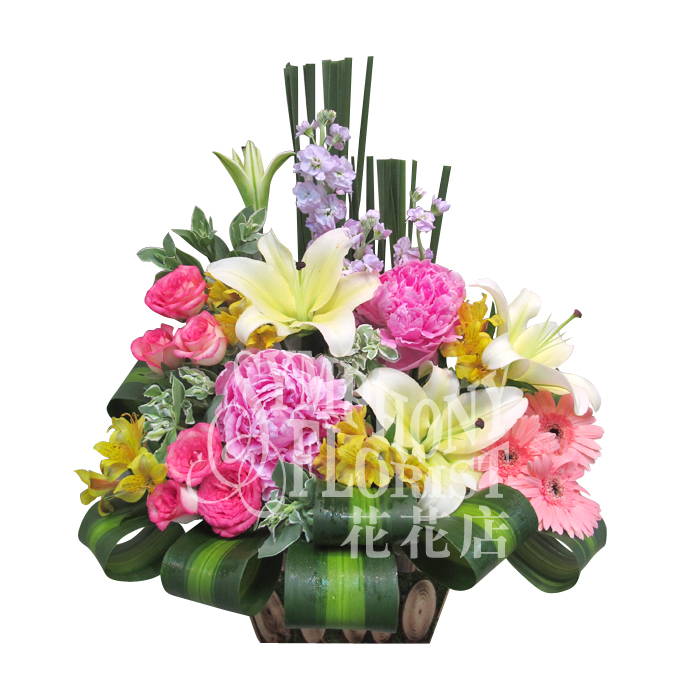 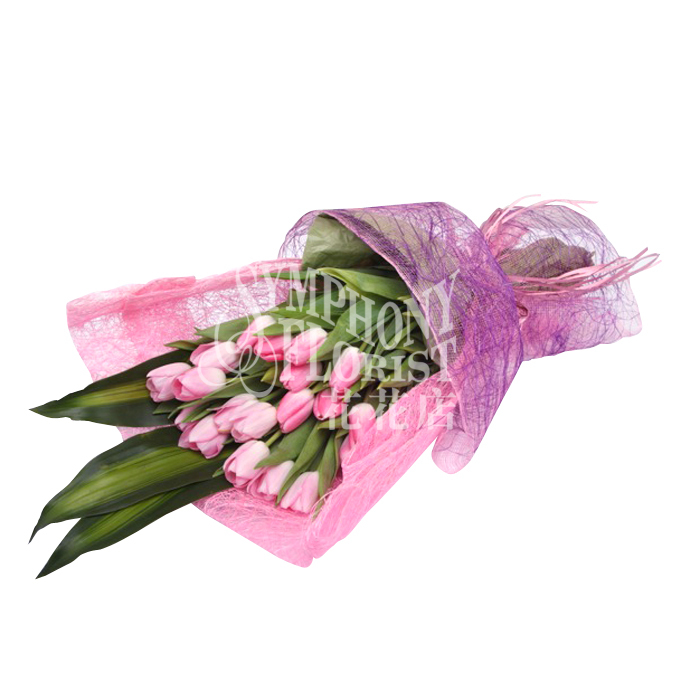 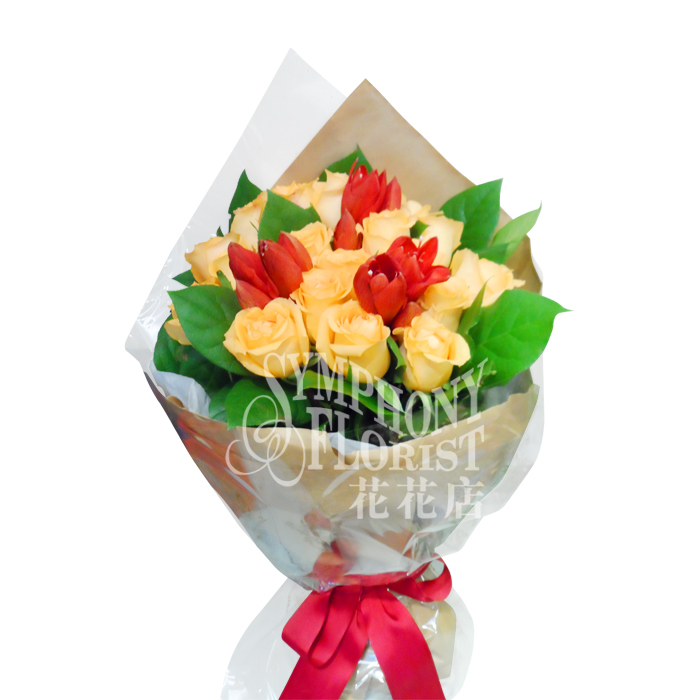 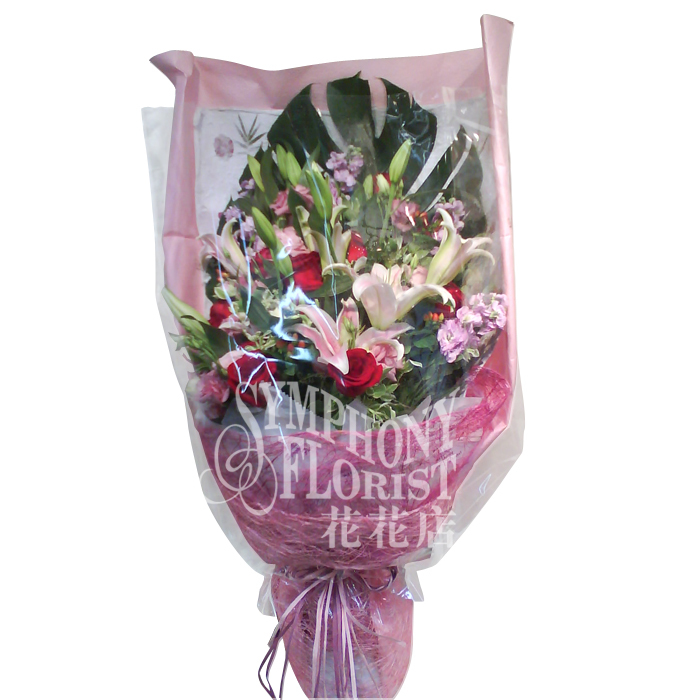 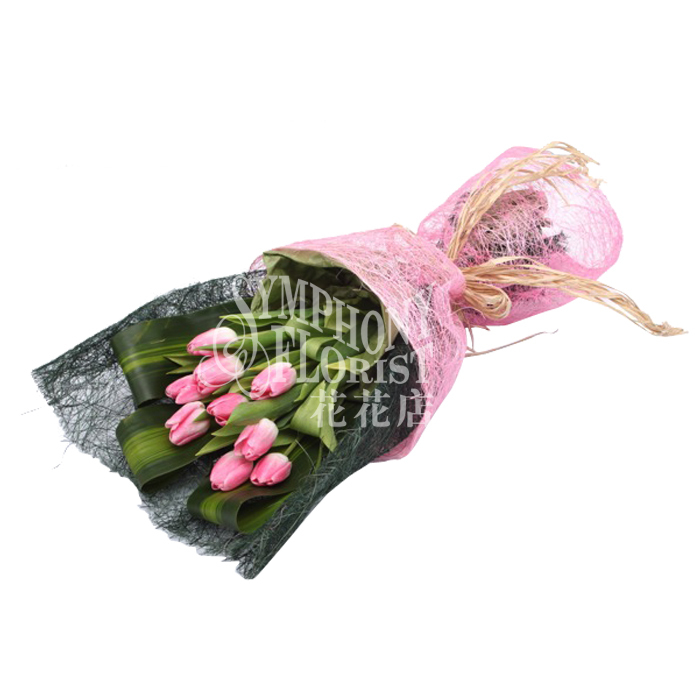 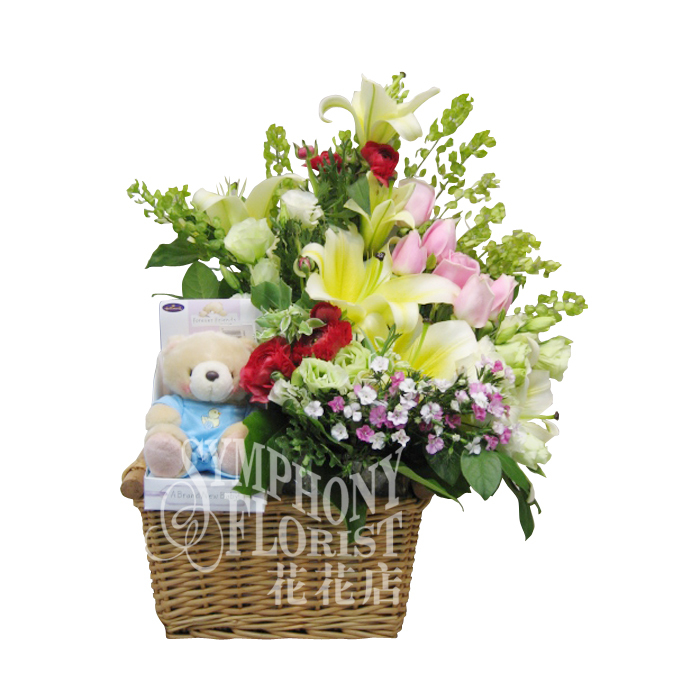 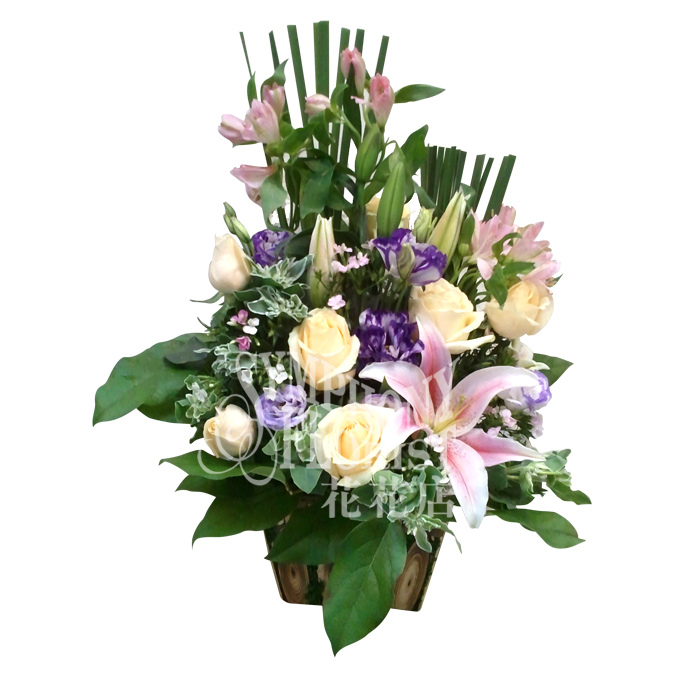 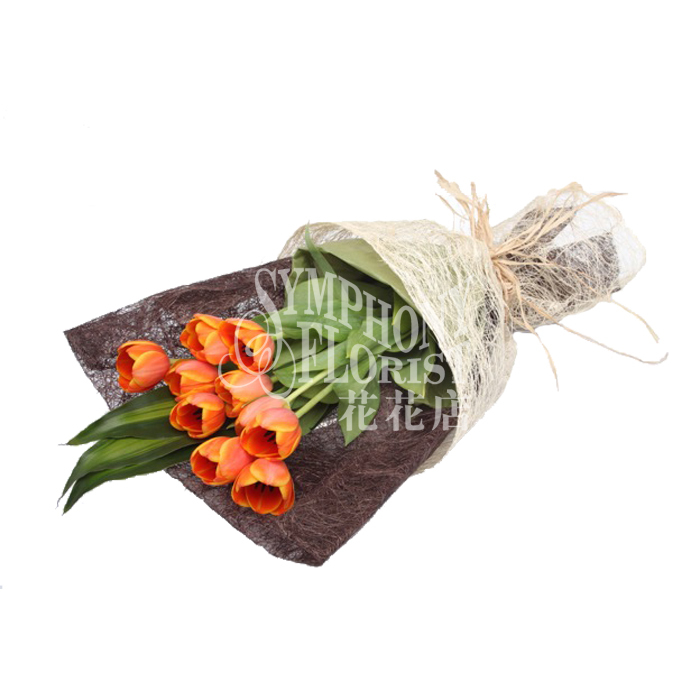 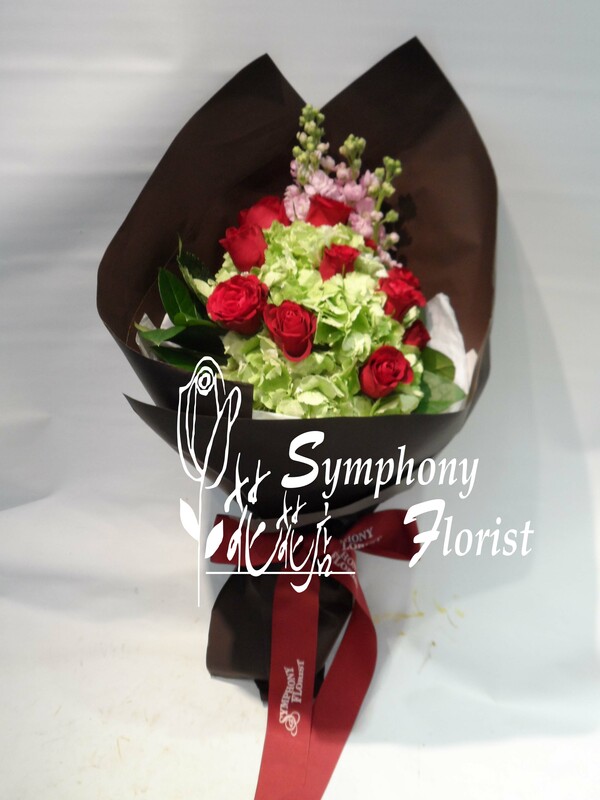 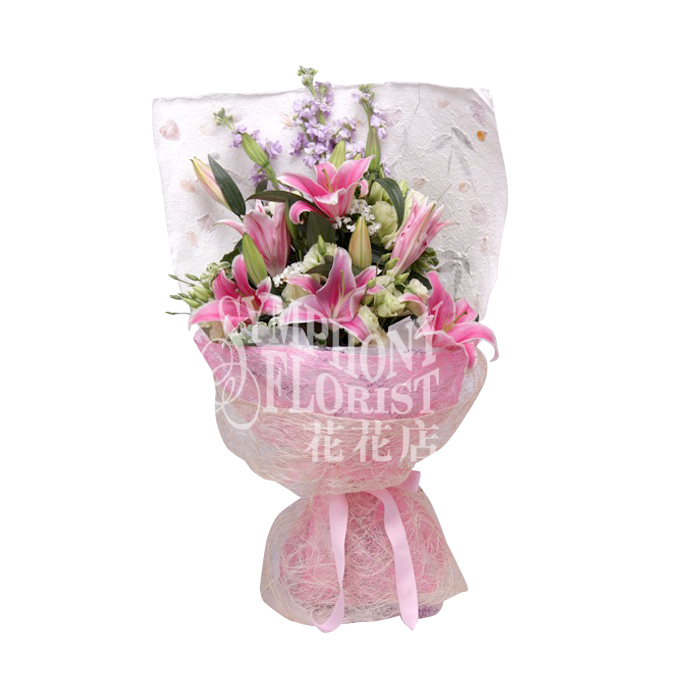 Description: 2pcs Lily, 12pcs Roses, 10pcs Gerbera, Eustoma, Euphorbia & Greenery flower basket. 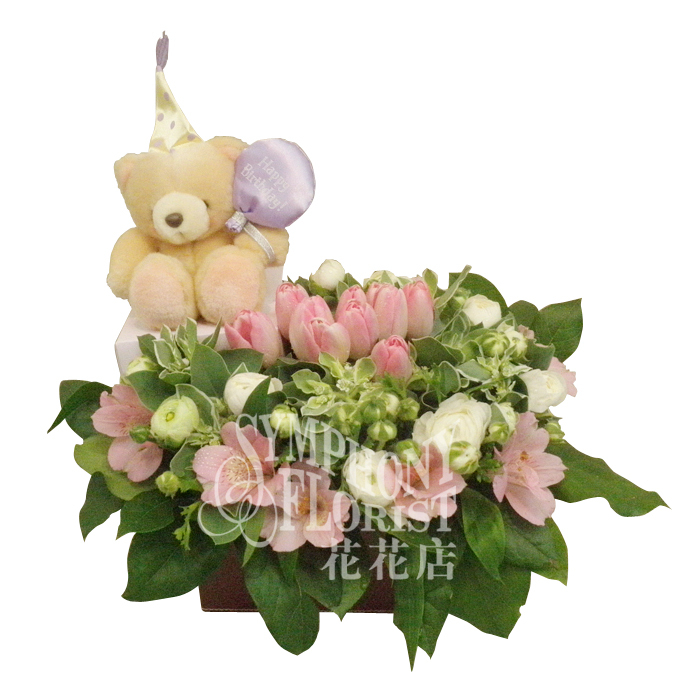 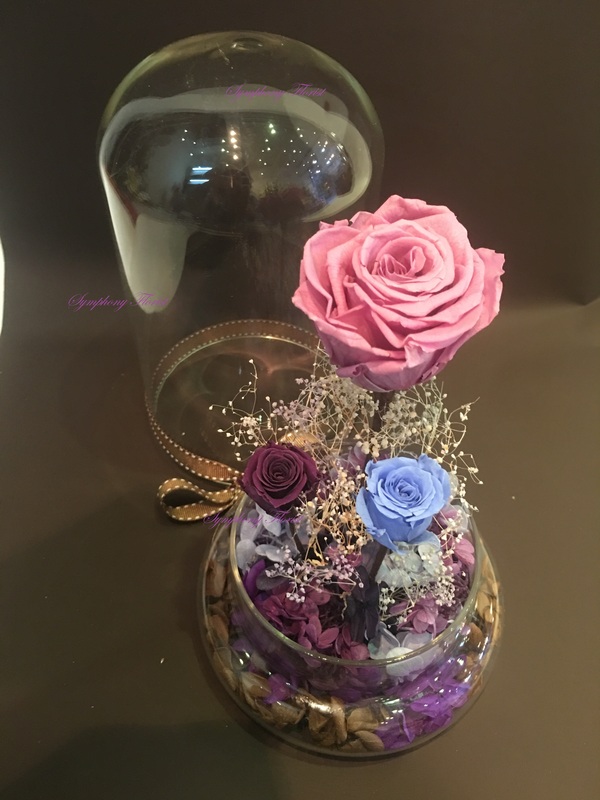 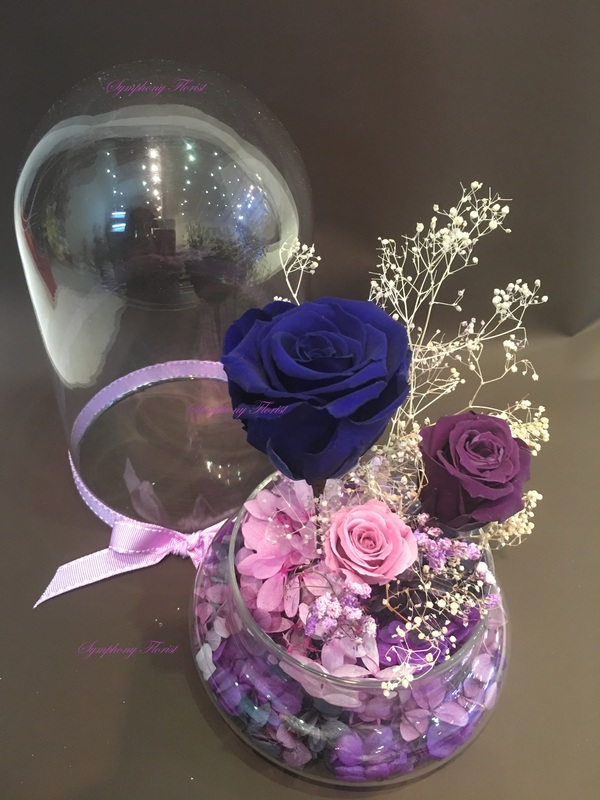 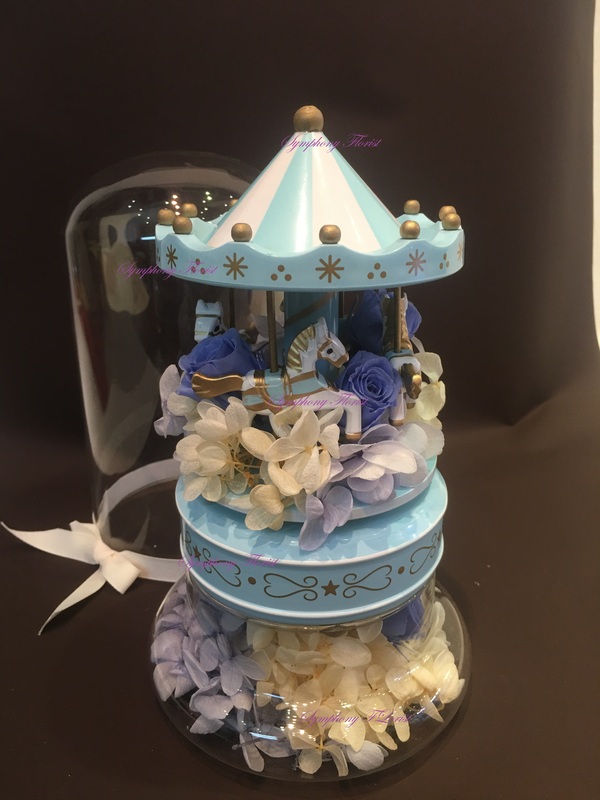 Description: 2pcs Lily, 8pcs Gerbera, Euphorbia, Eustoma, Hypericum, Physostegia,Greenery flower basket & 4.5" inches Forever Friend Doll.